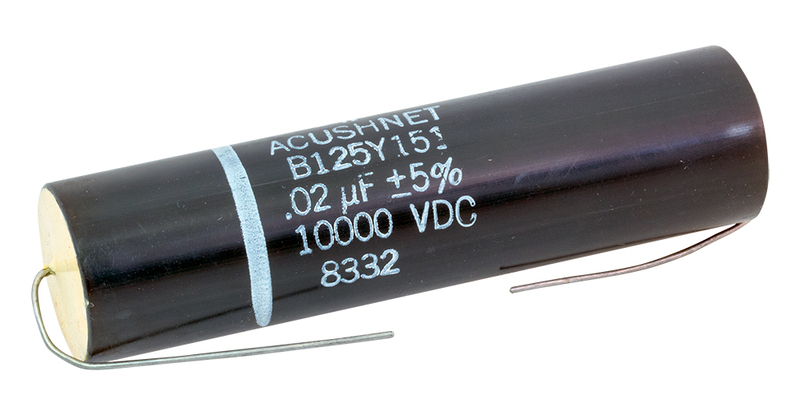 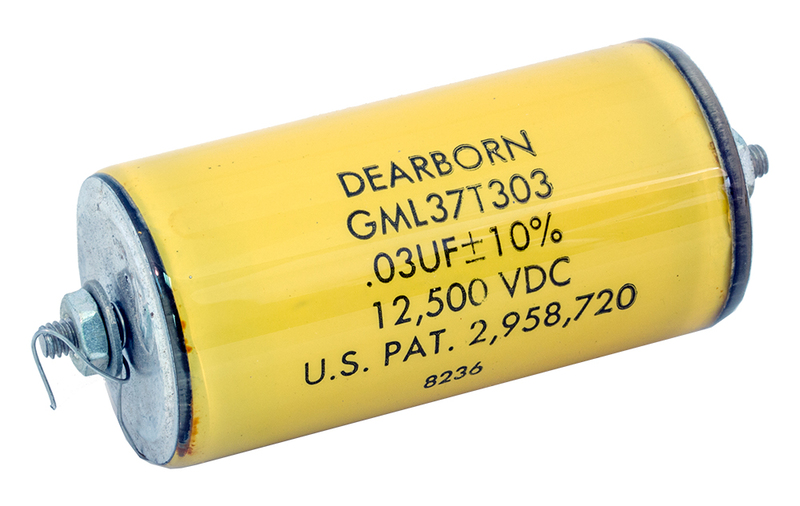 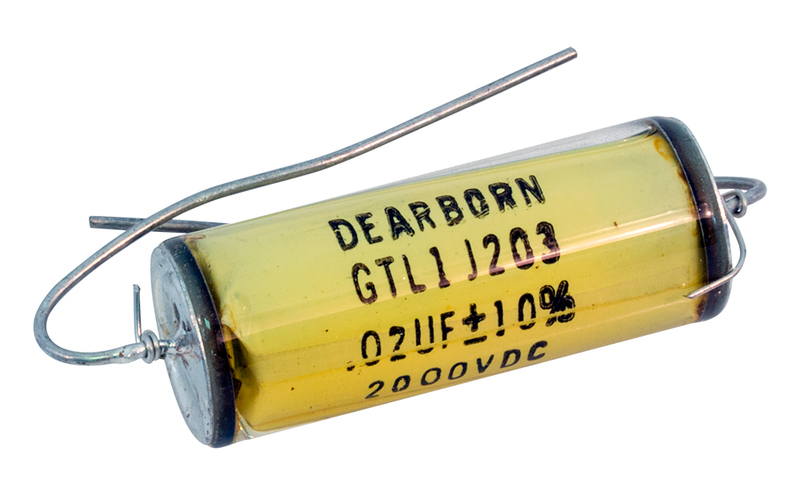 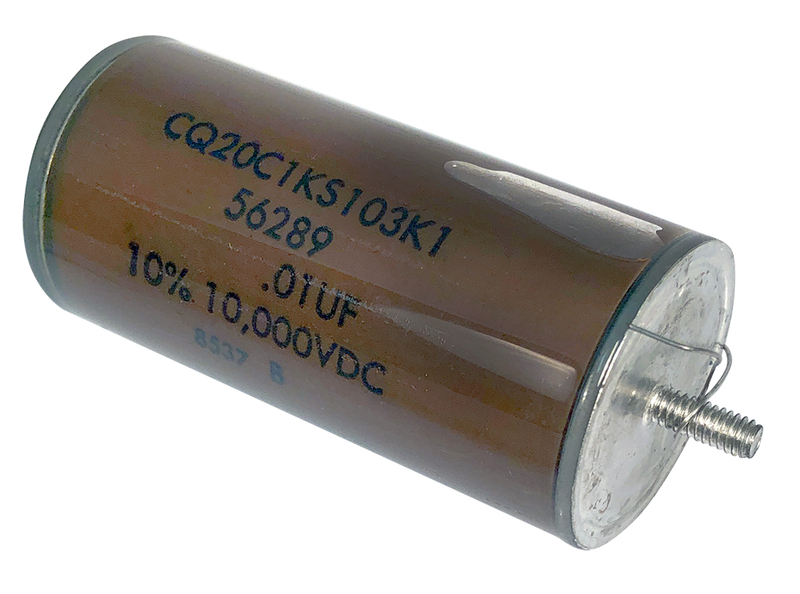 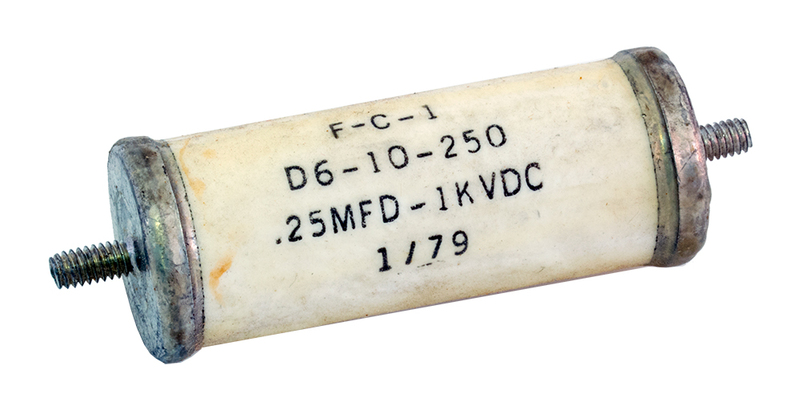 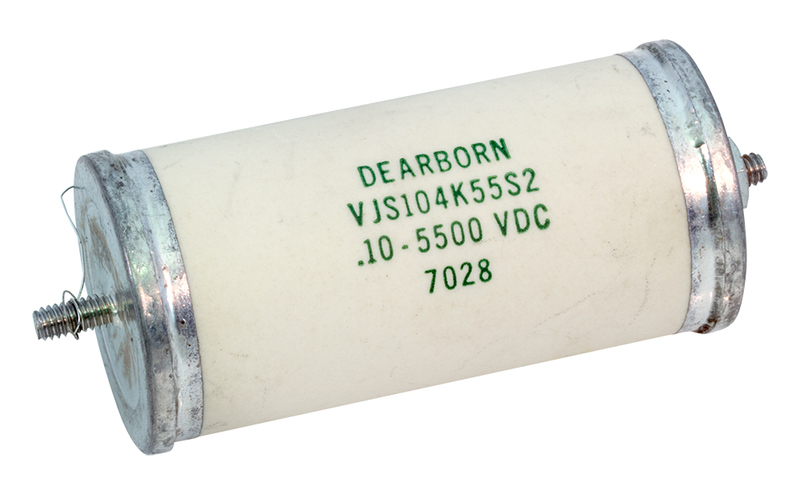 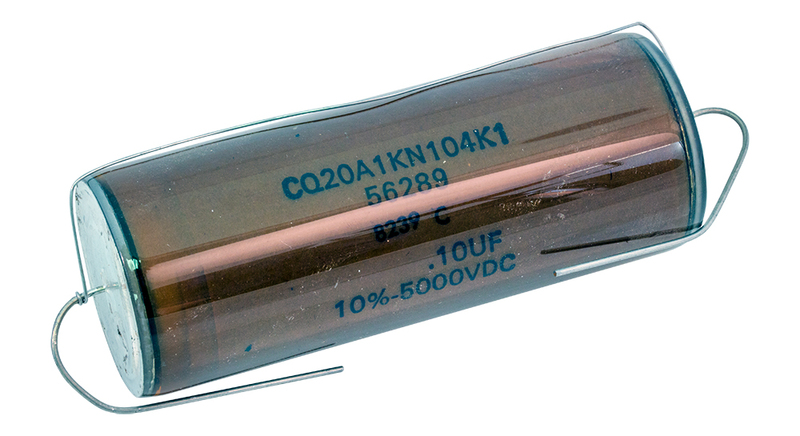 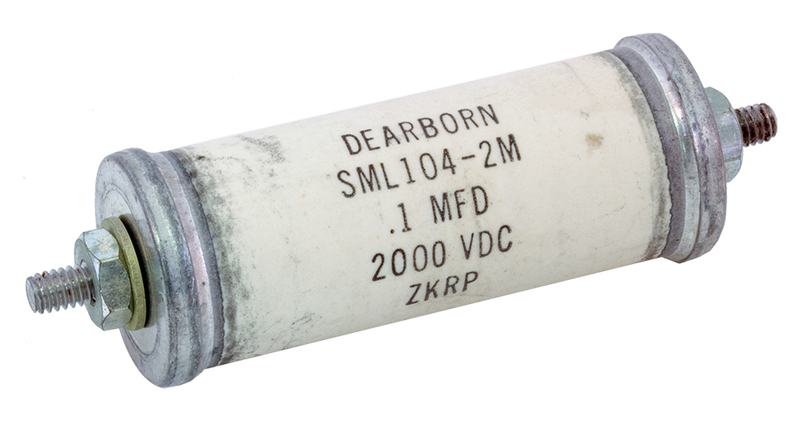 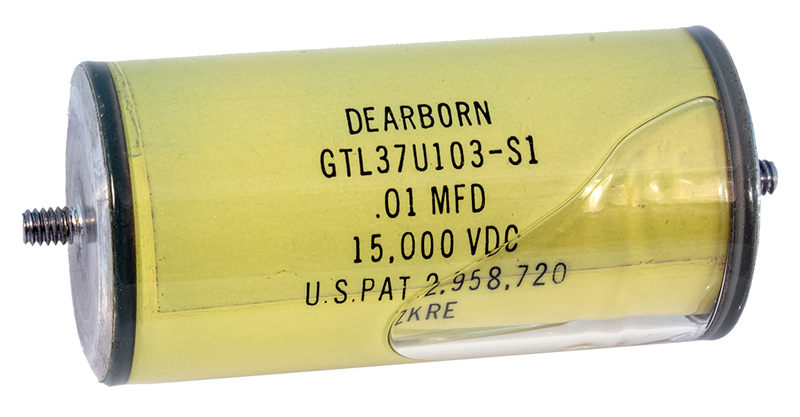 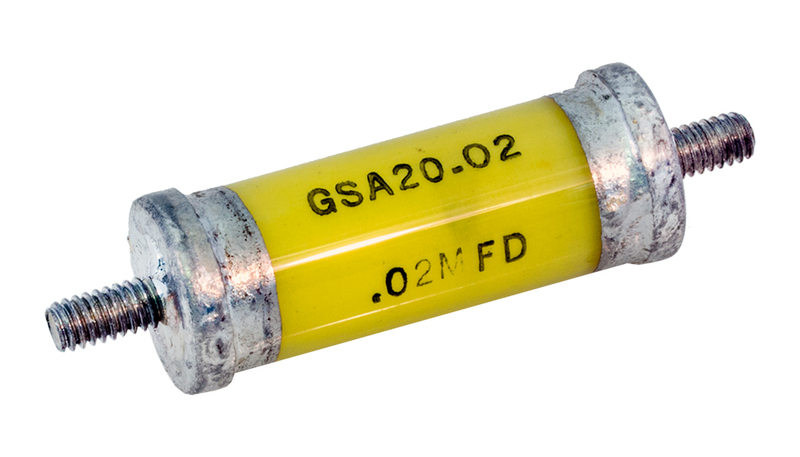 0.25µF - 3kv. 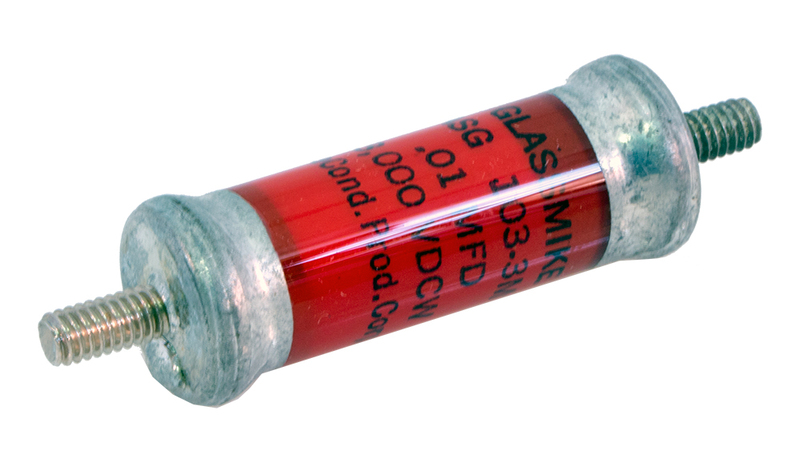 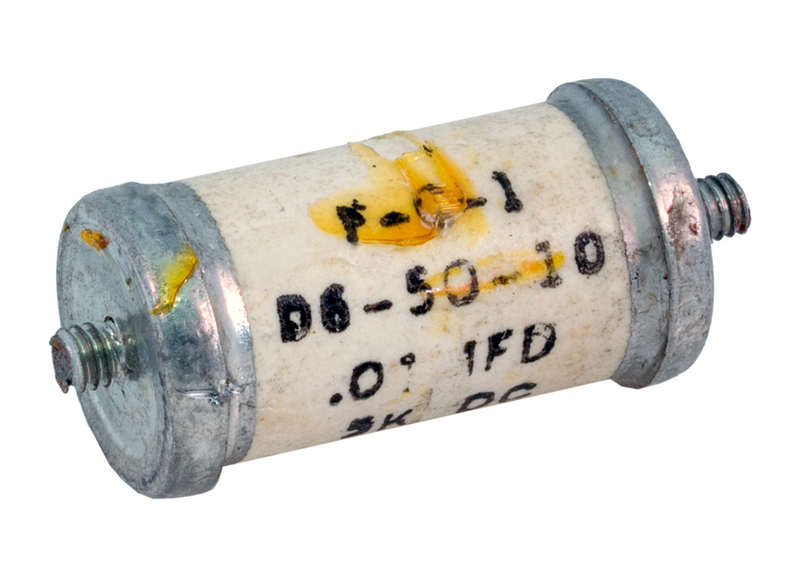 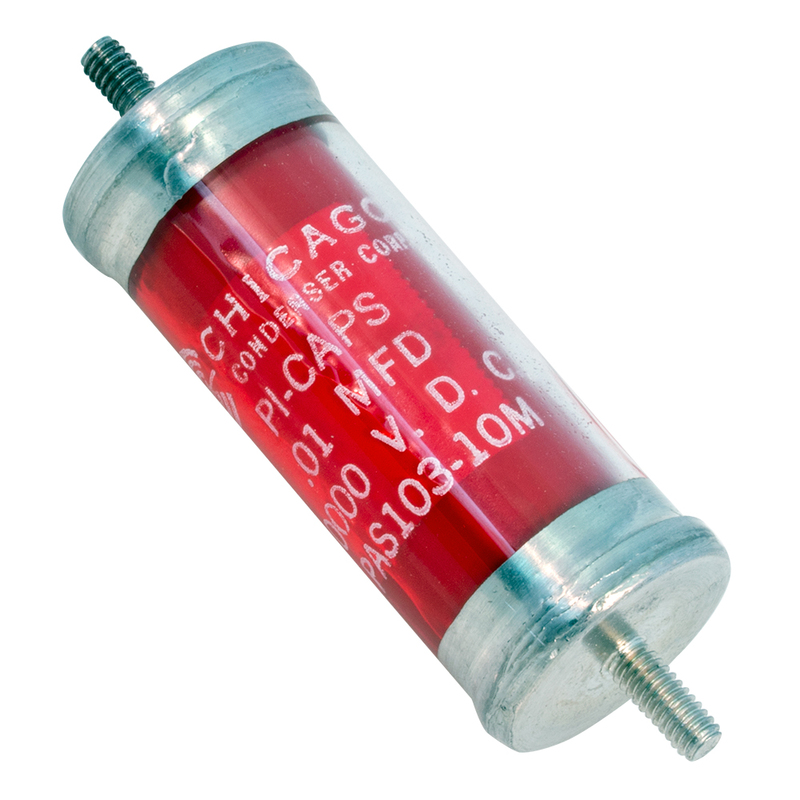 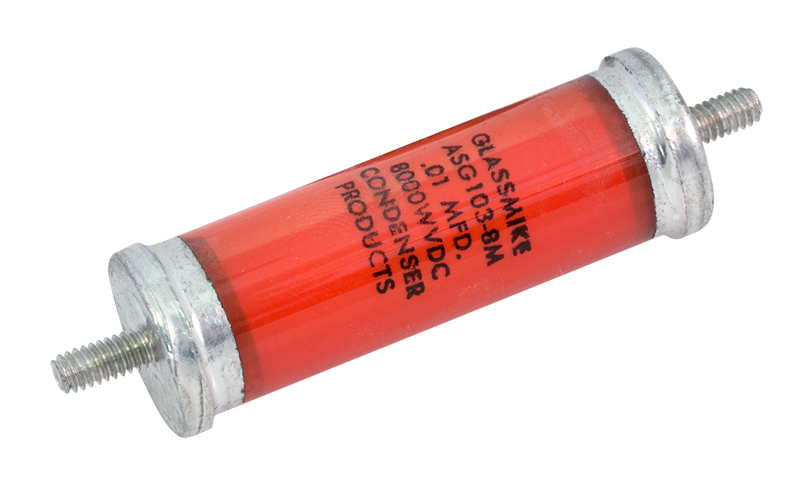 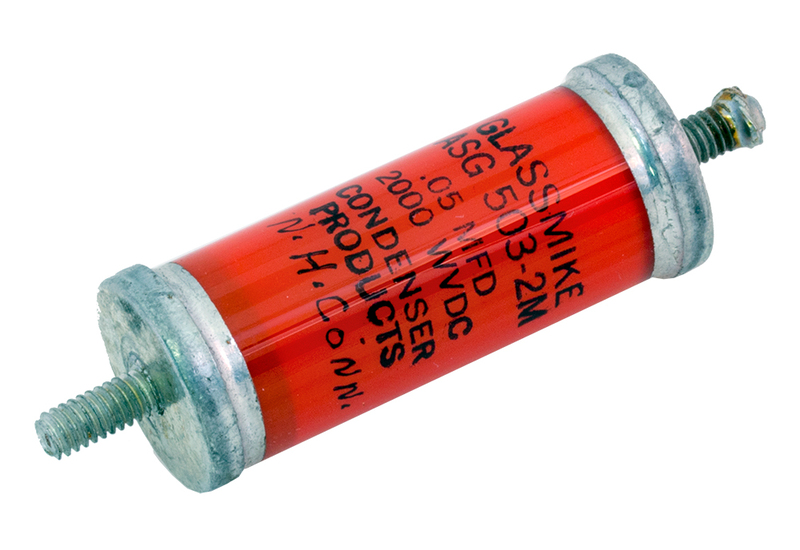 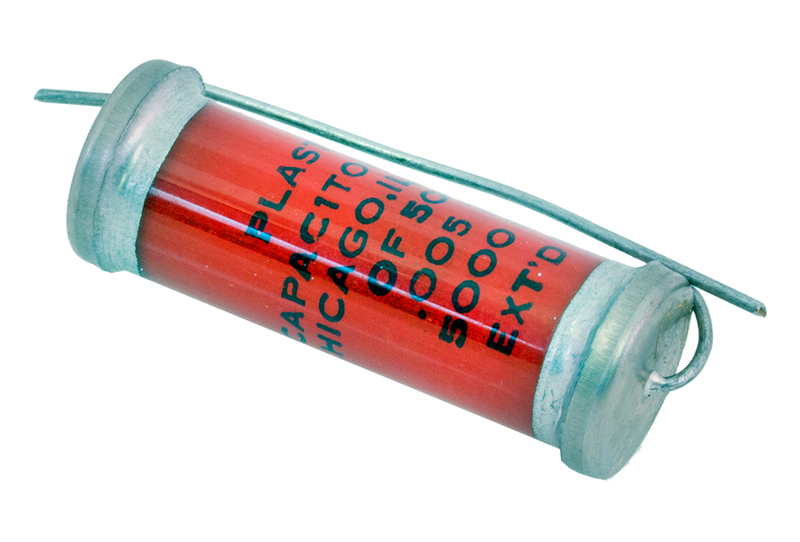 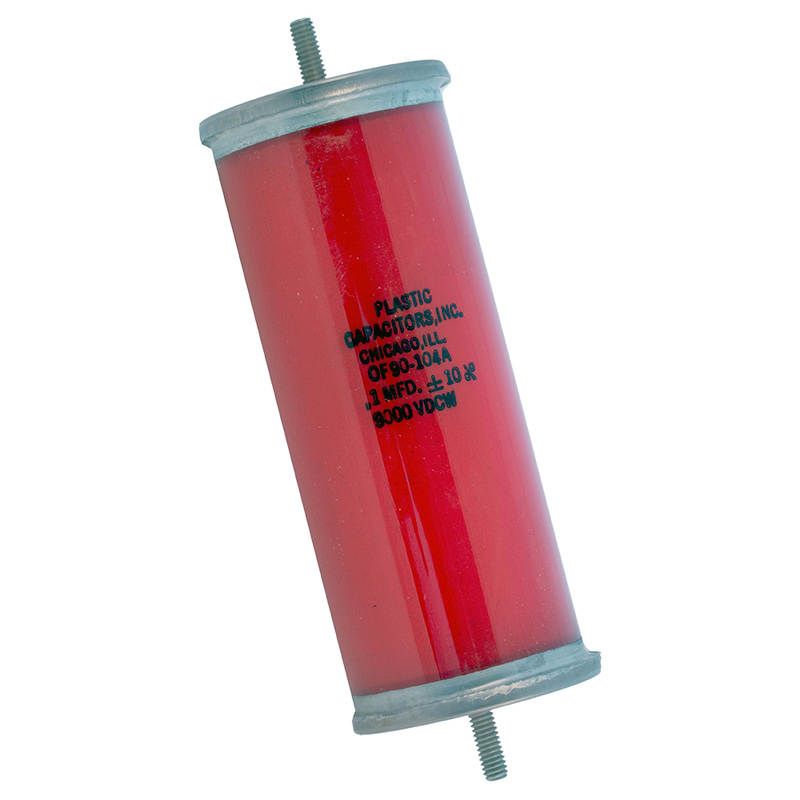 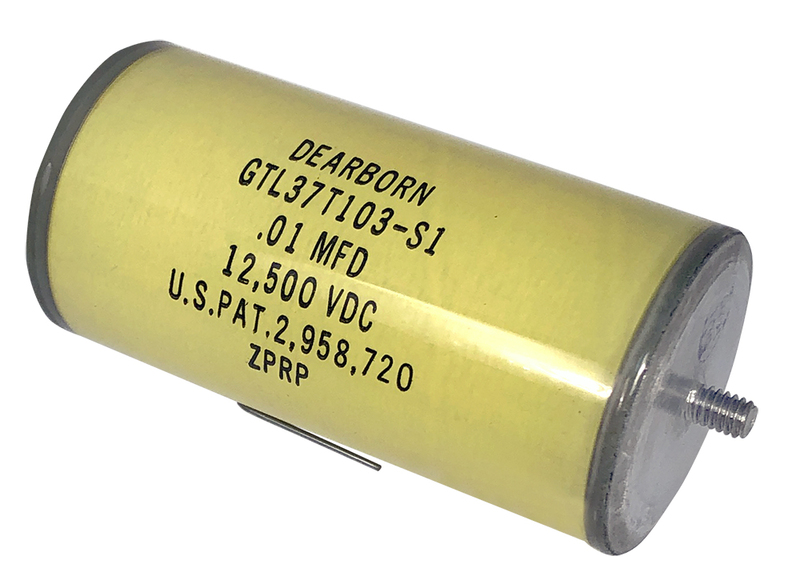 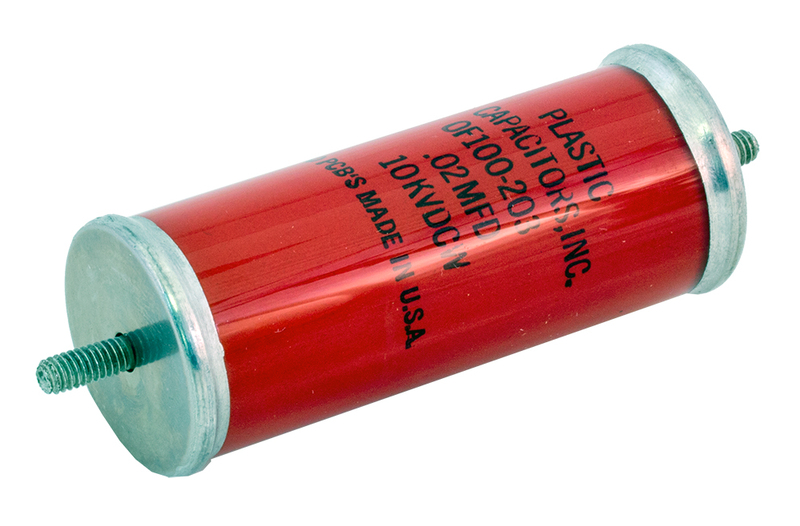 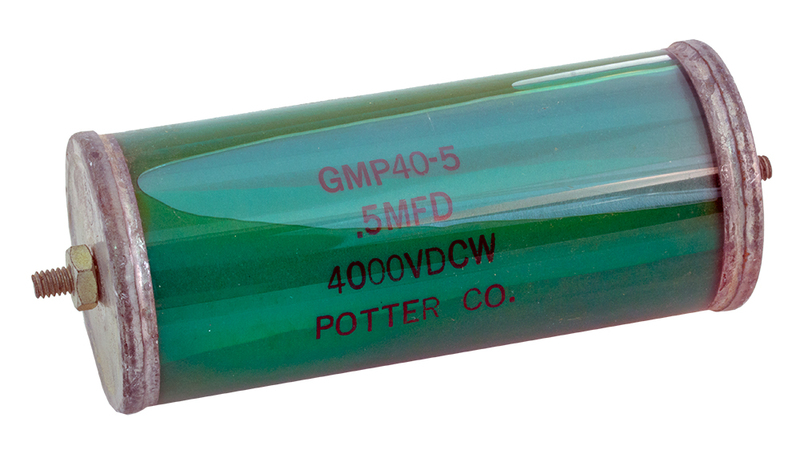 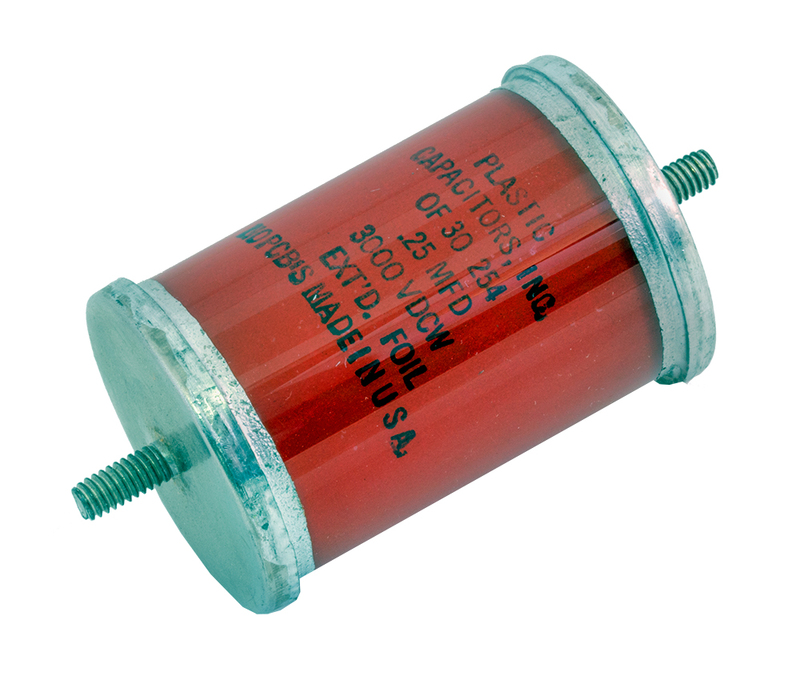 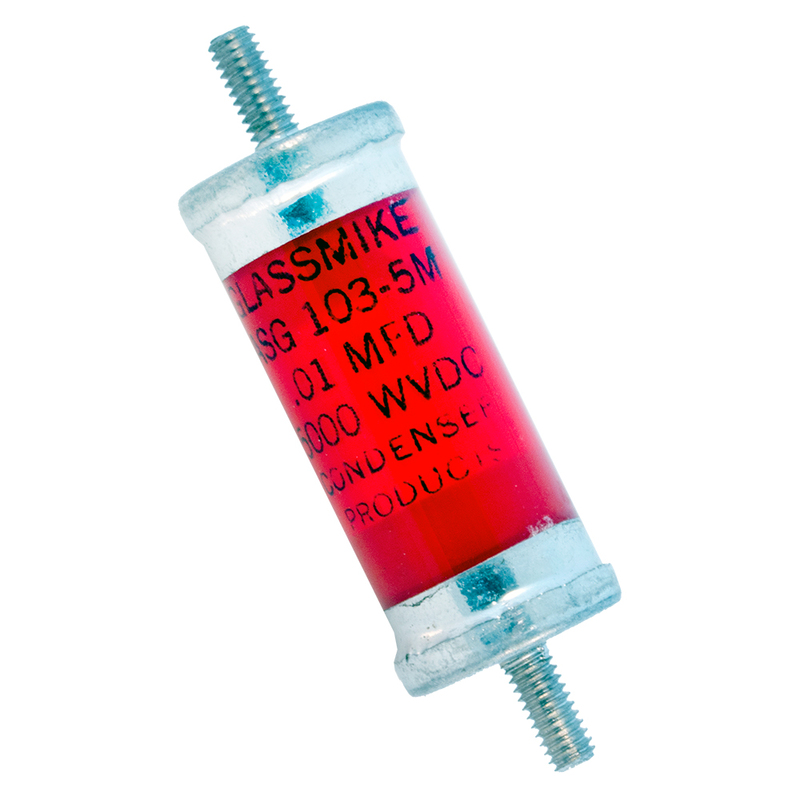 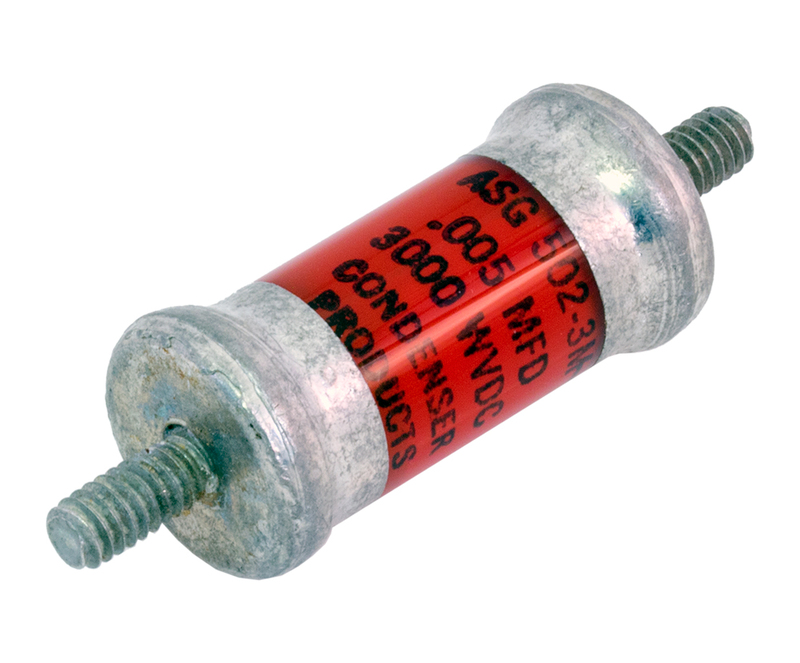 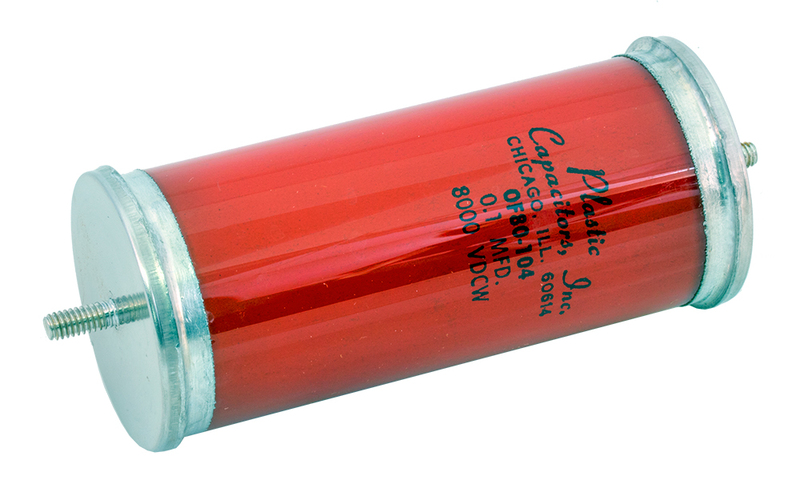 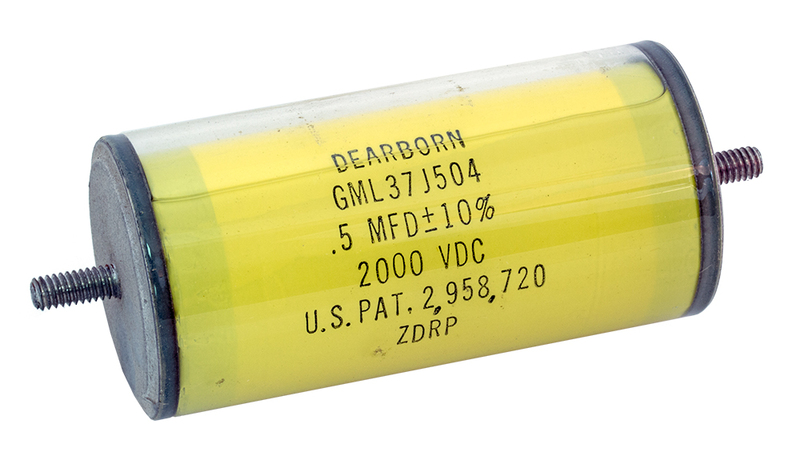 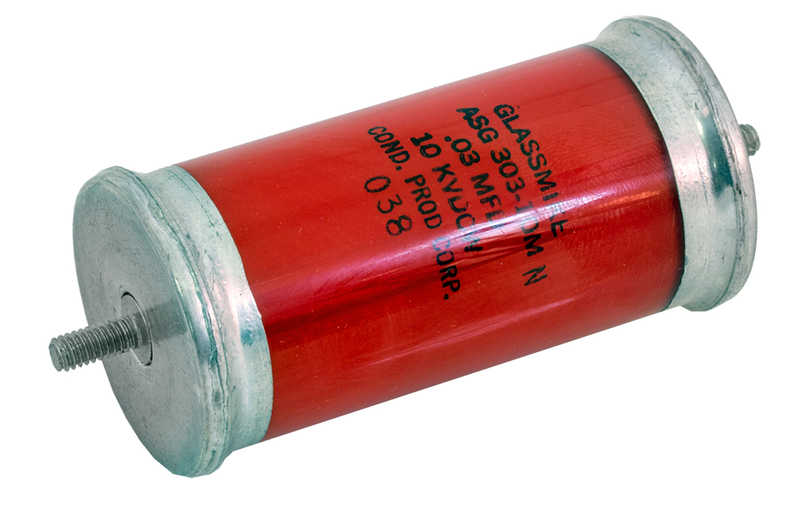 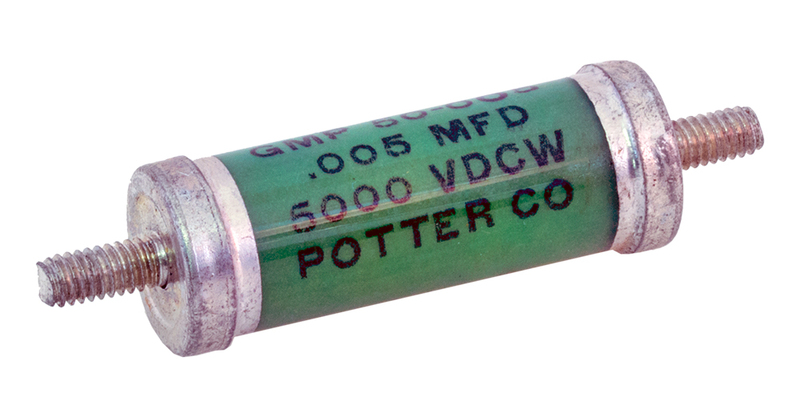 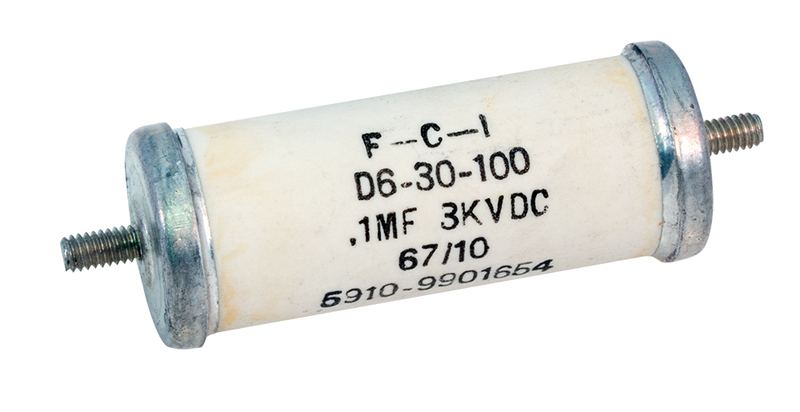 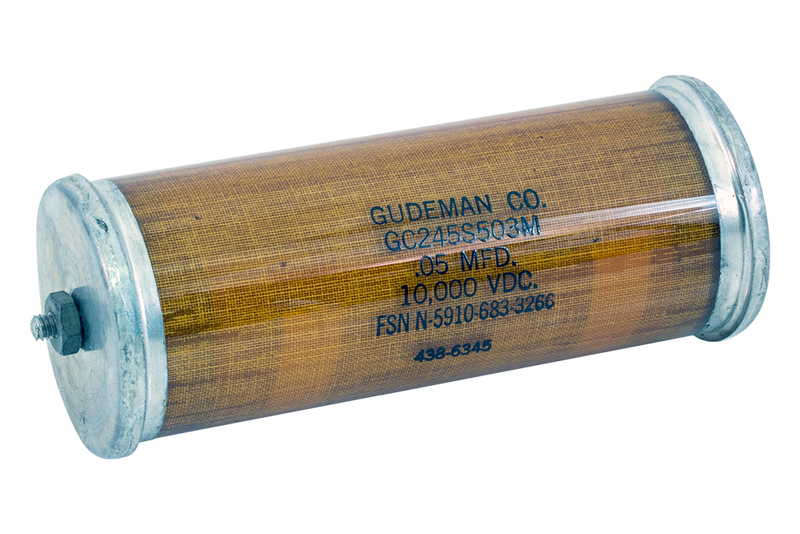 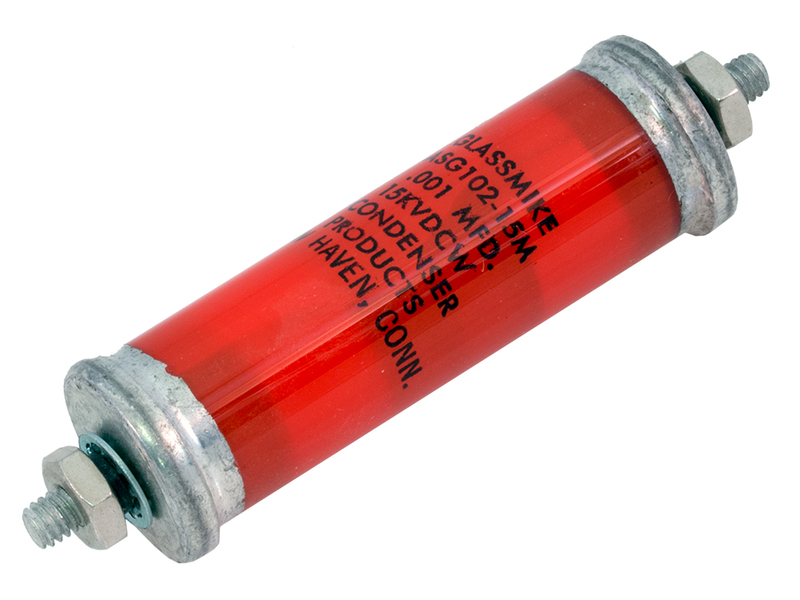 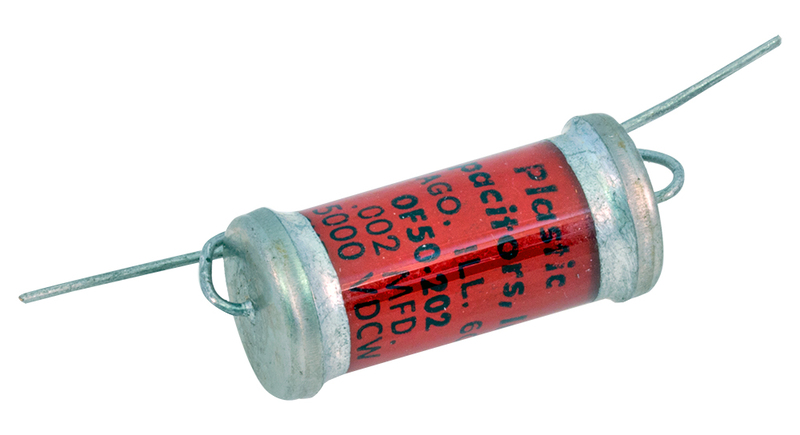 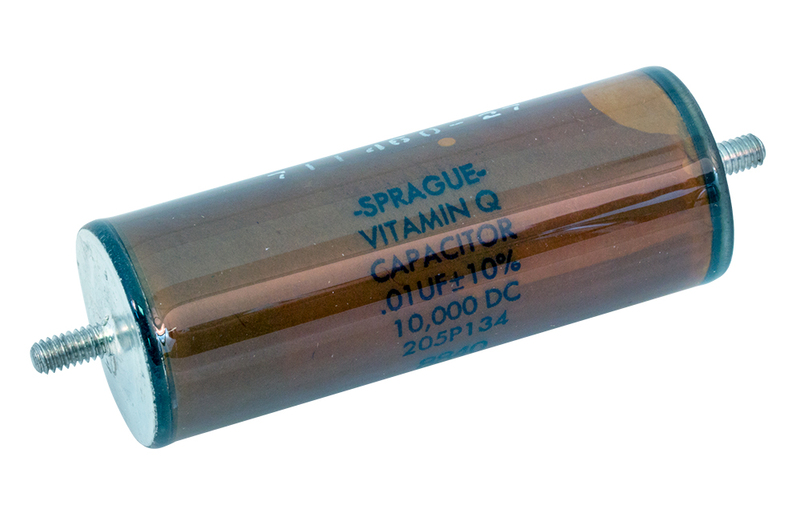 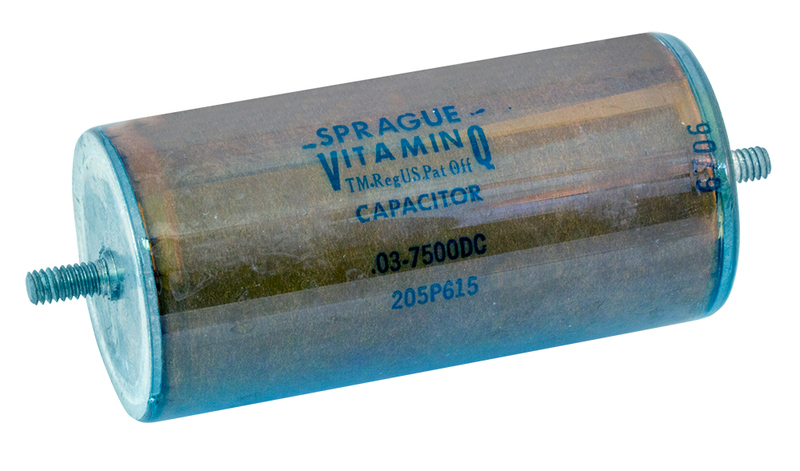 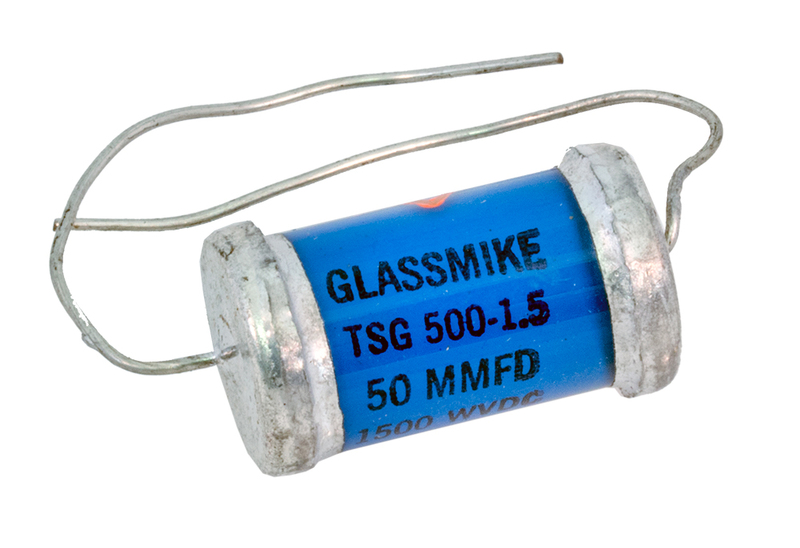 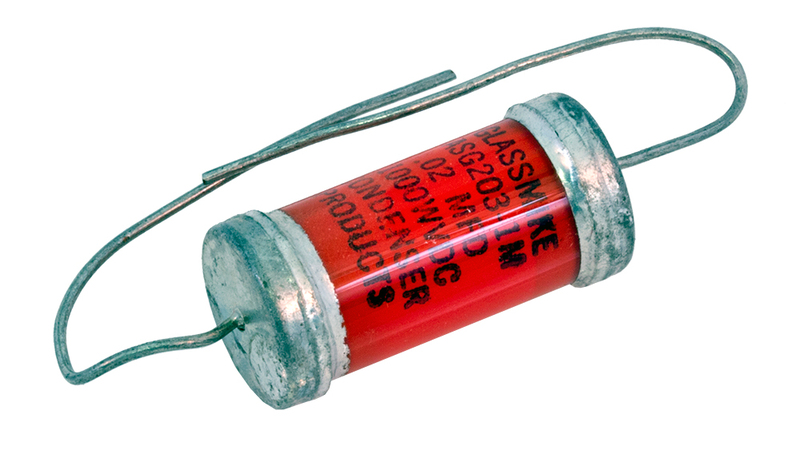 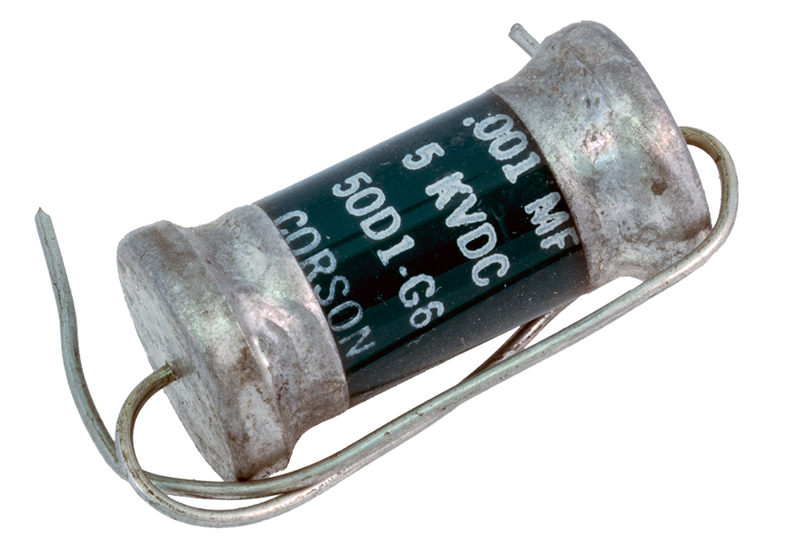 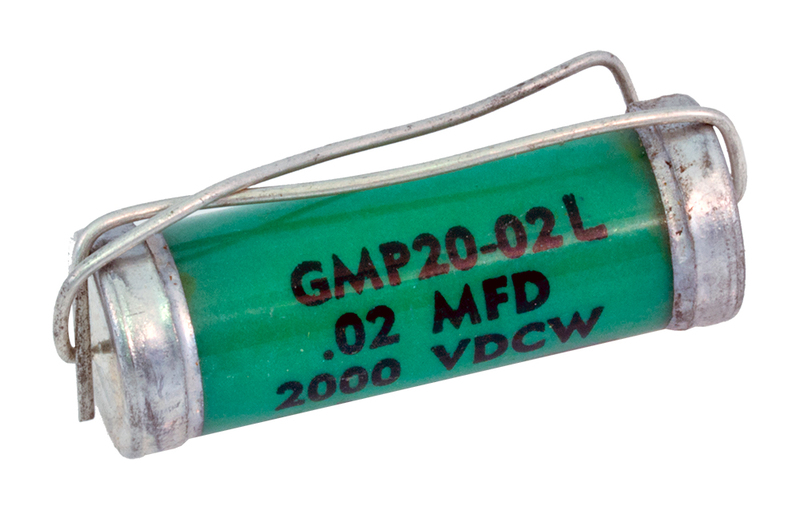 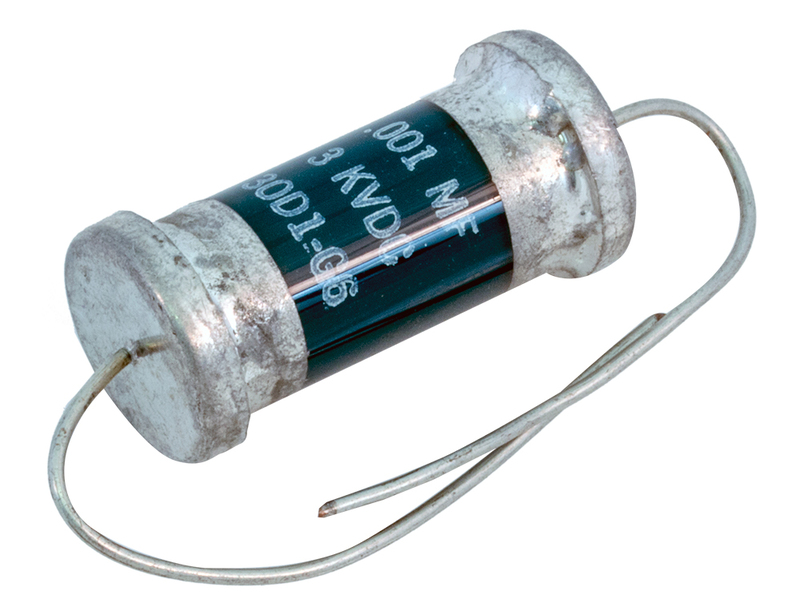 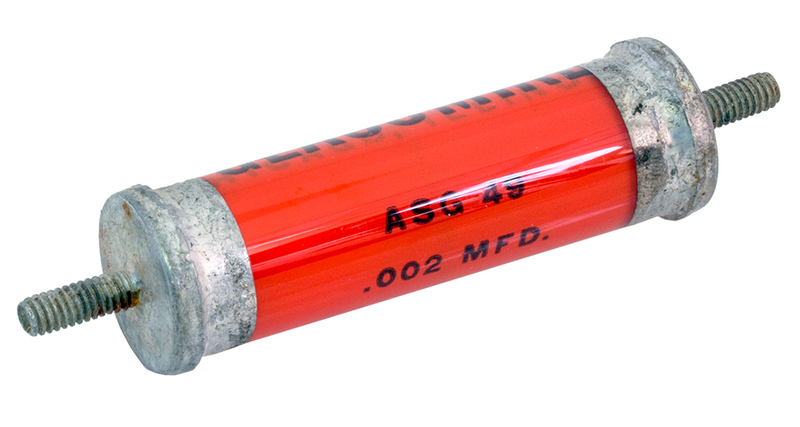 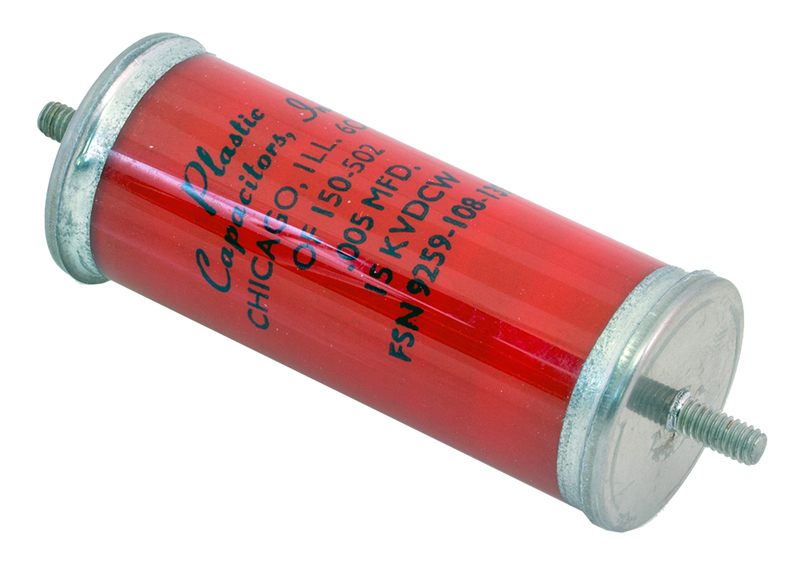 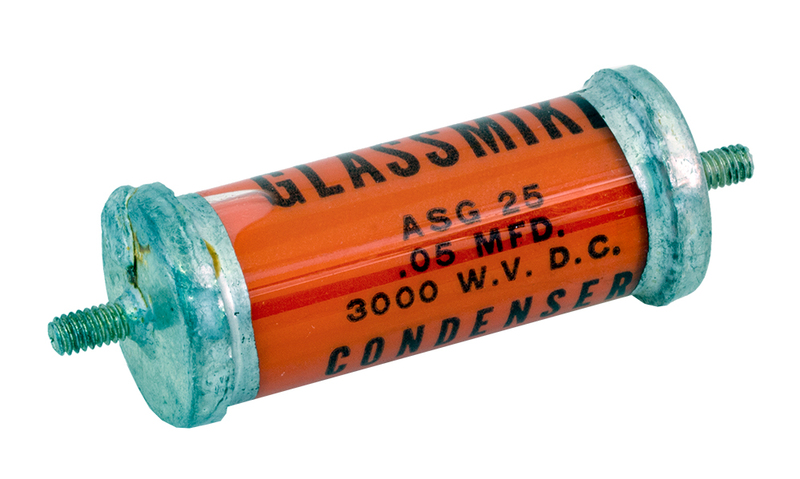 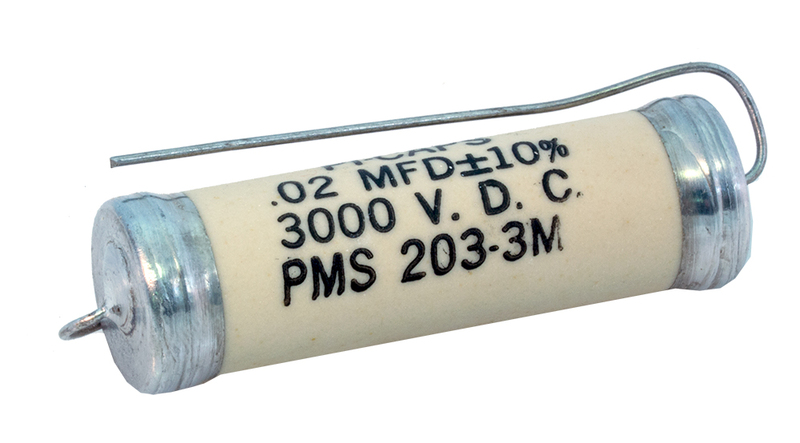 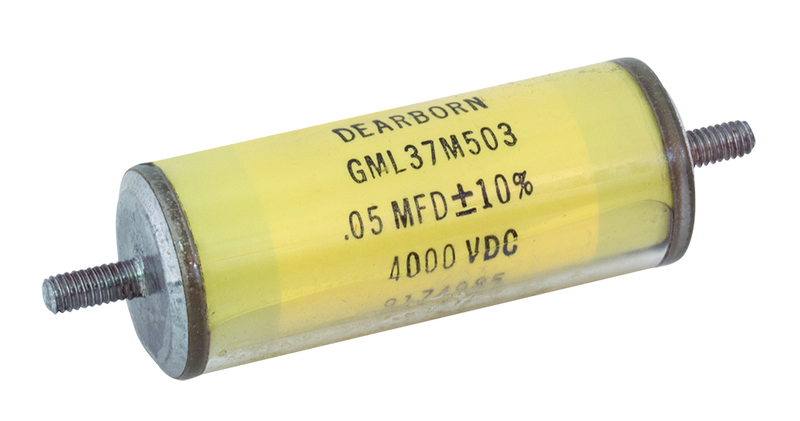 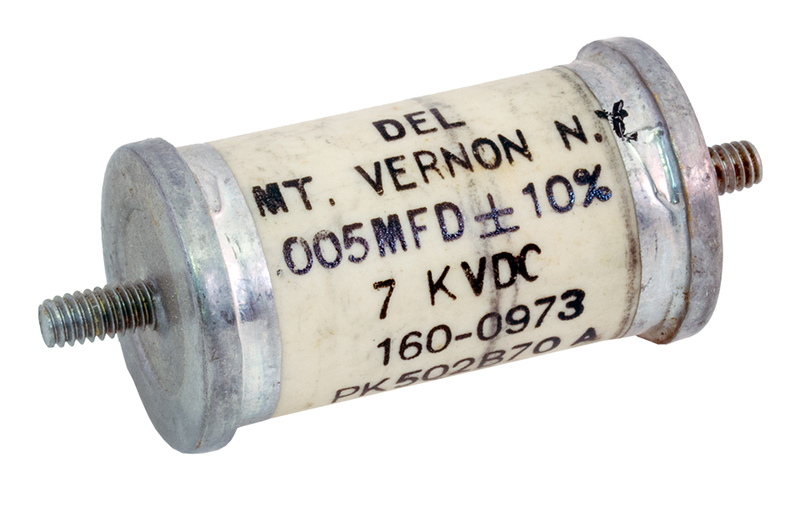 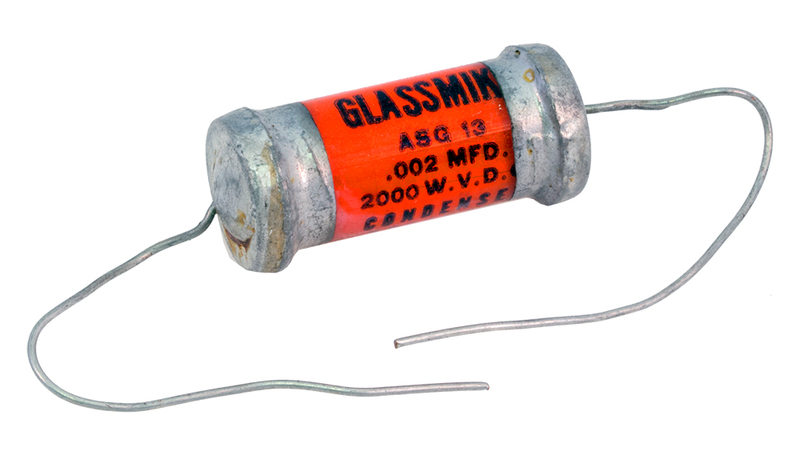 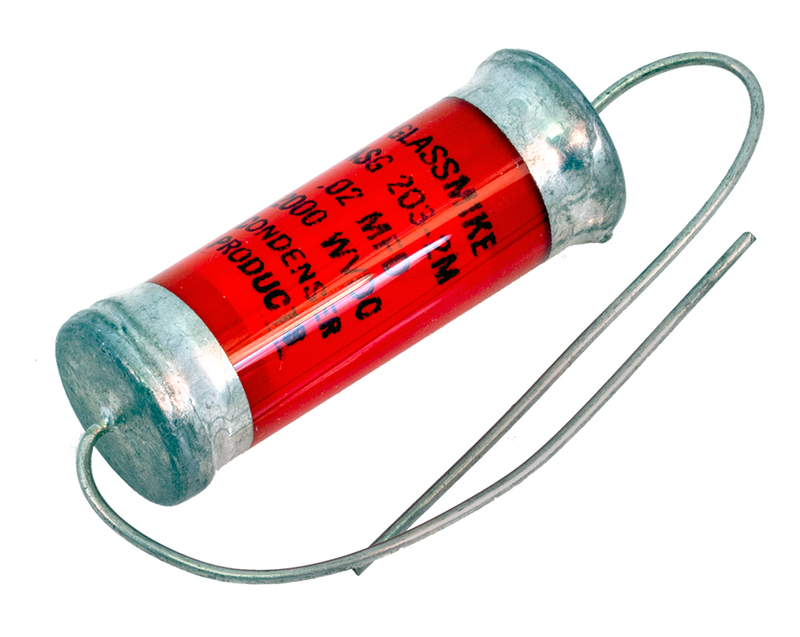 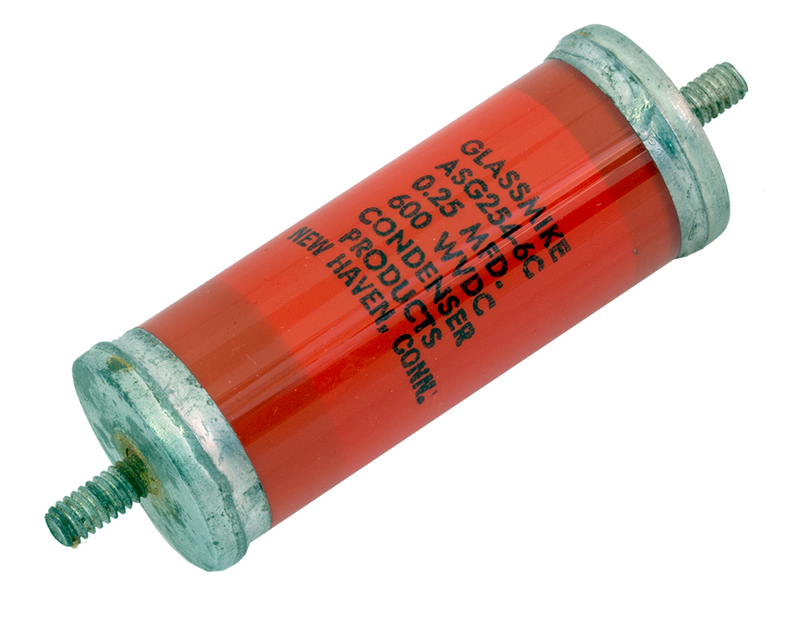 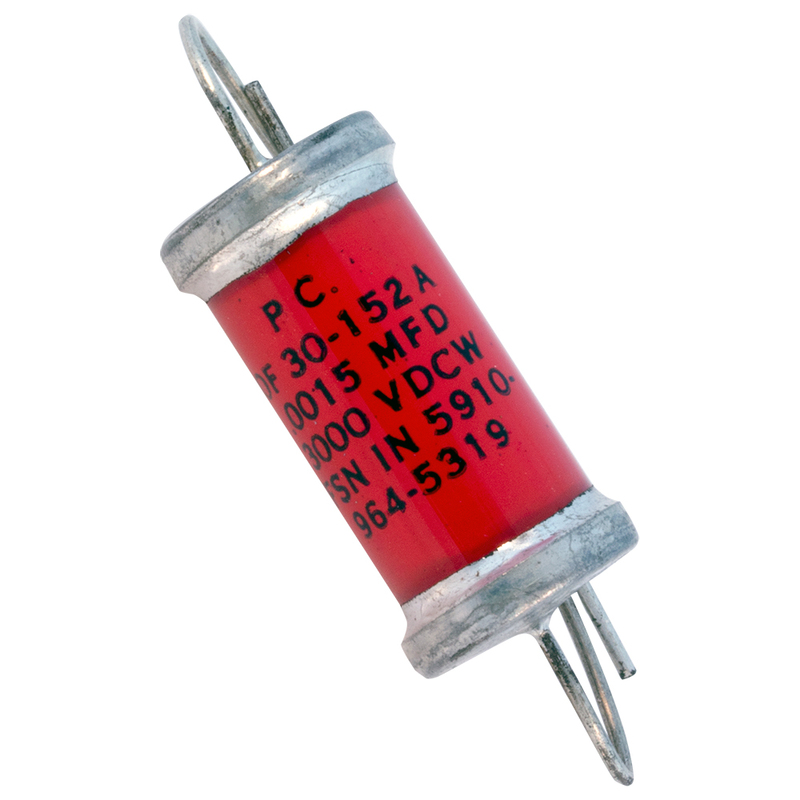 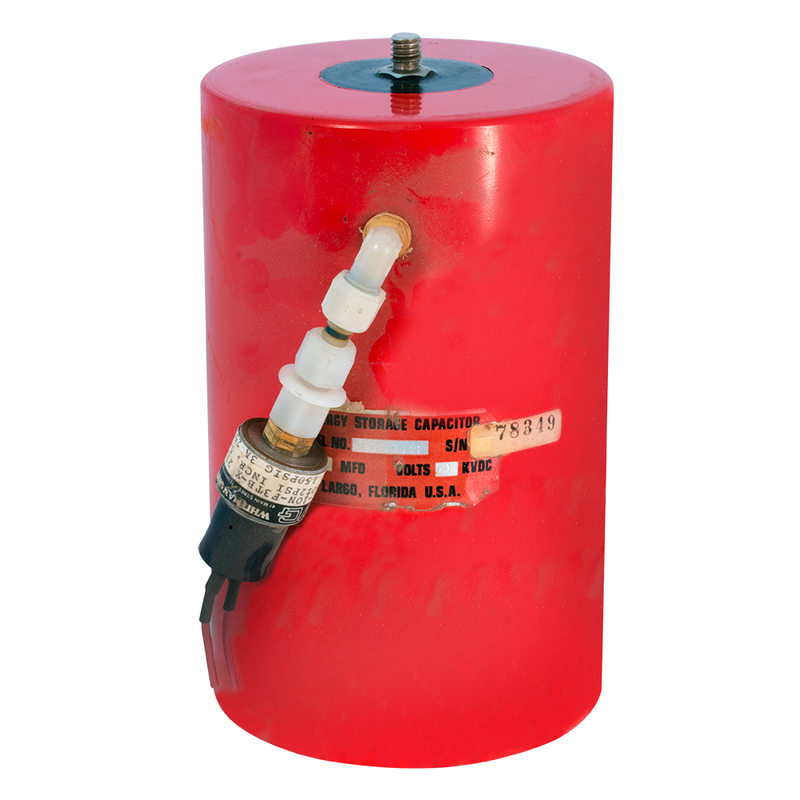 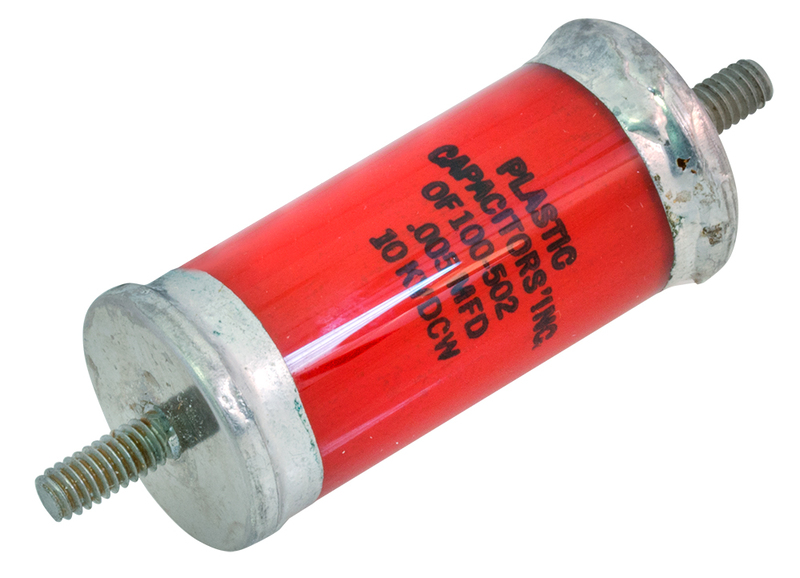 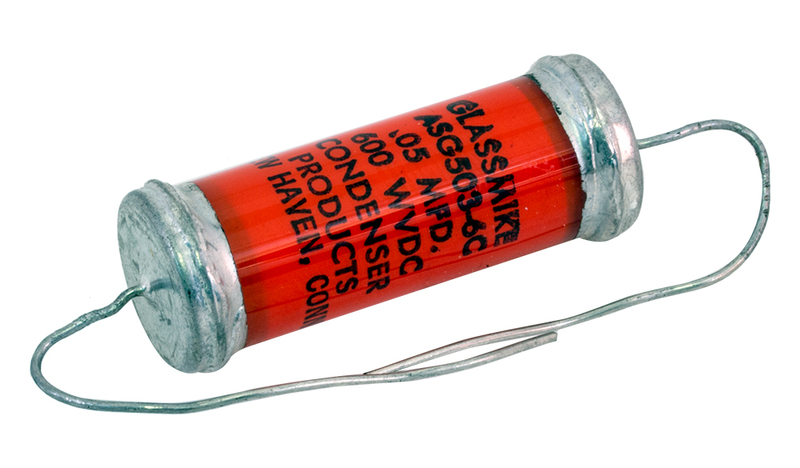 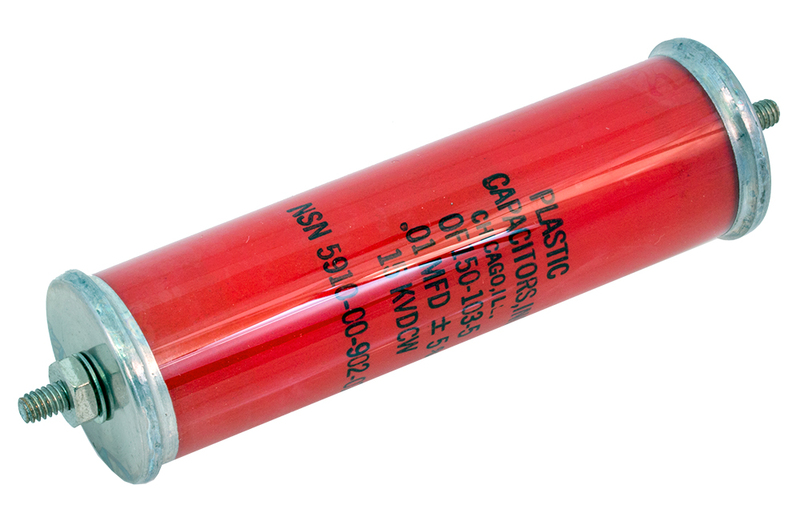 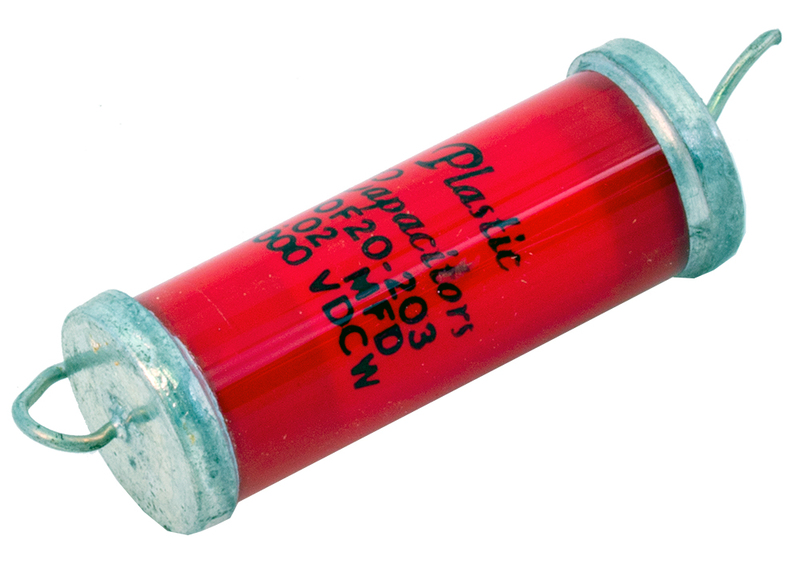 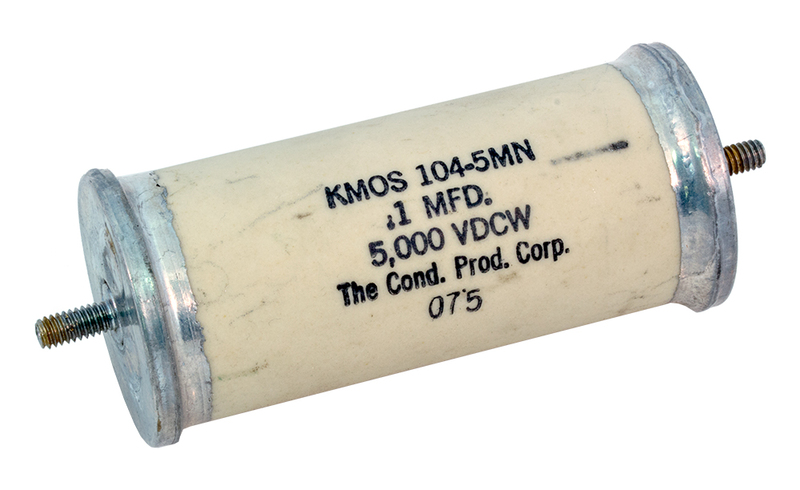 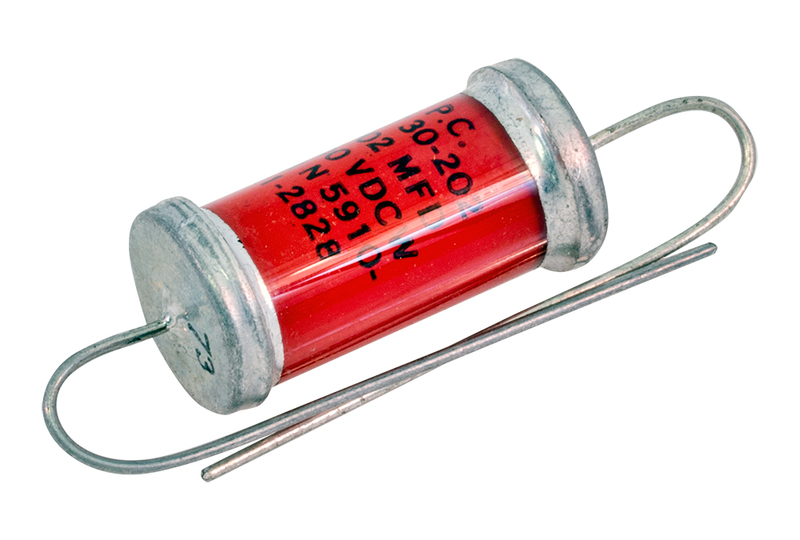 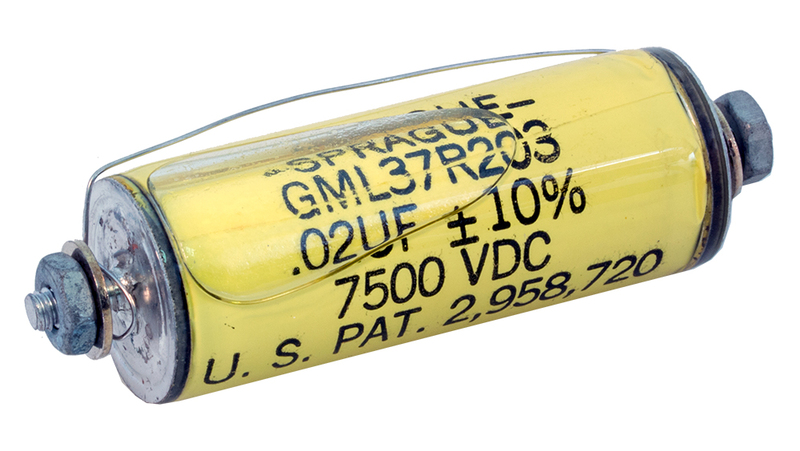 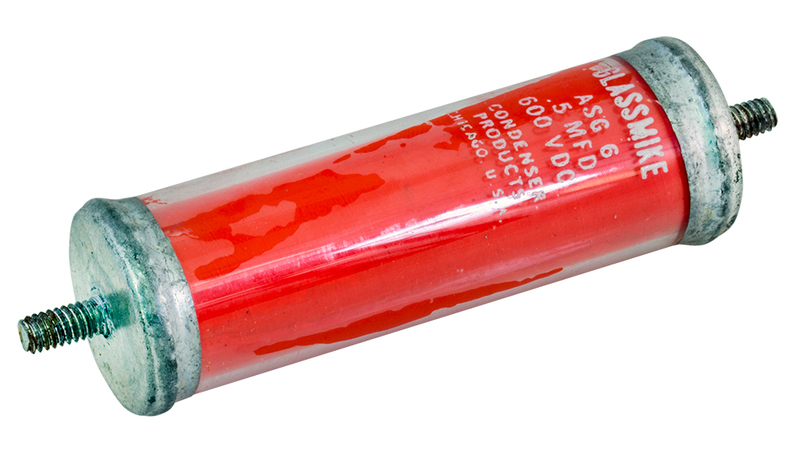 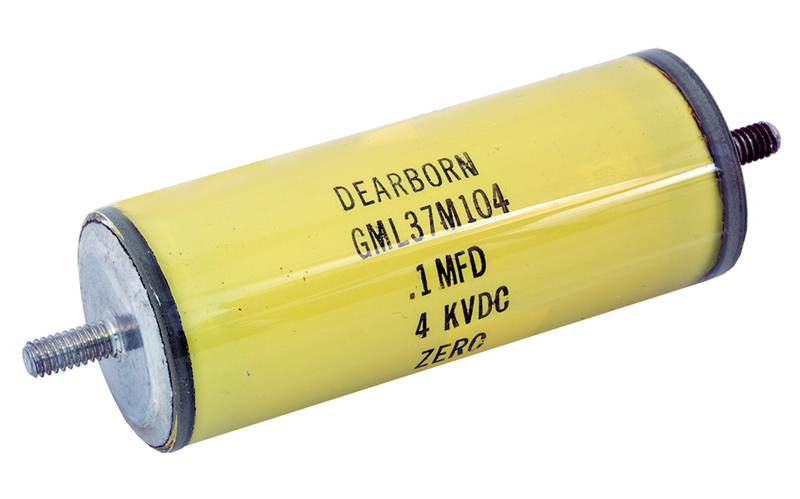 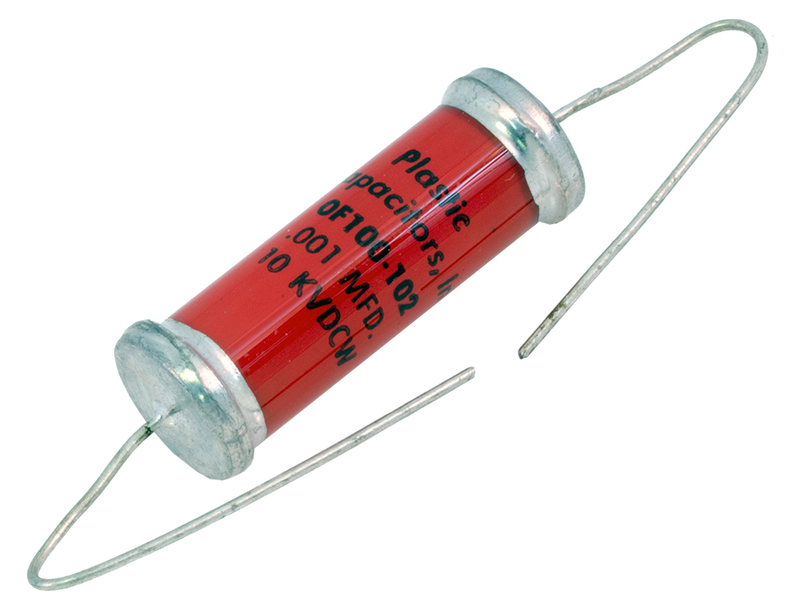 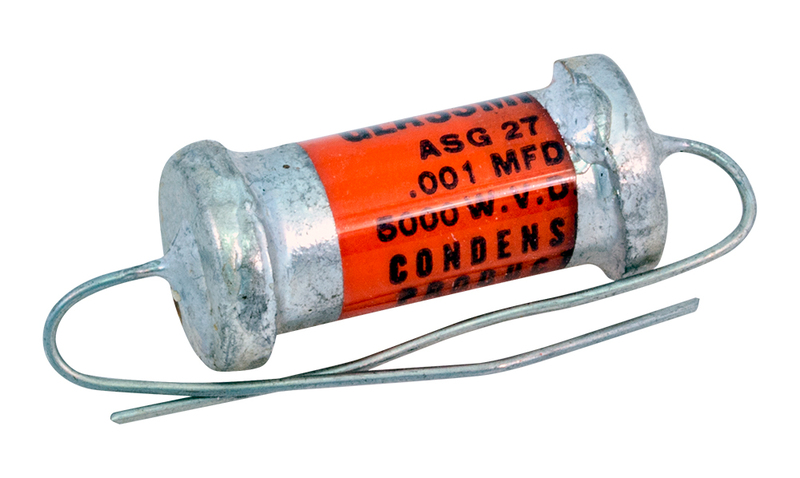 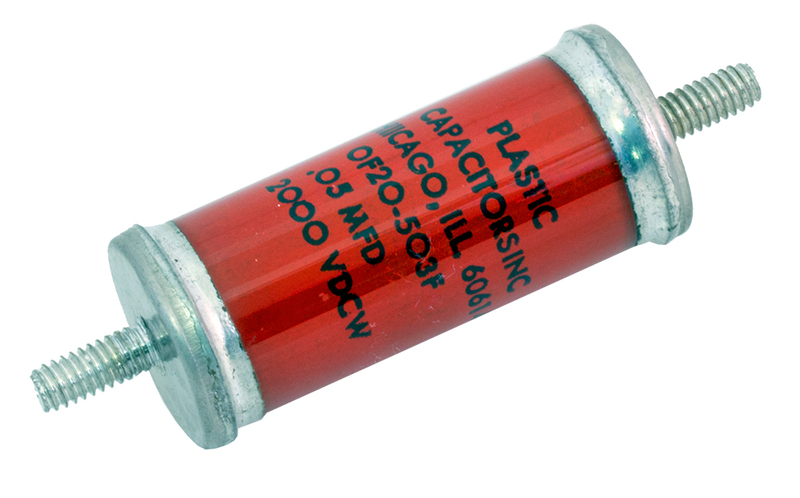 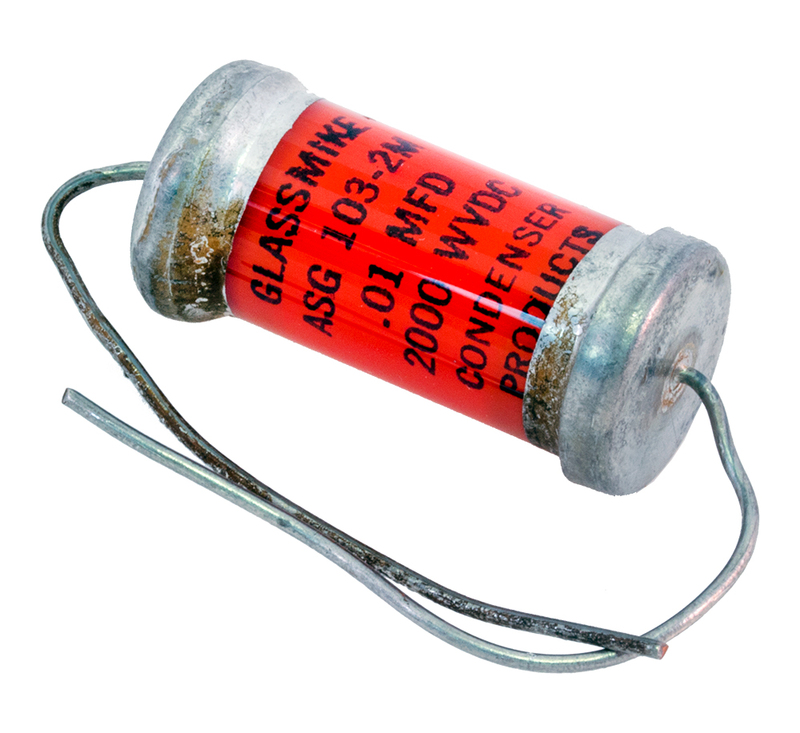 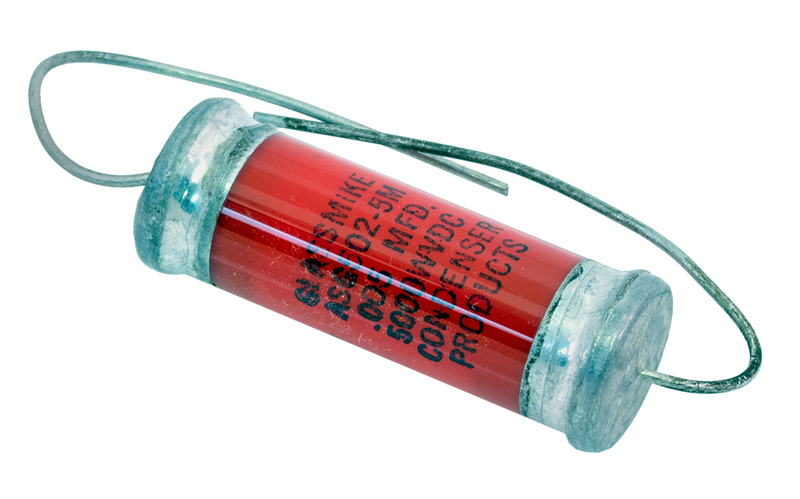 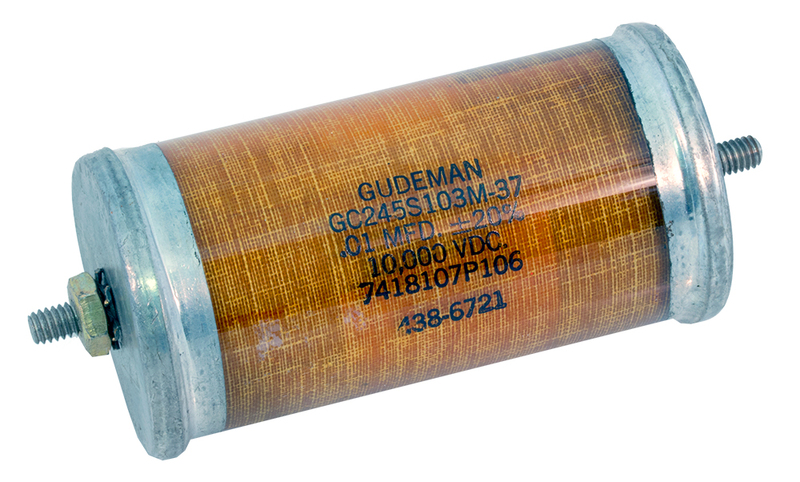 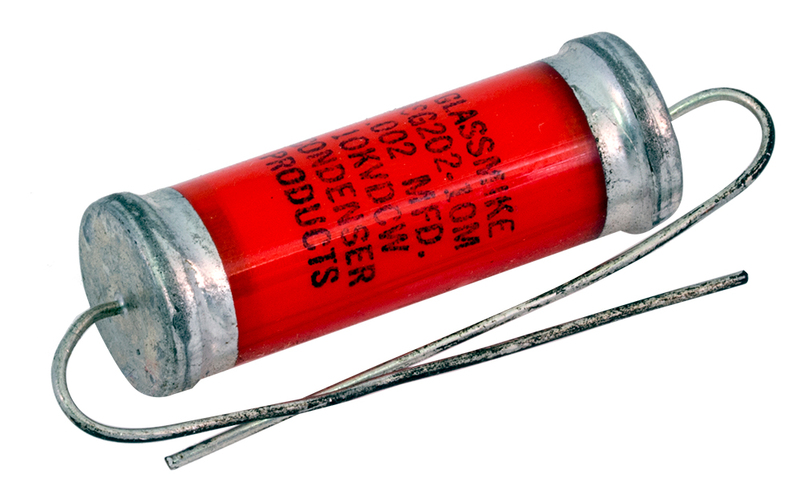 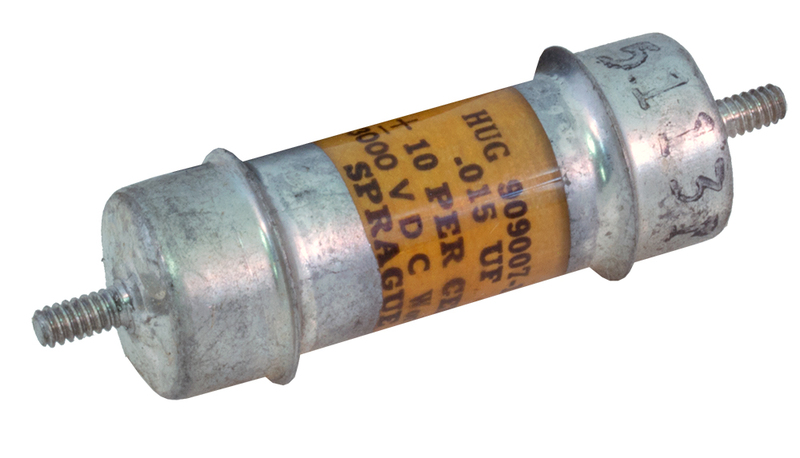 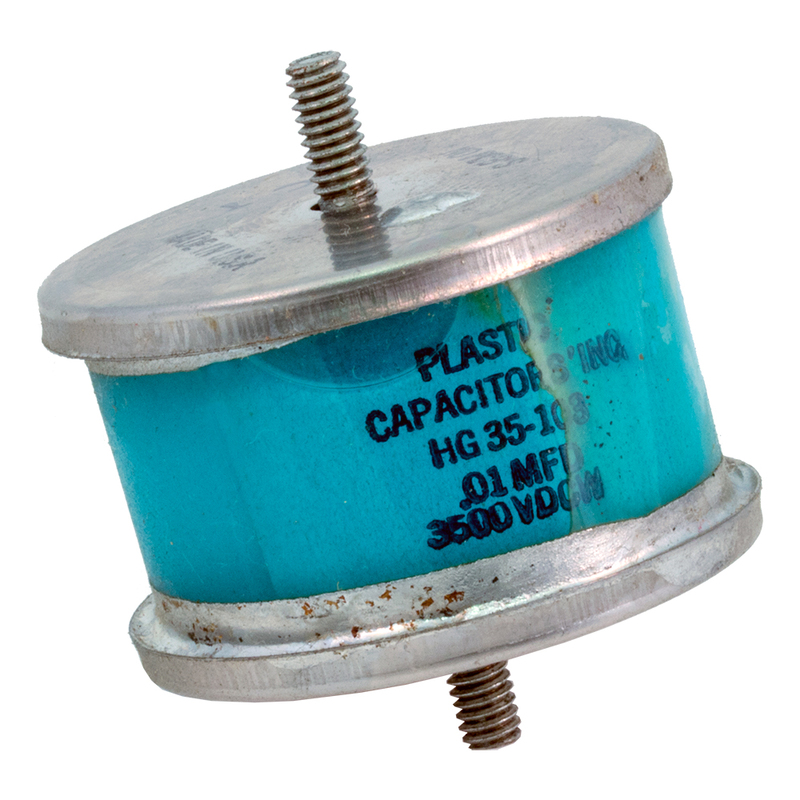 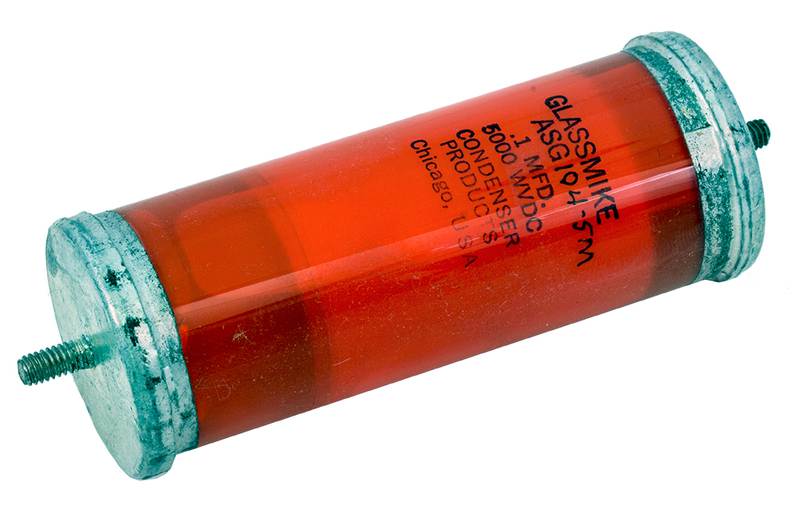 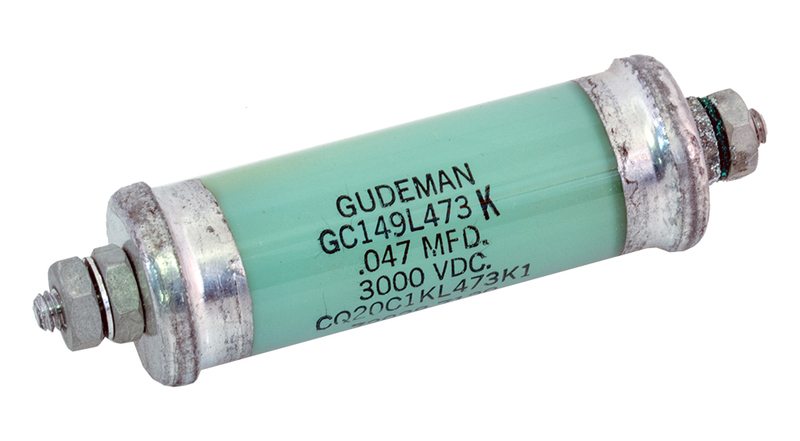 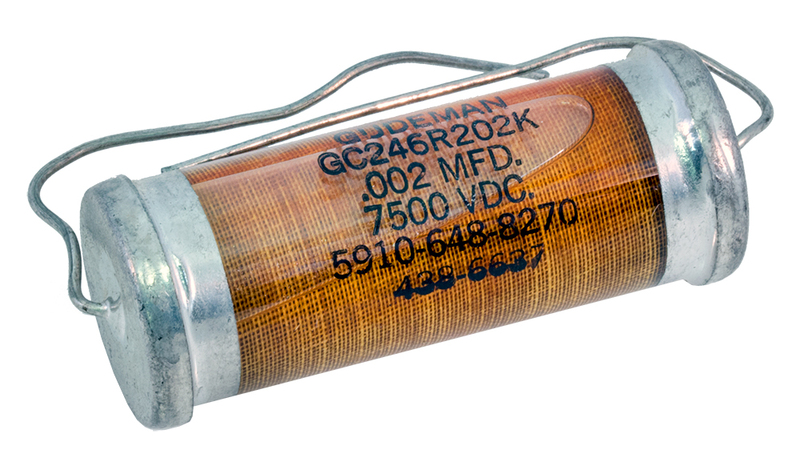 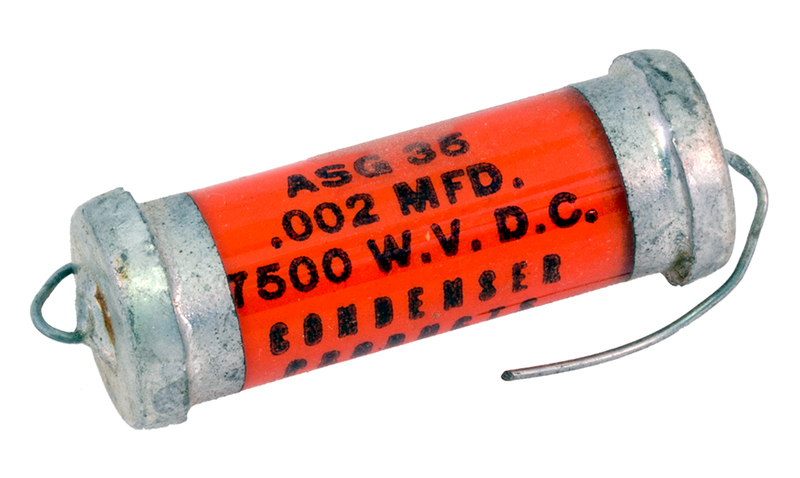 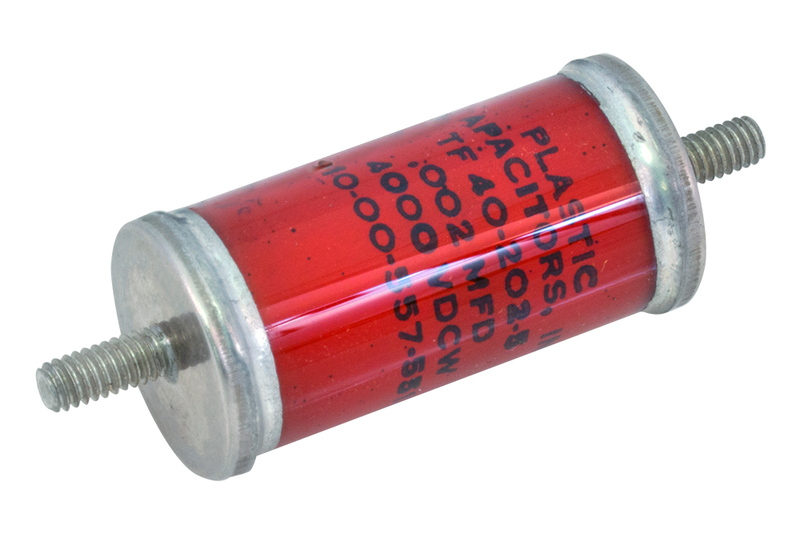 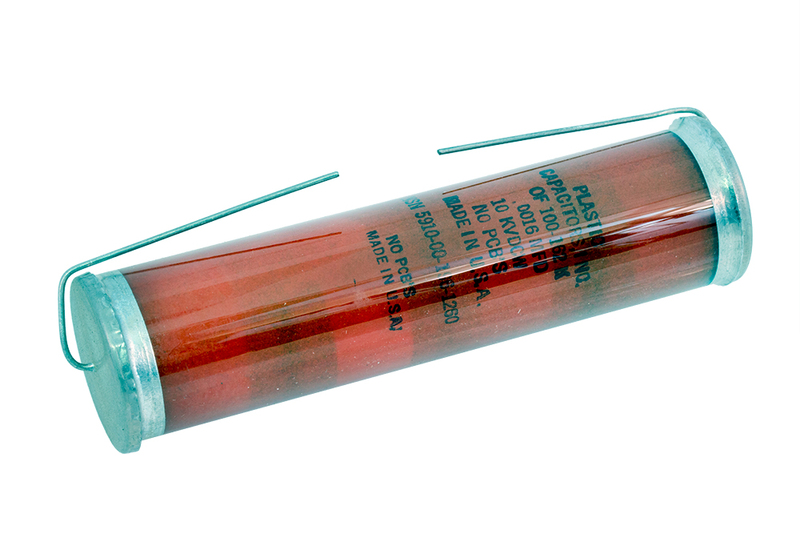 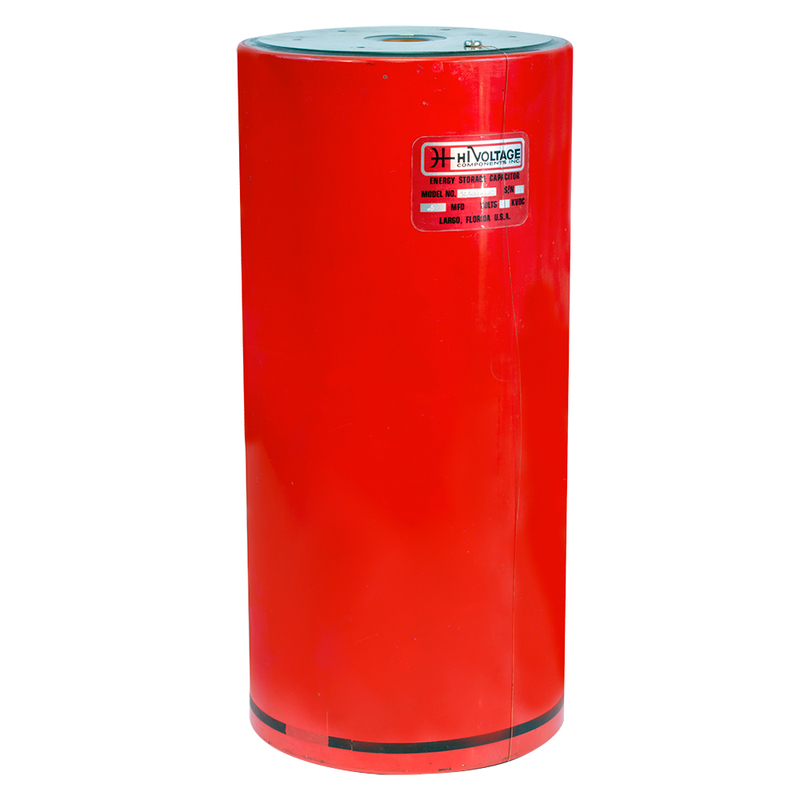 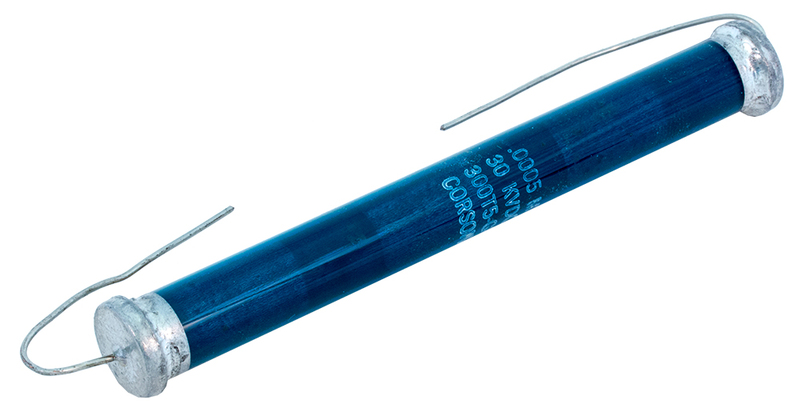 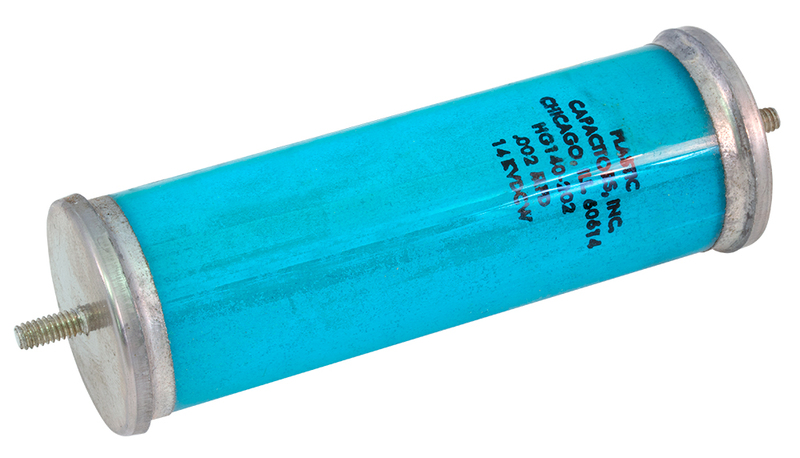 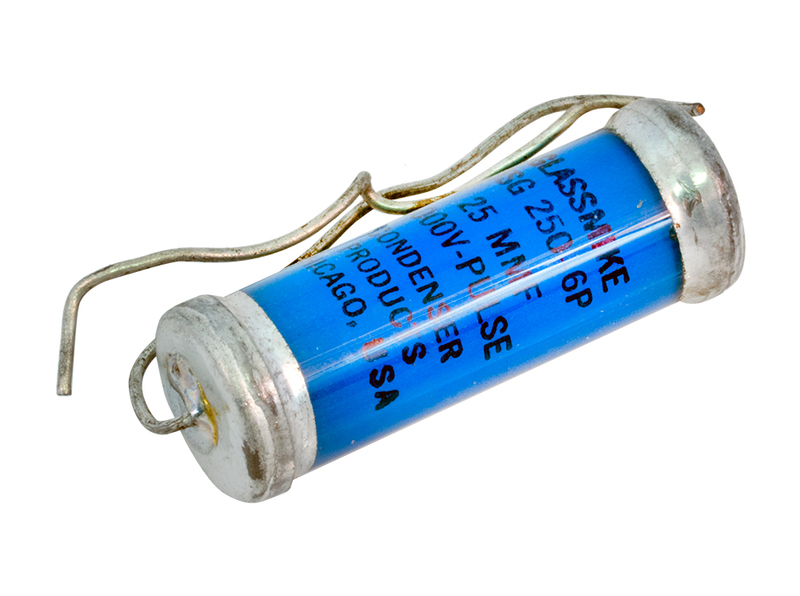 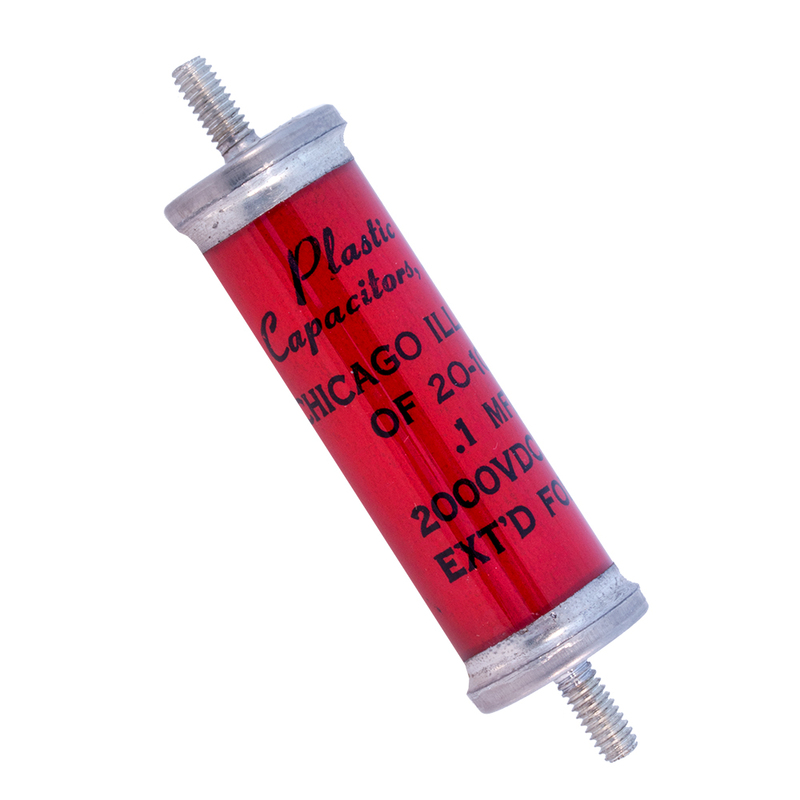 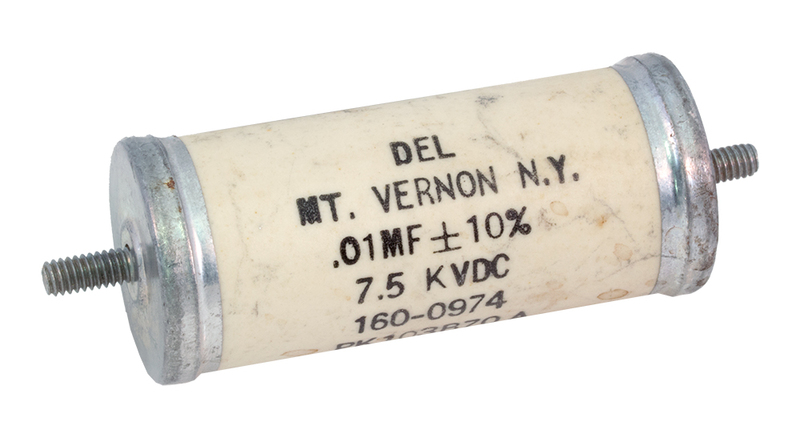 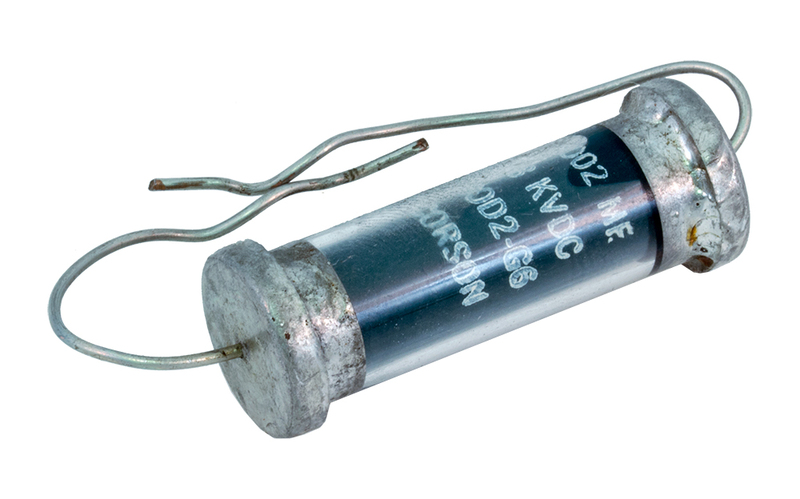 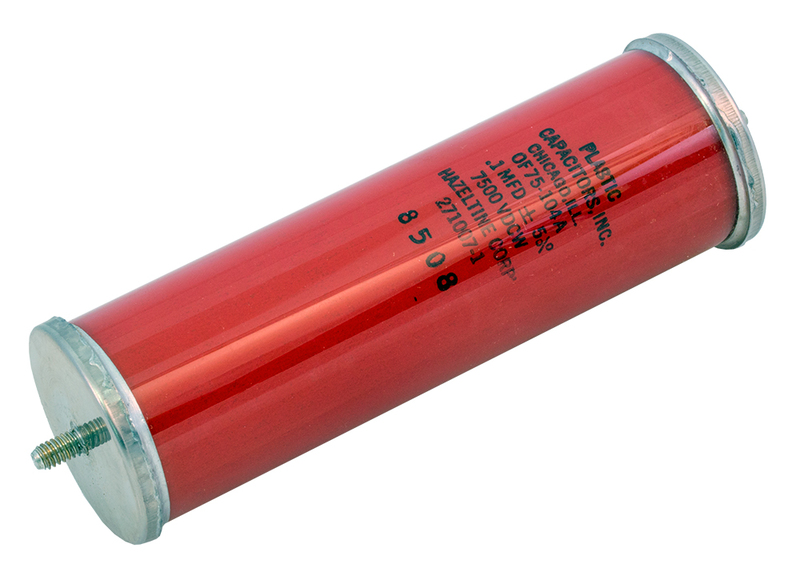 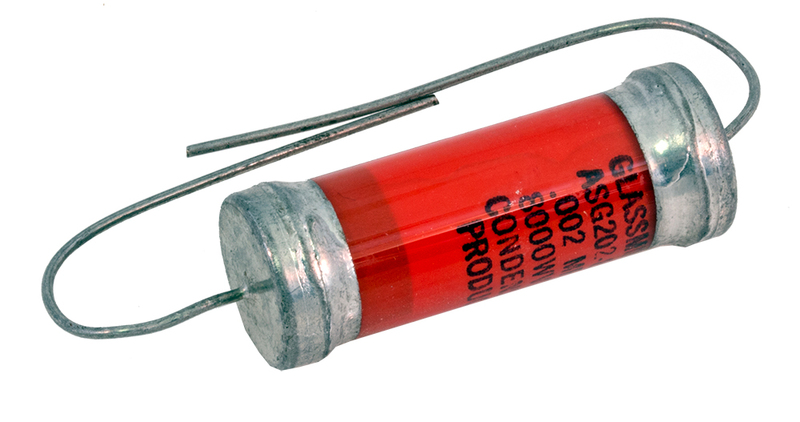 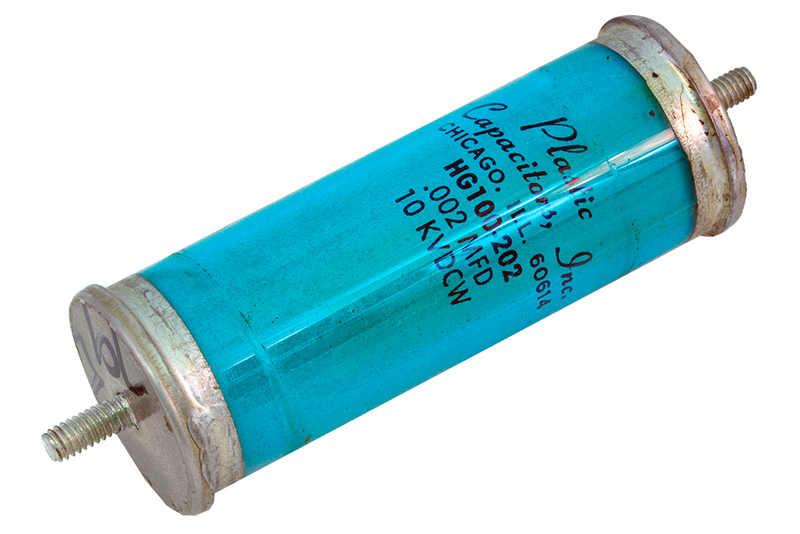 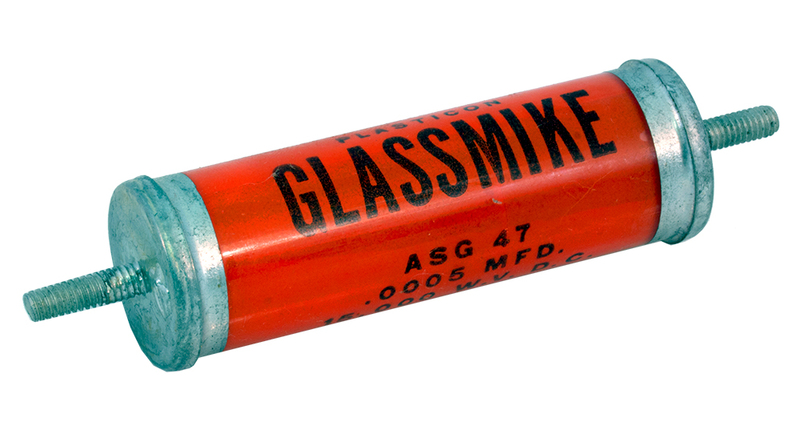 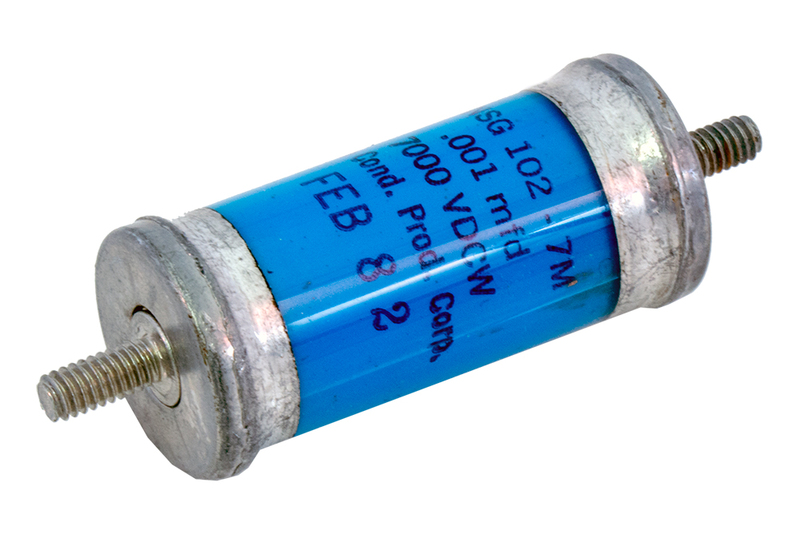 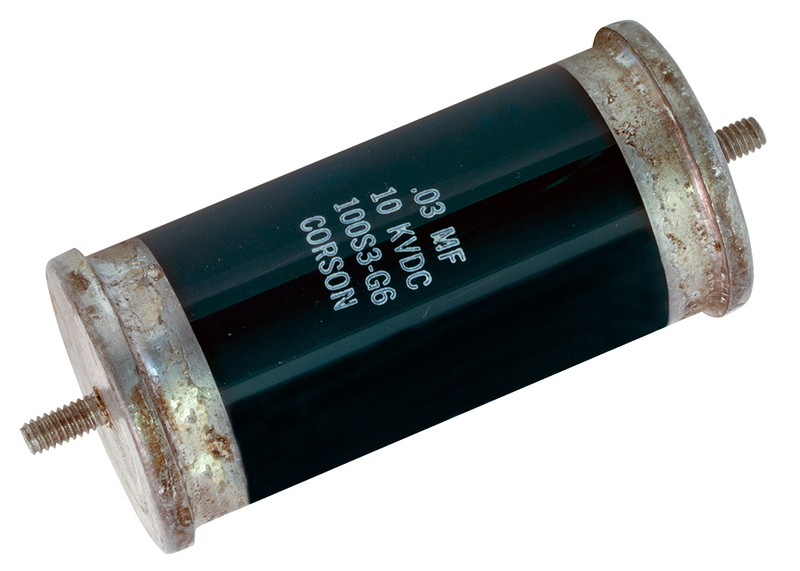 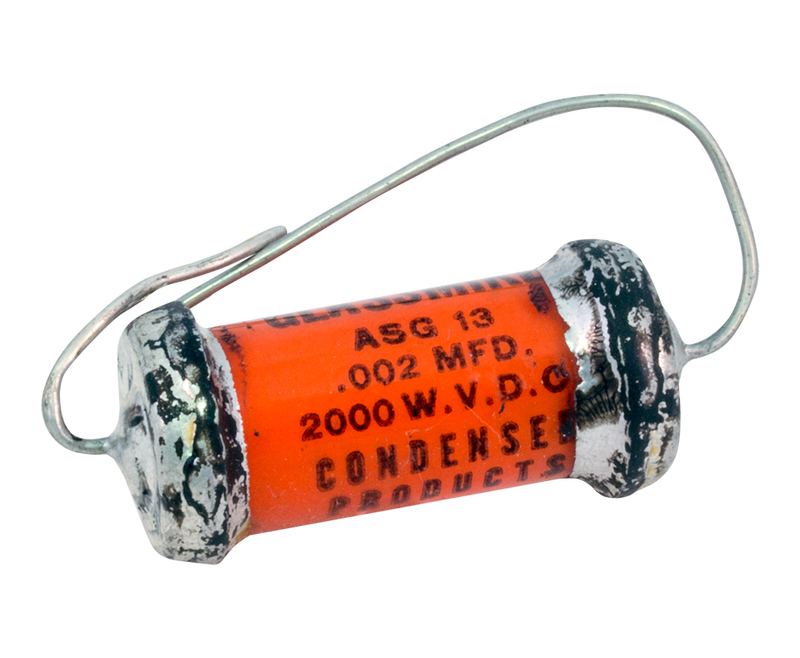 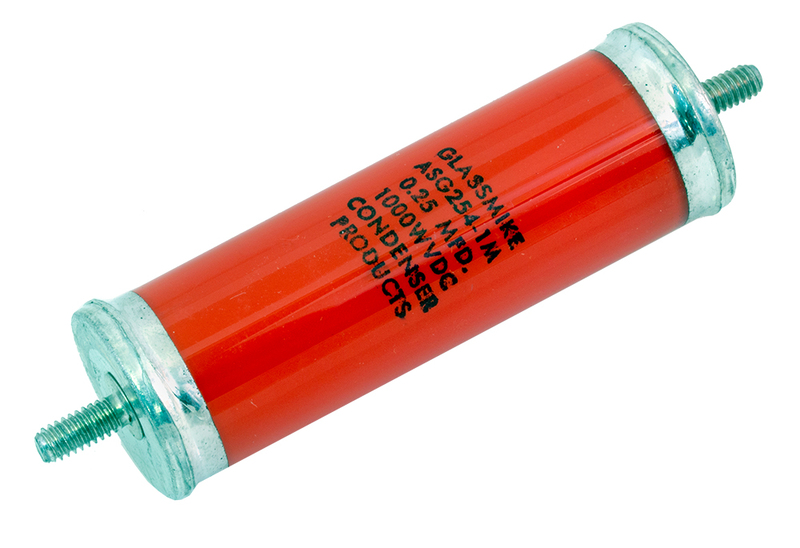 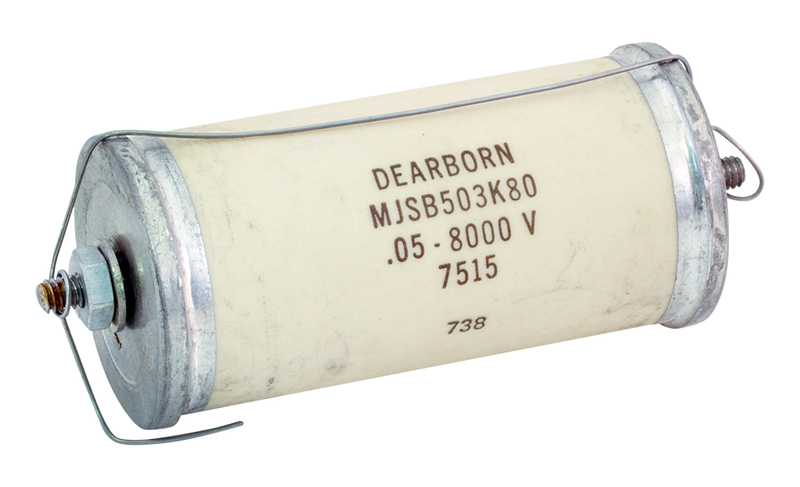 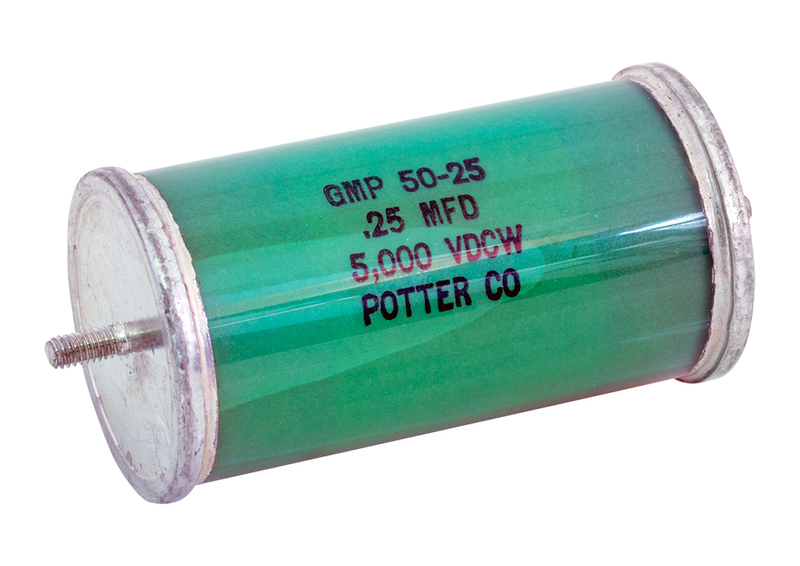 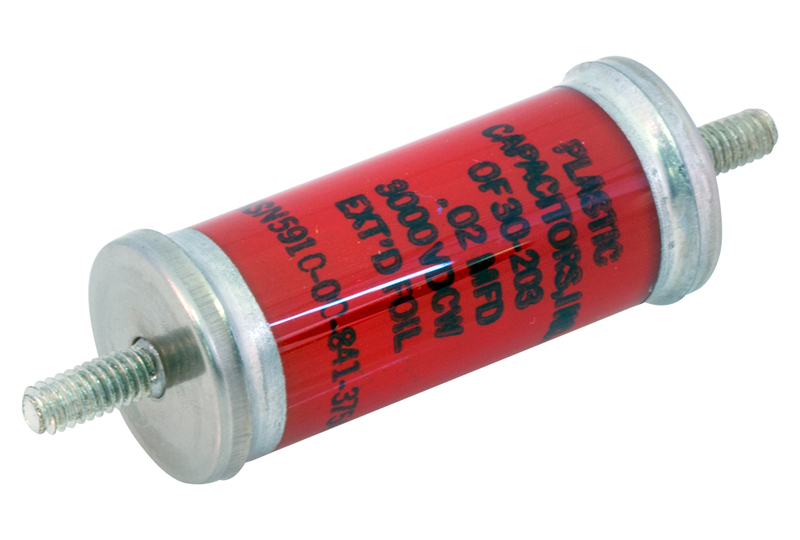 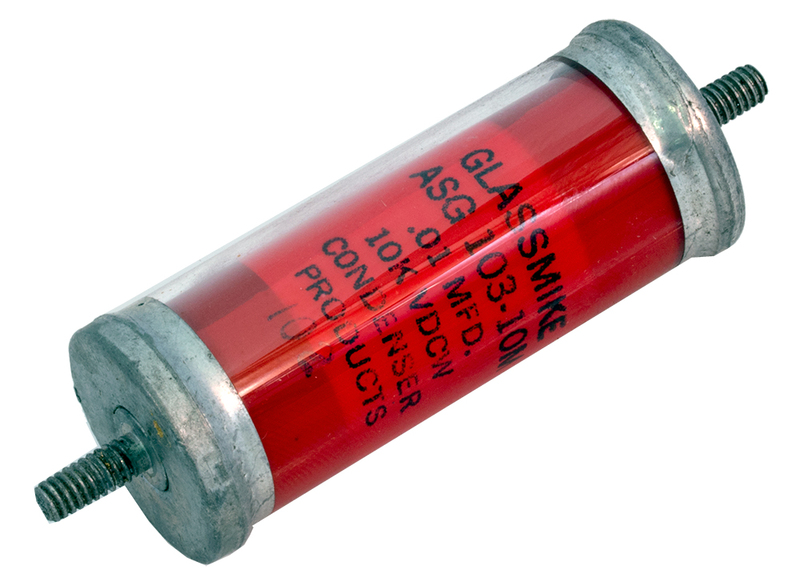 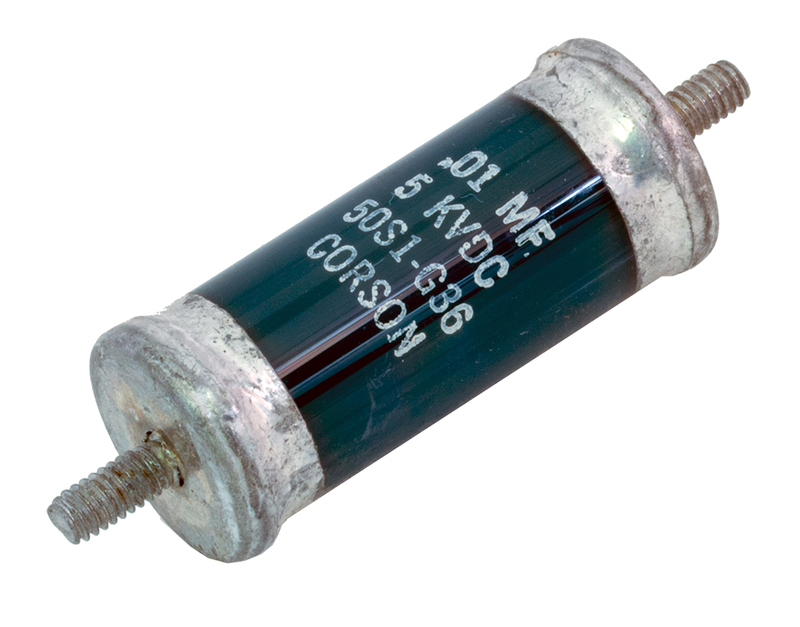 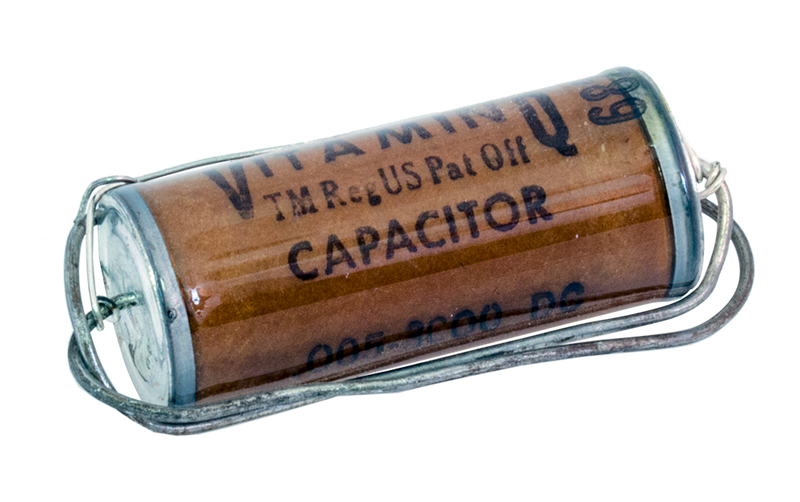 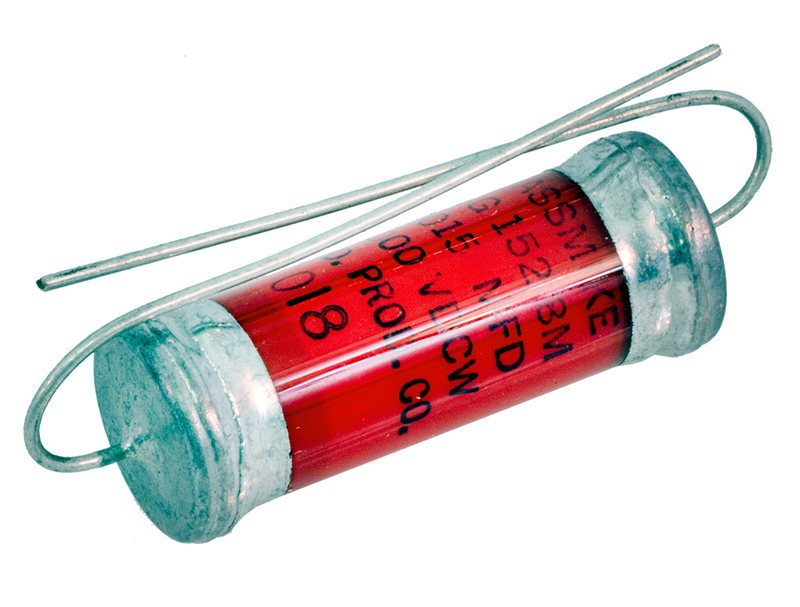 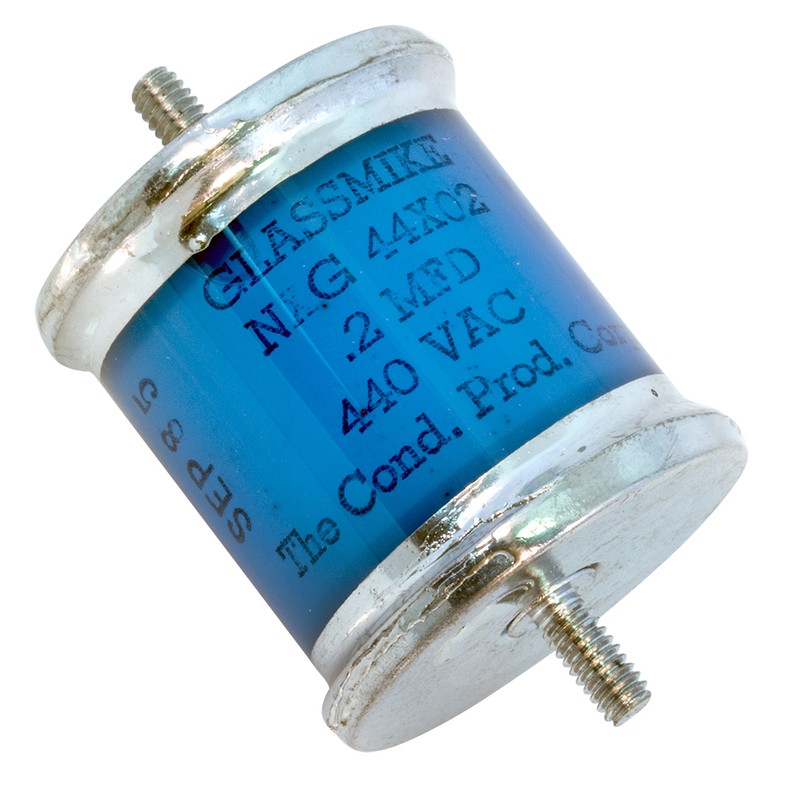 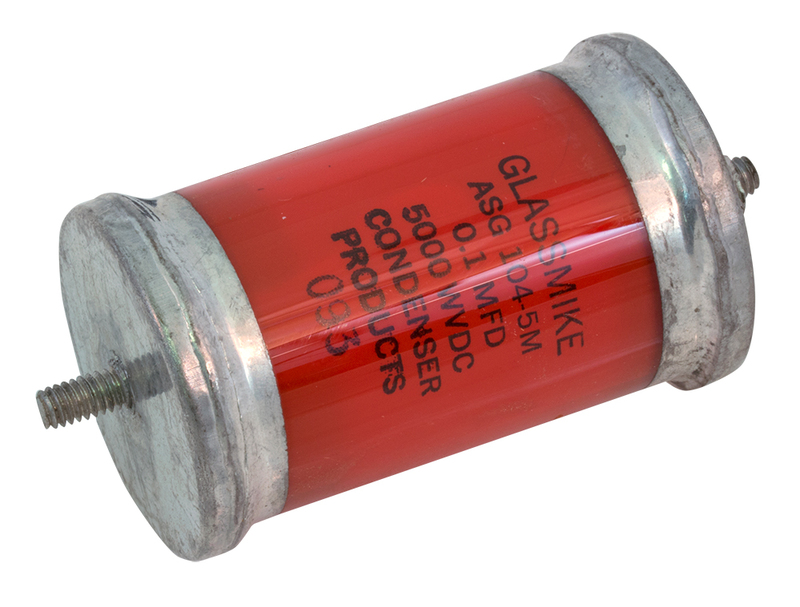 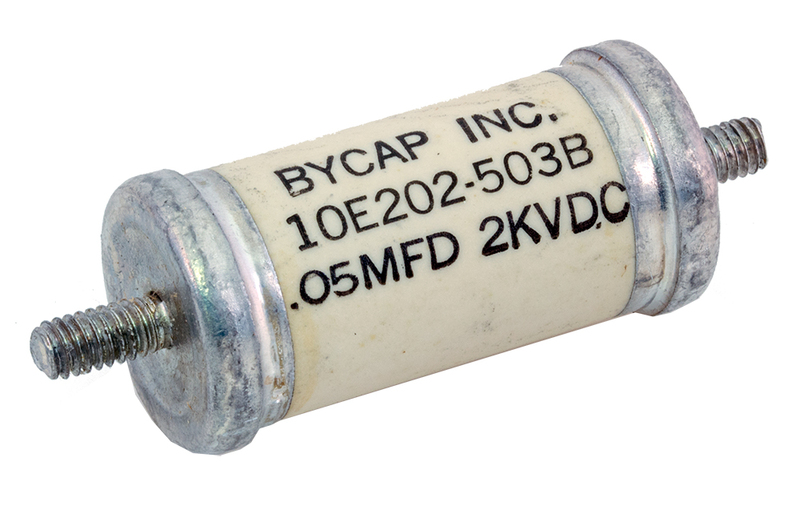 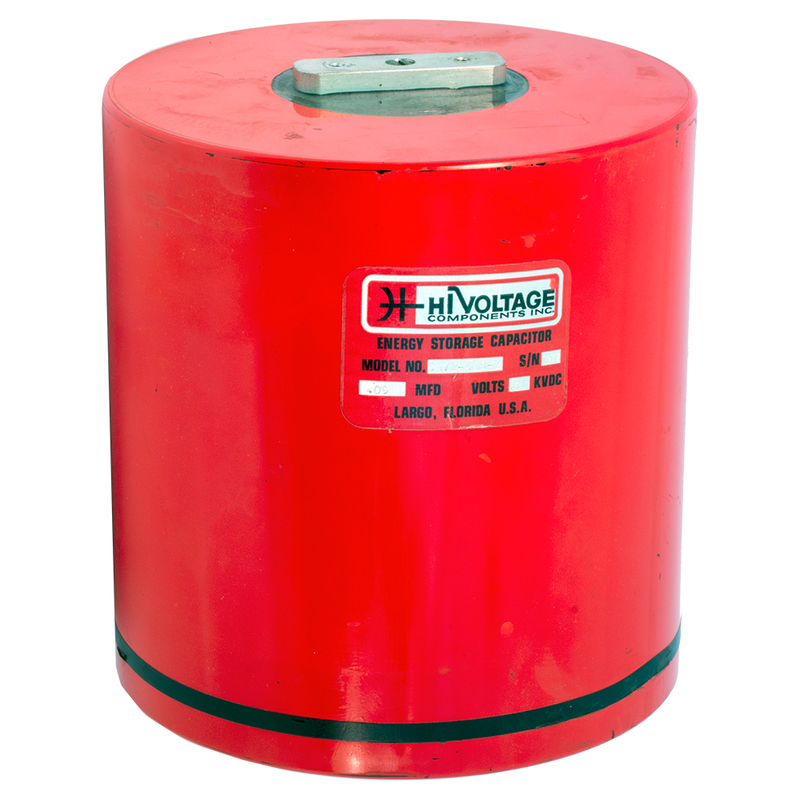 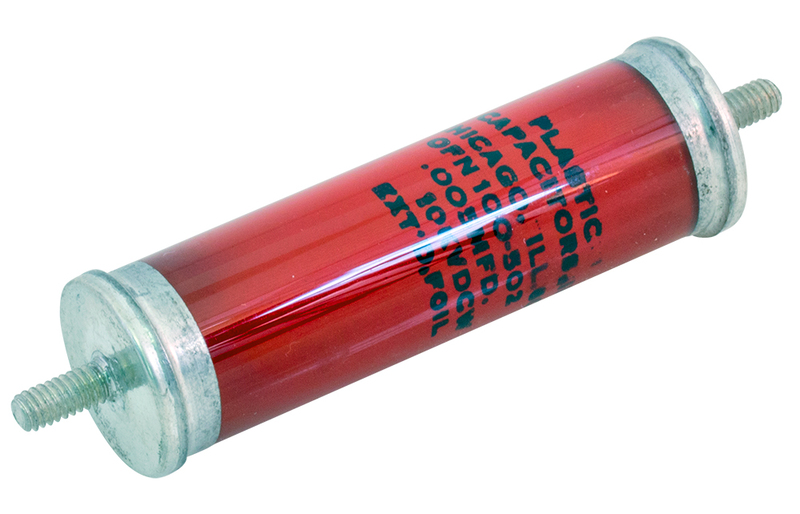 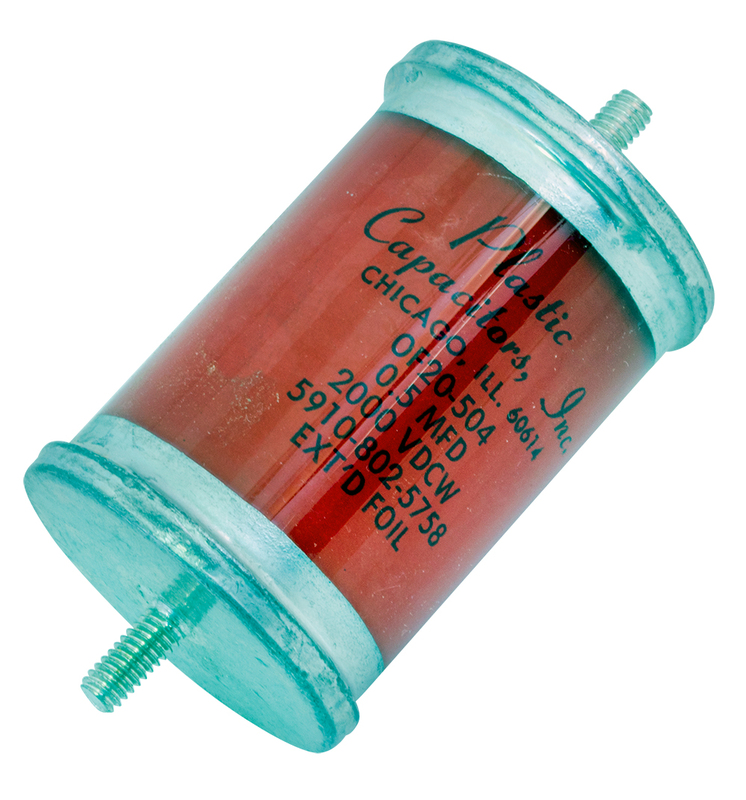 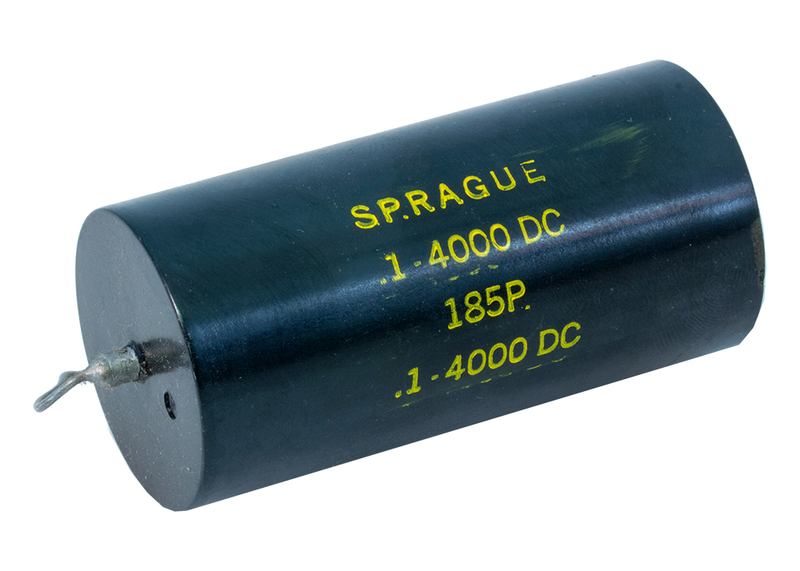 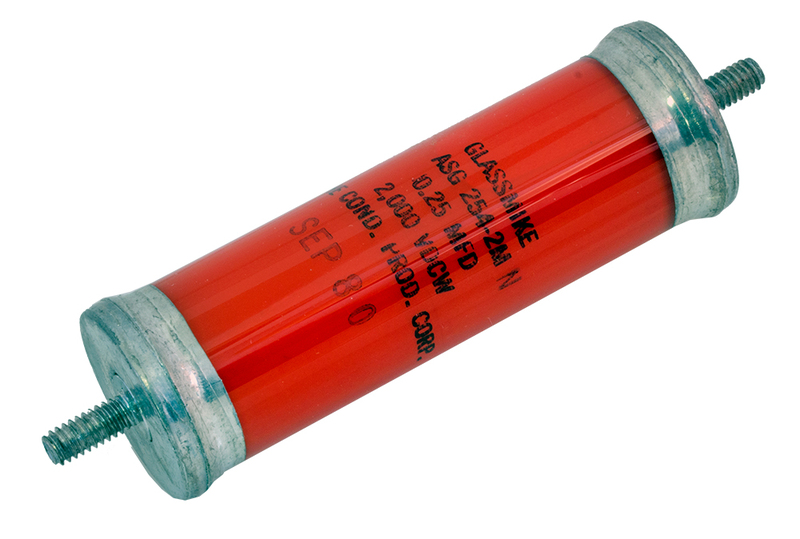 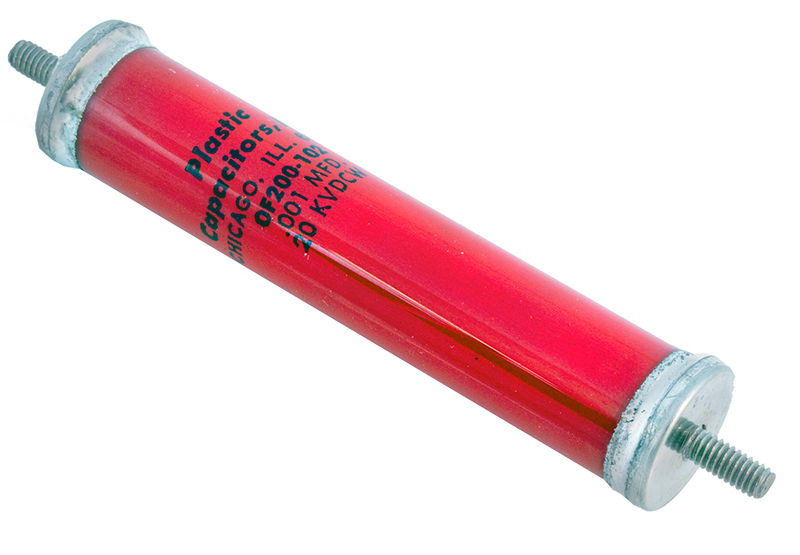 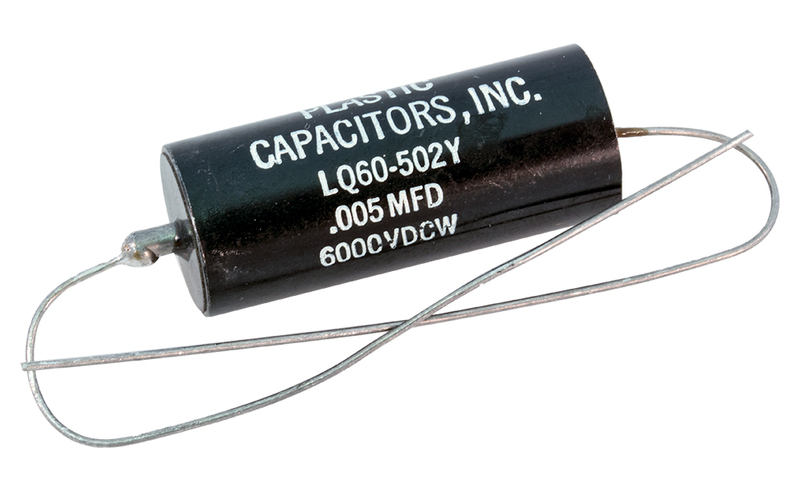 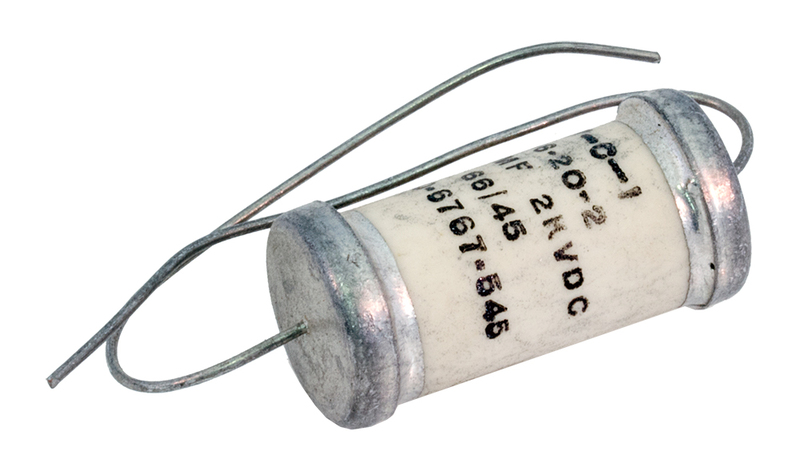 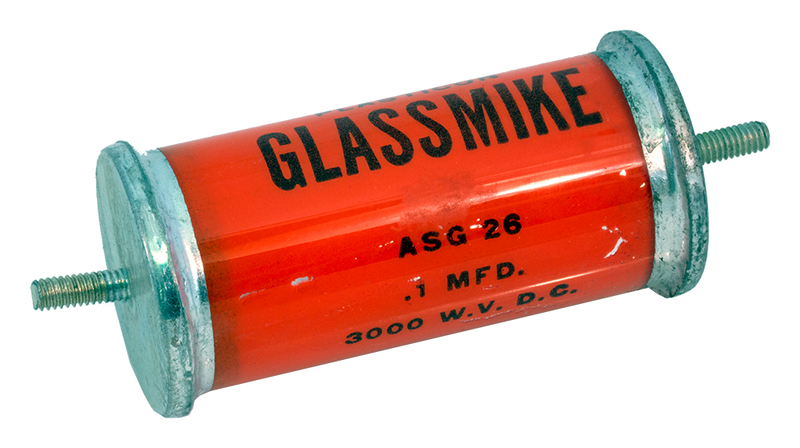 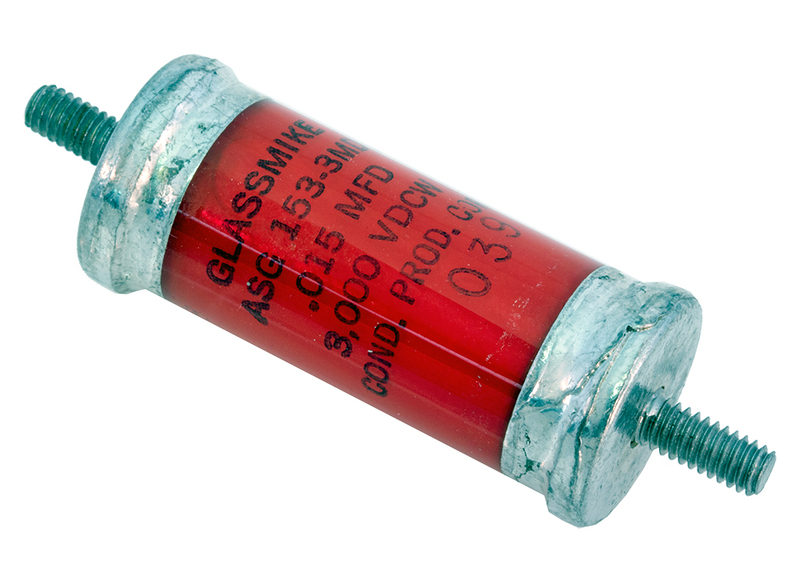 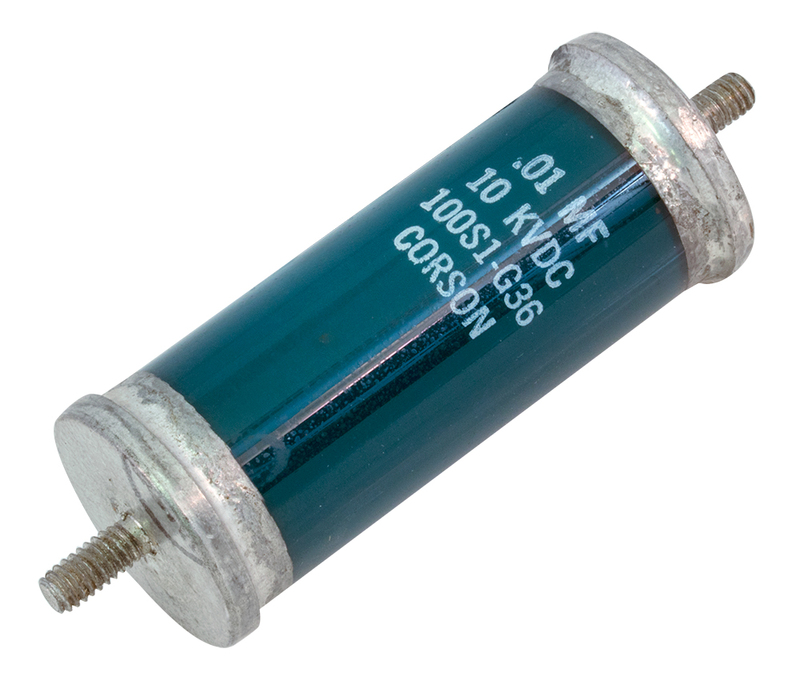 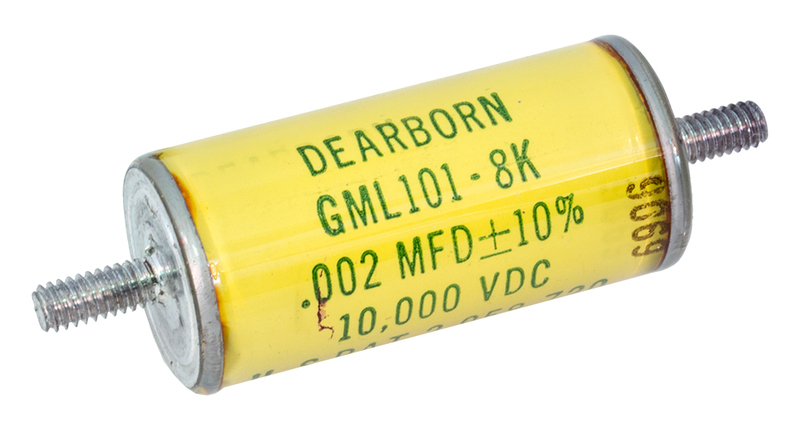 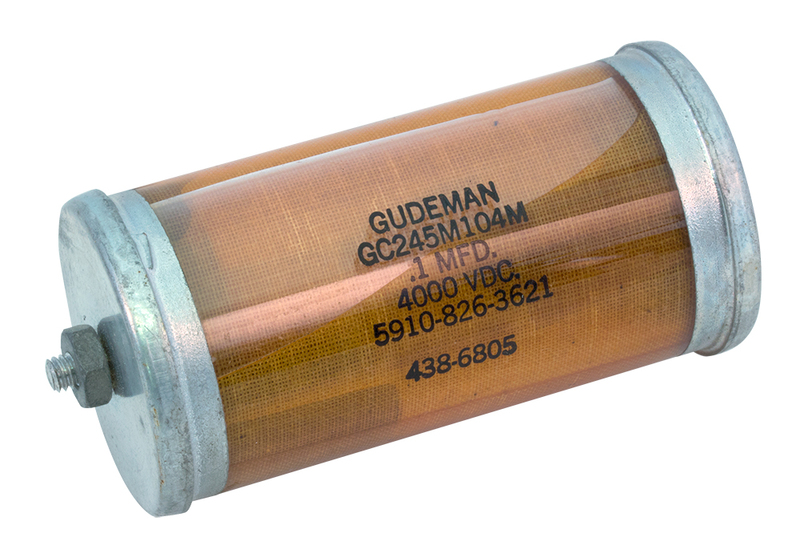 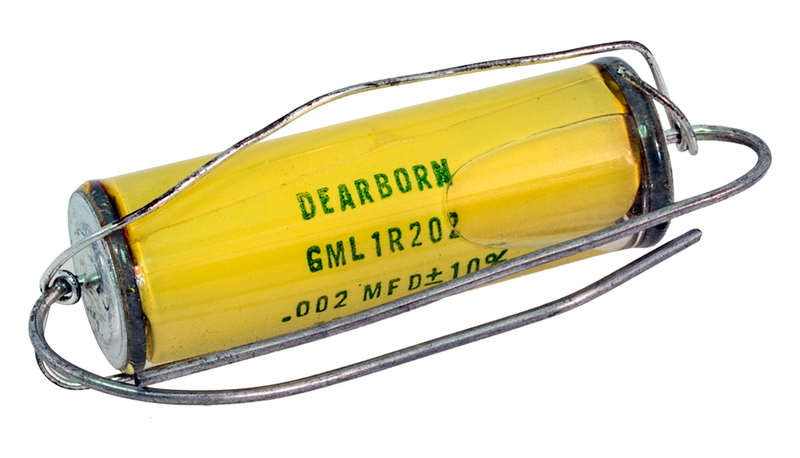 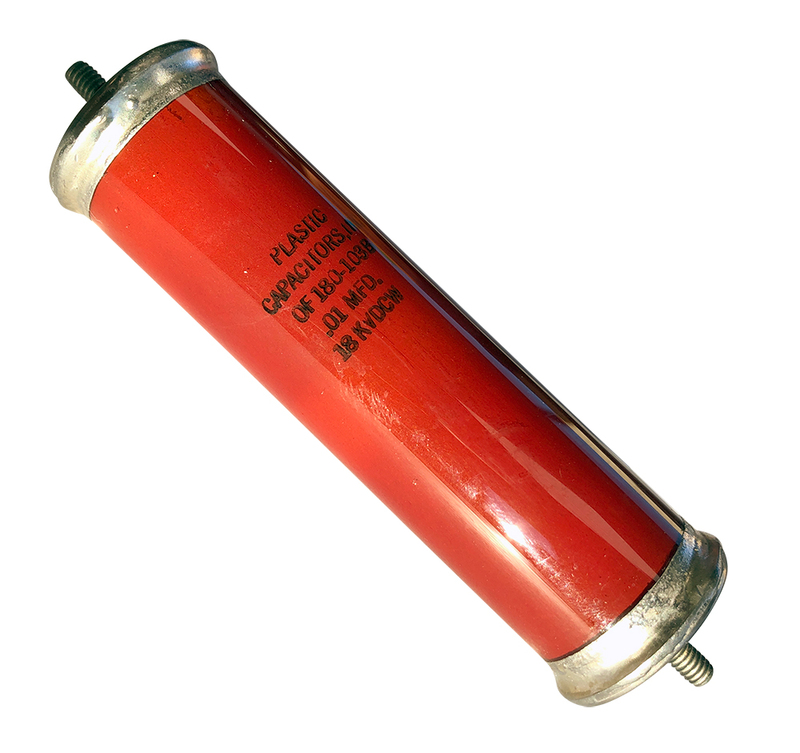 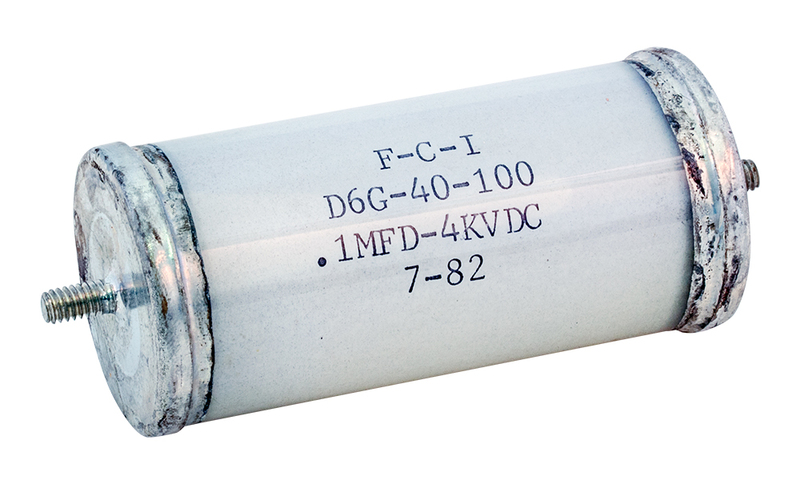 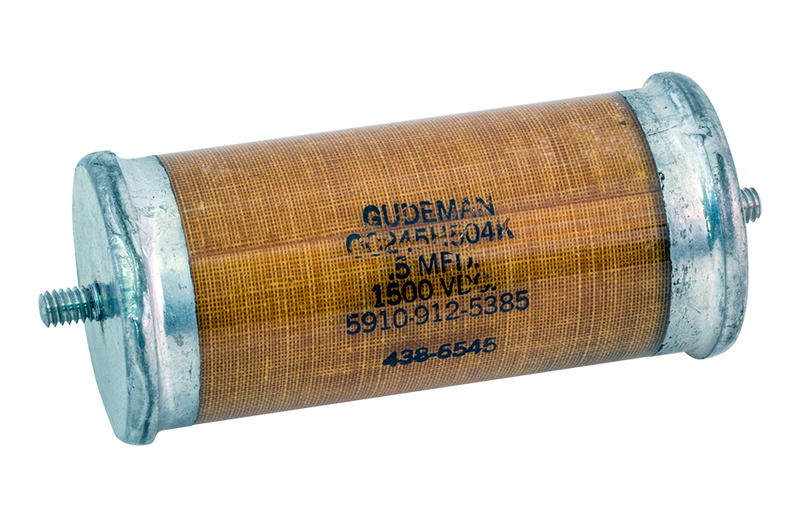 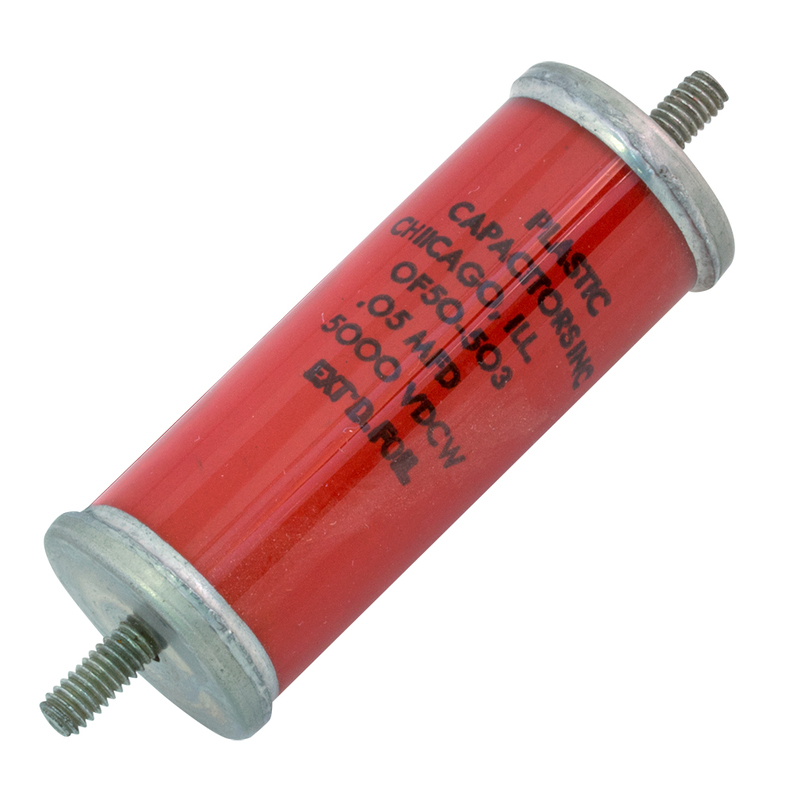 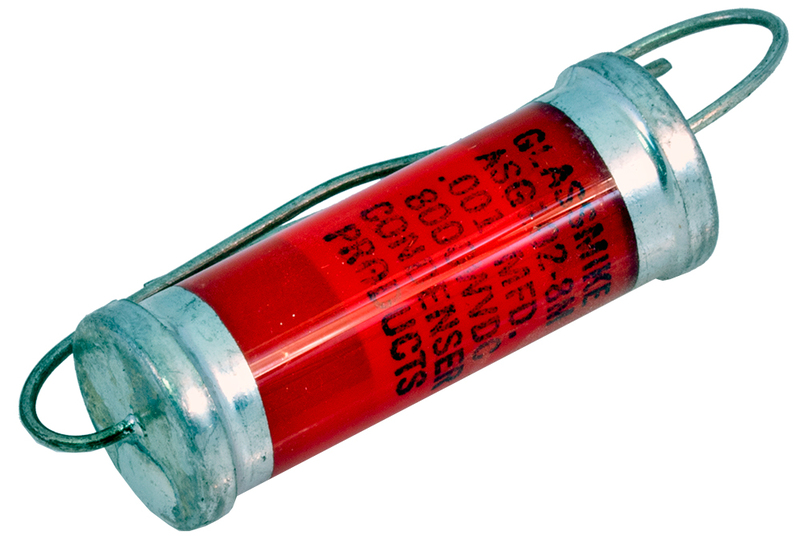 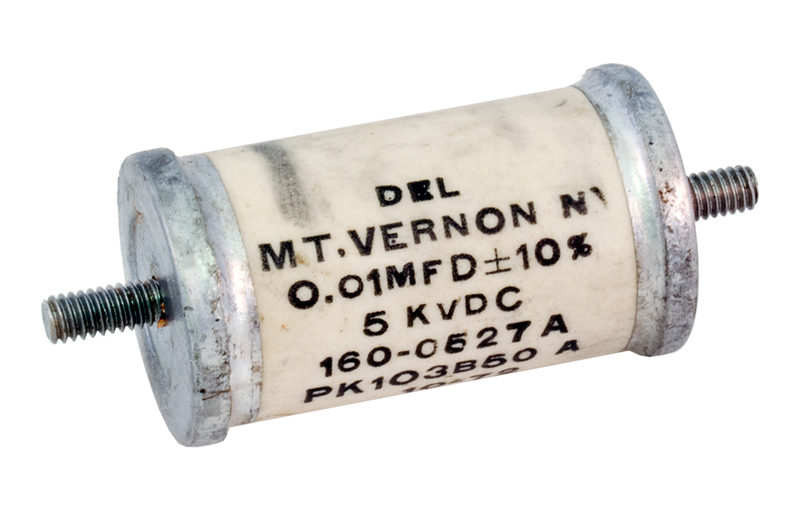 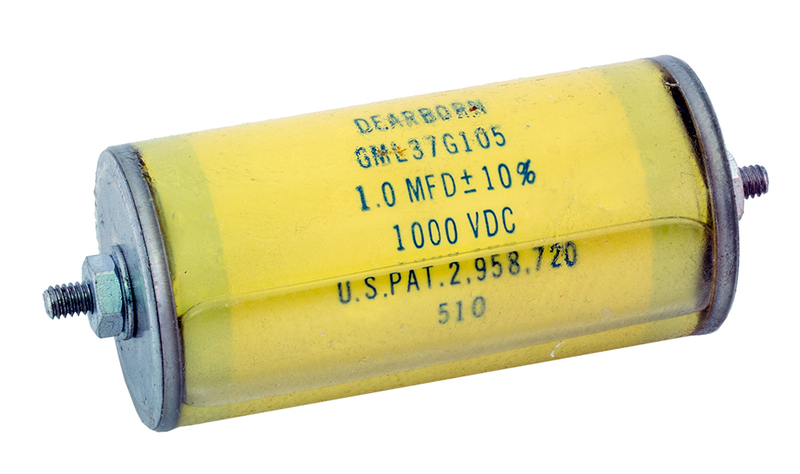 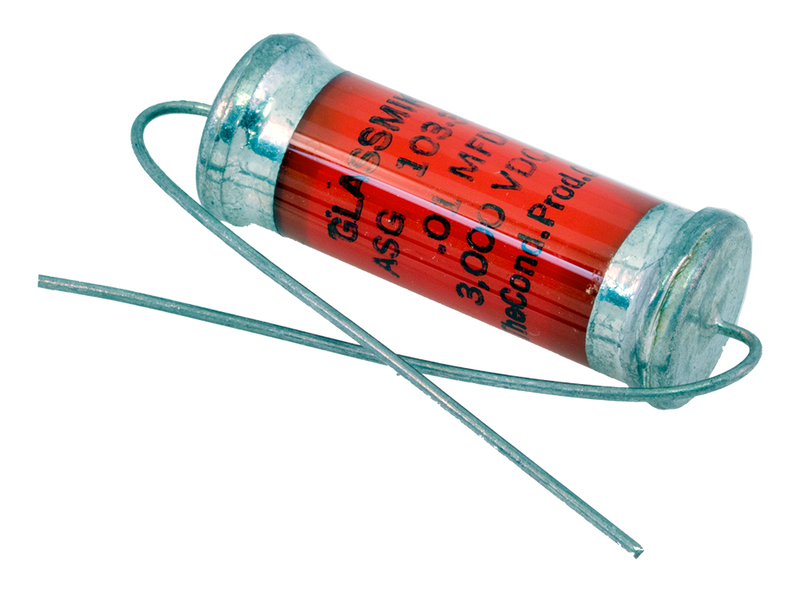 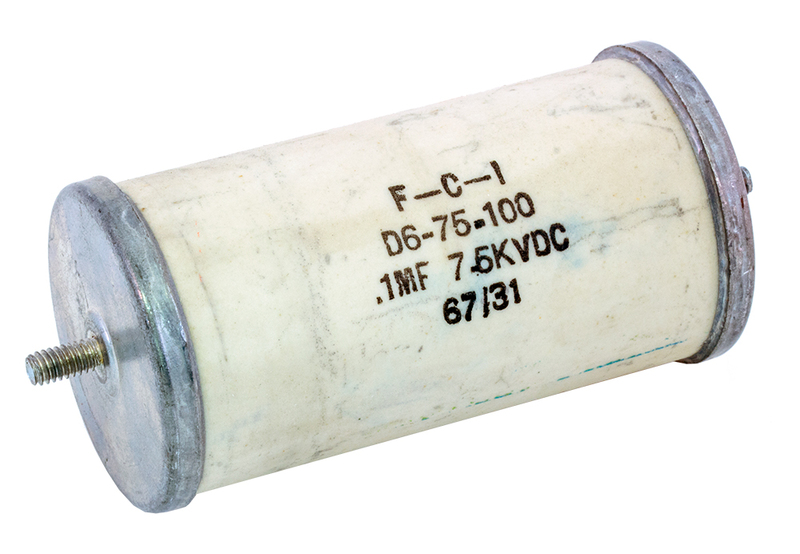 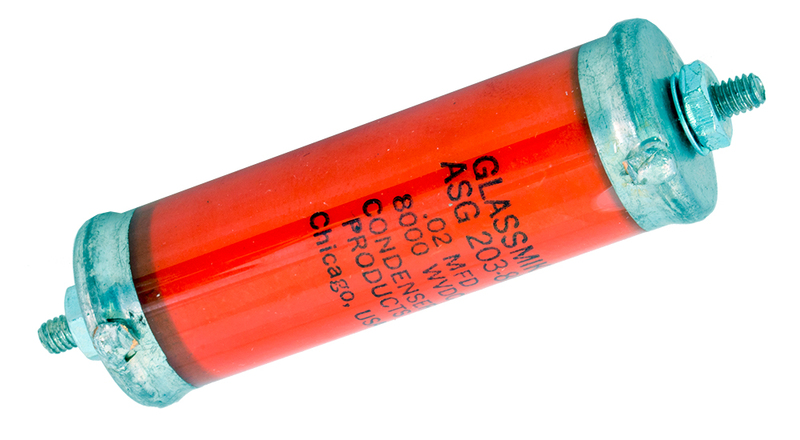 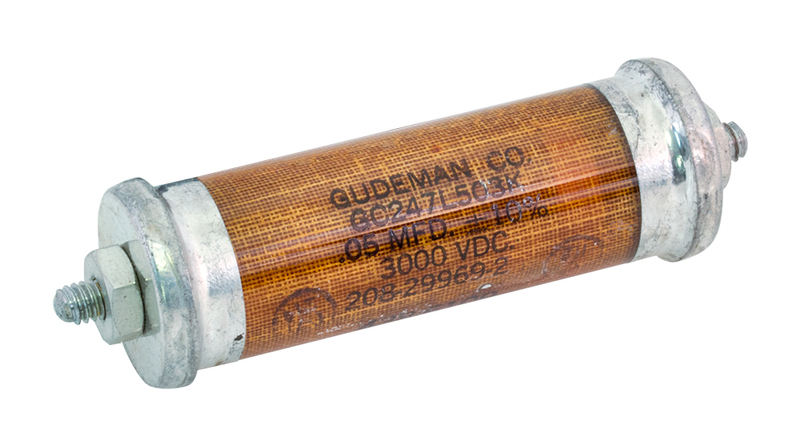 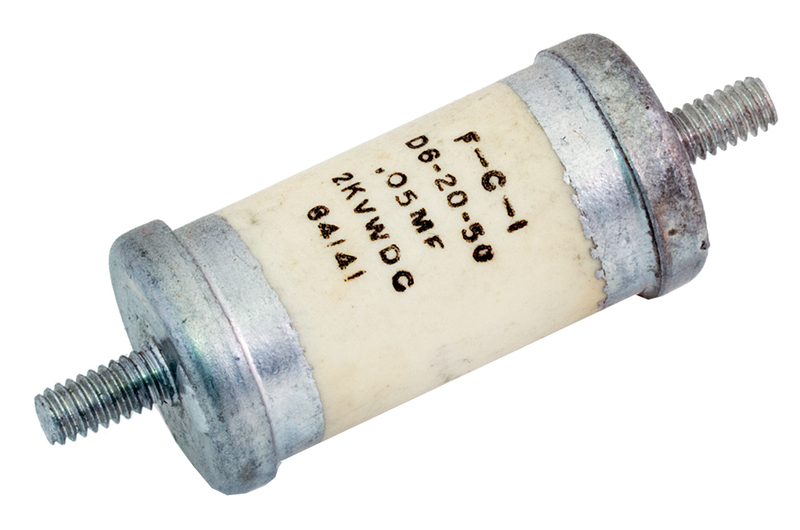 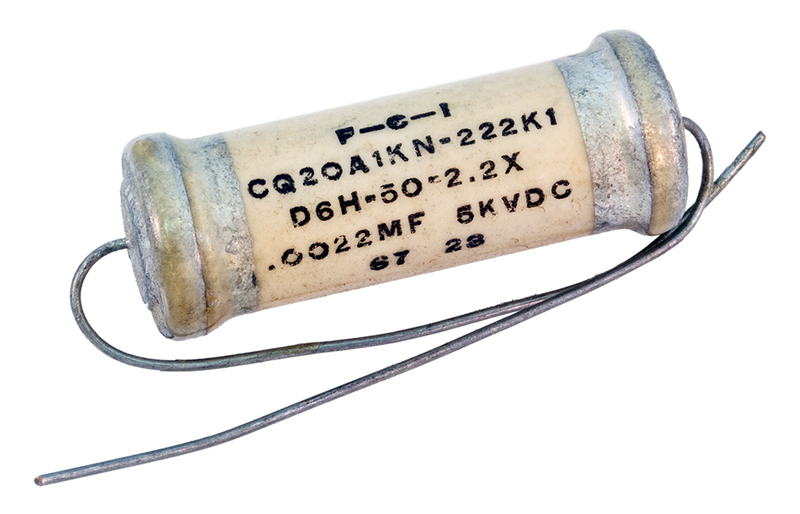 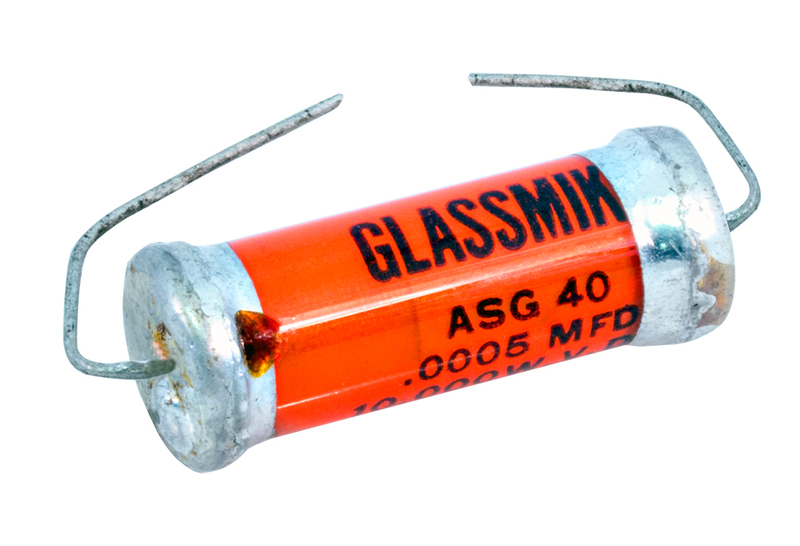 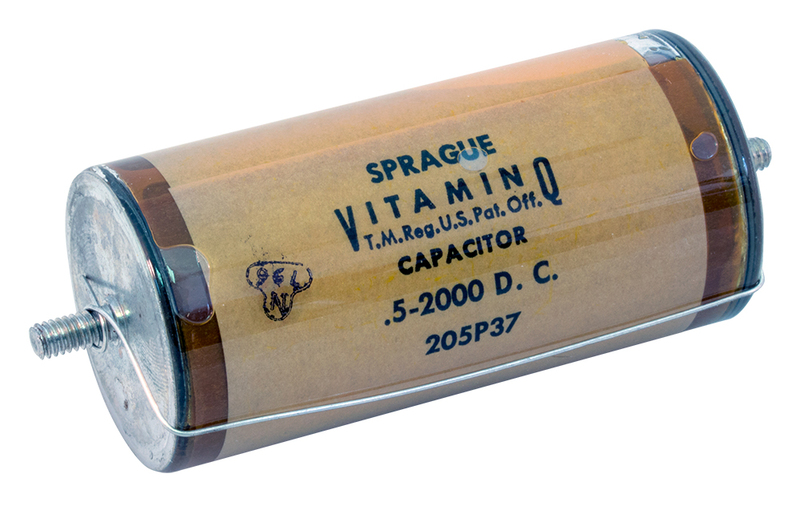 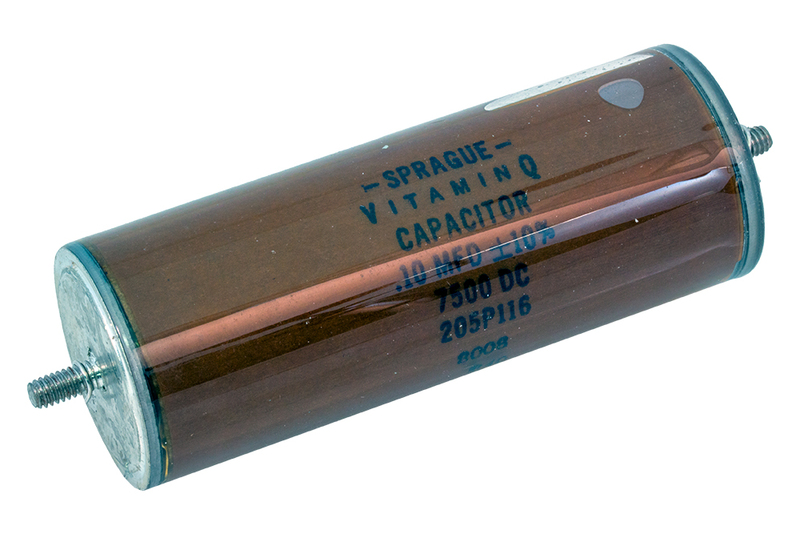 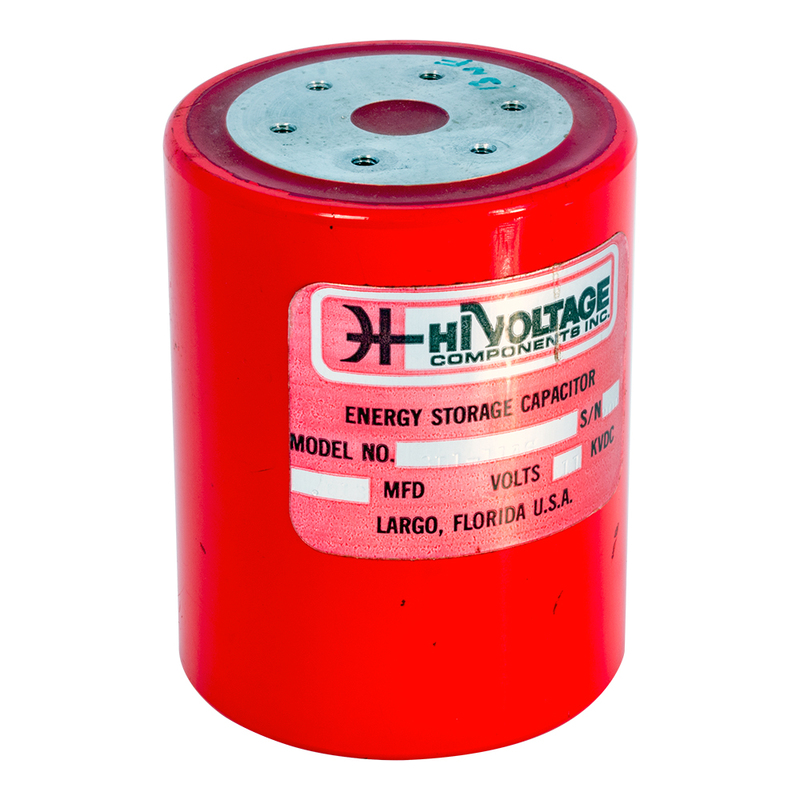 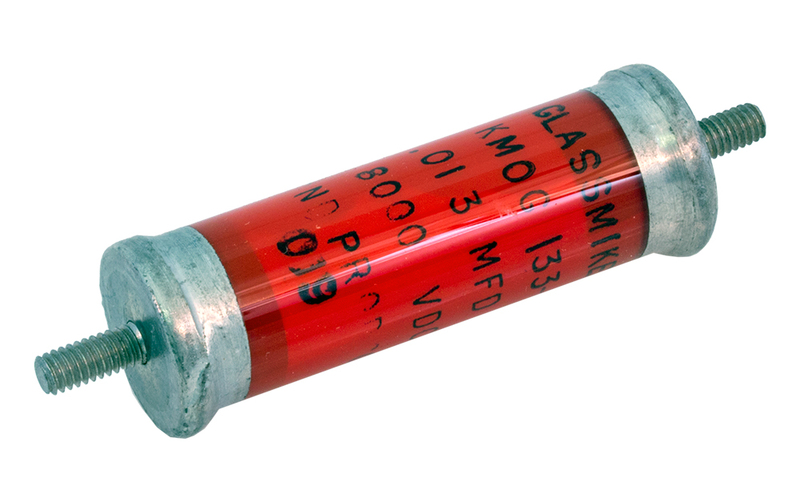 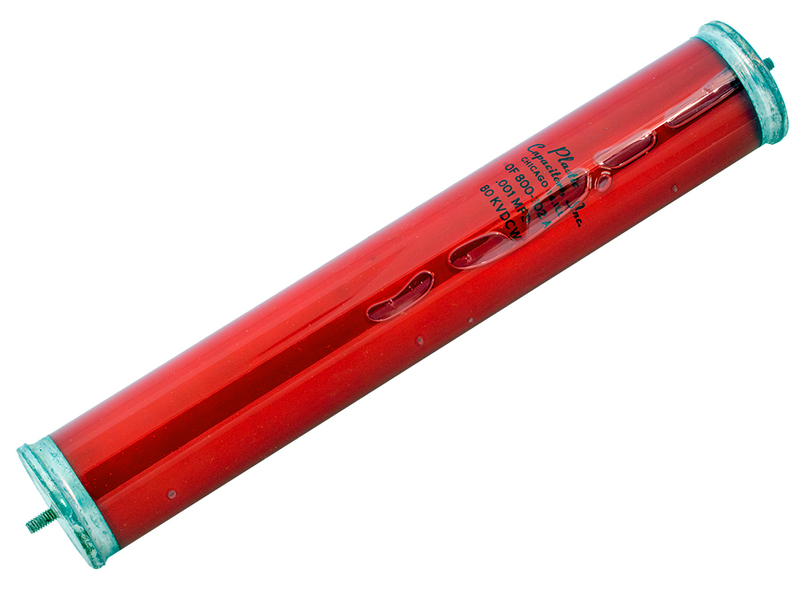 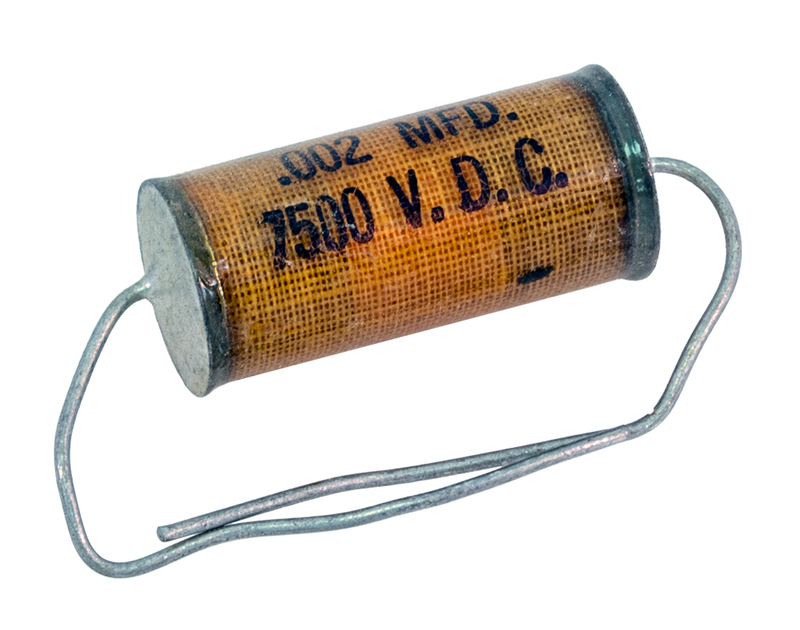 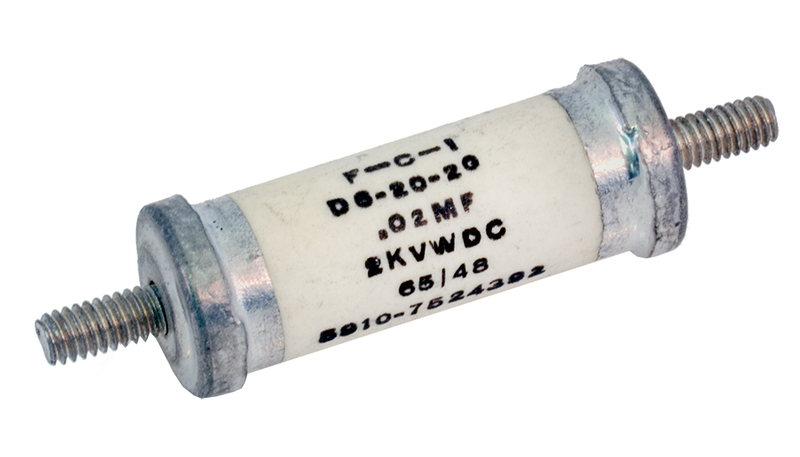 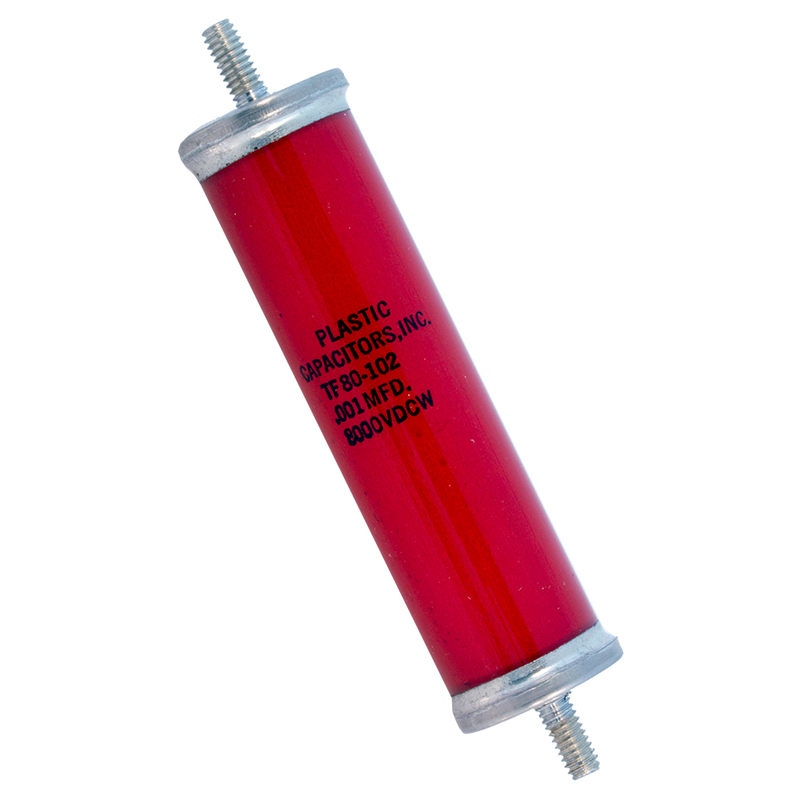 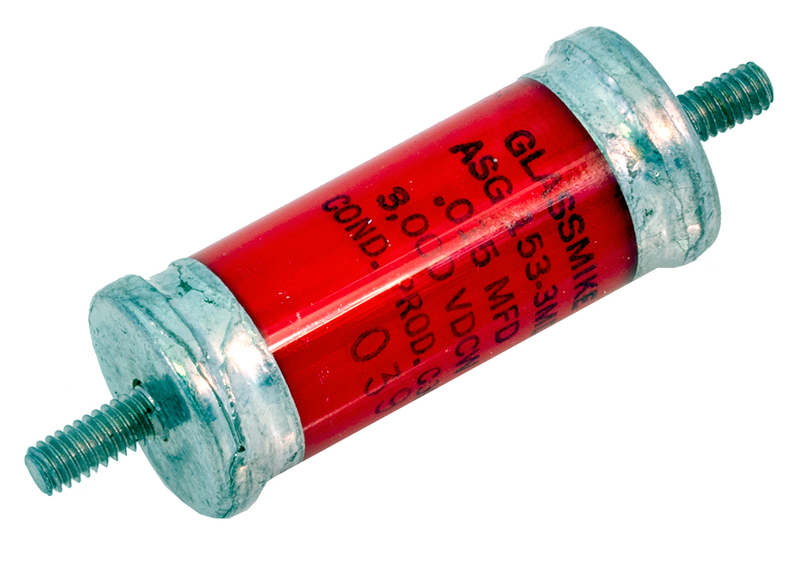 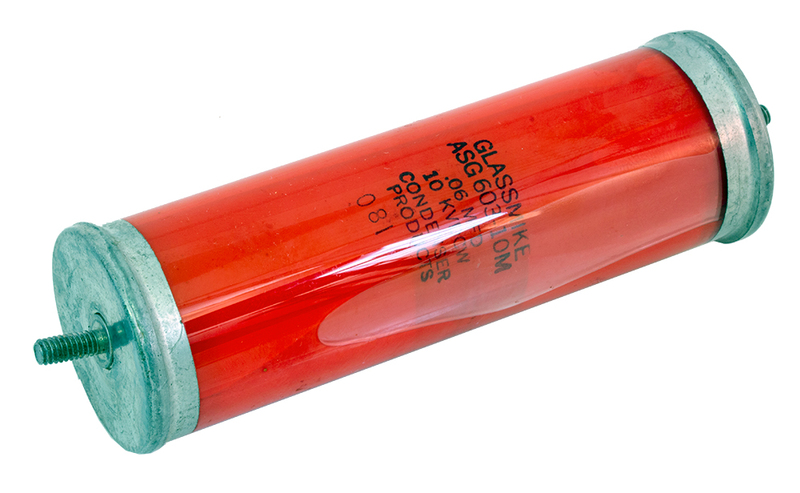 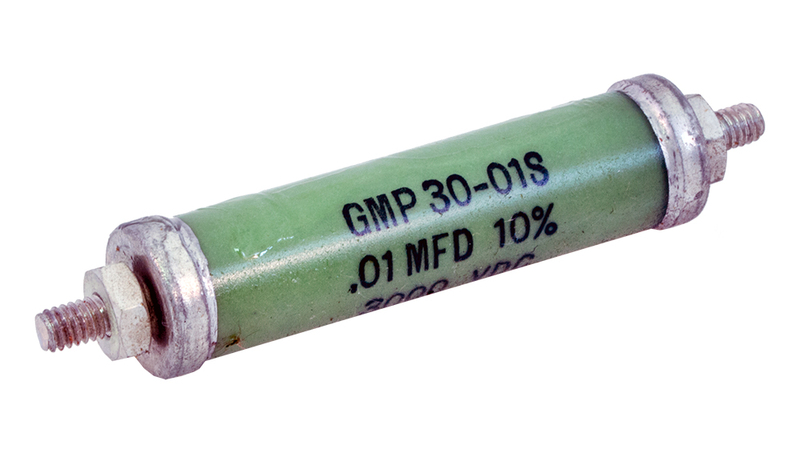 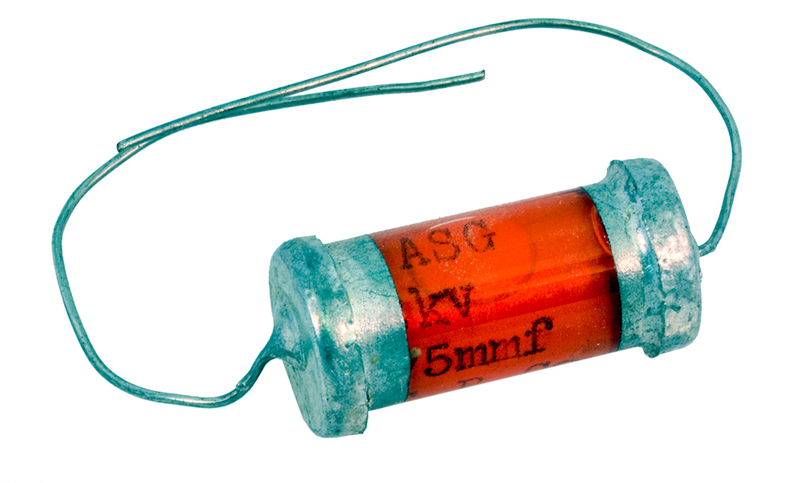 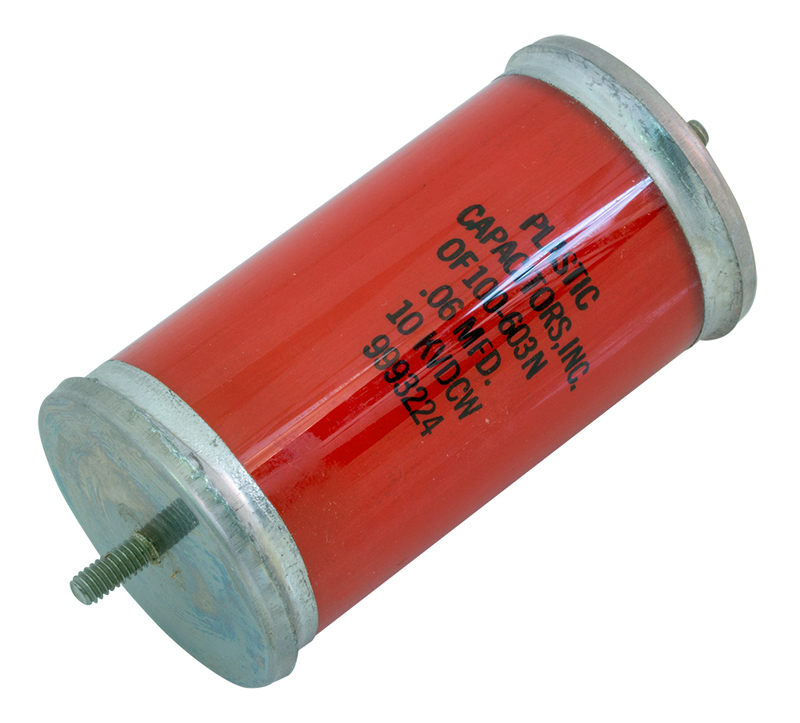 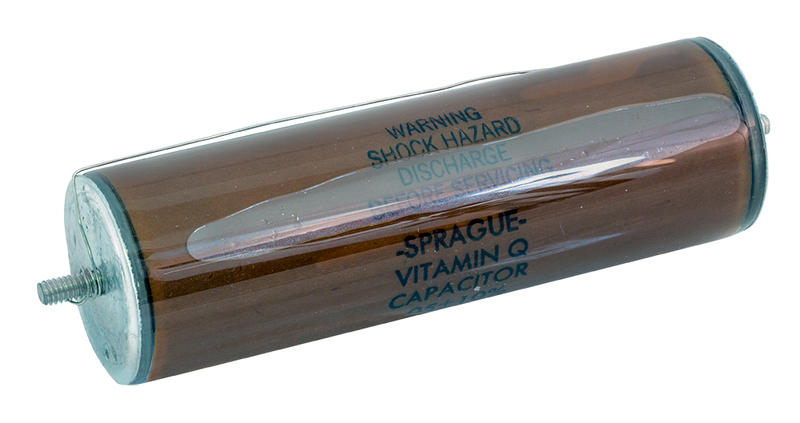 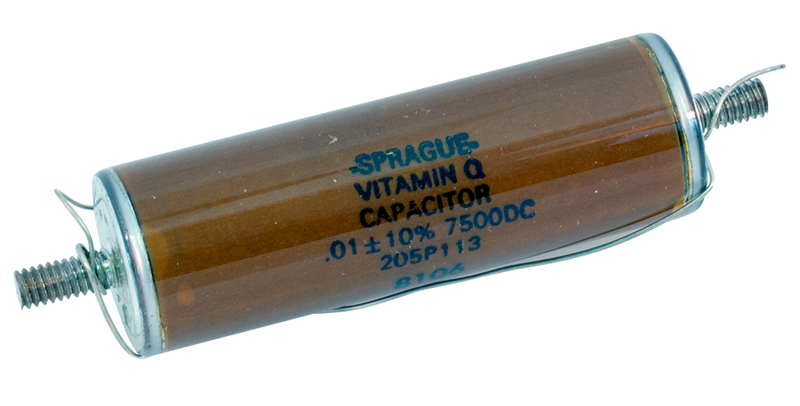 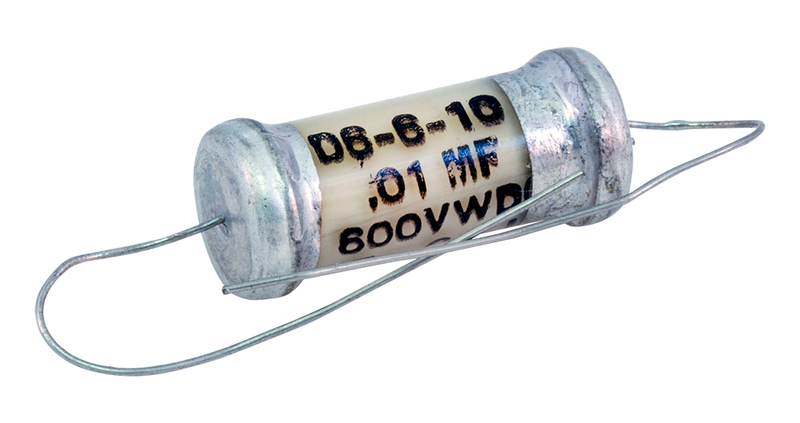 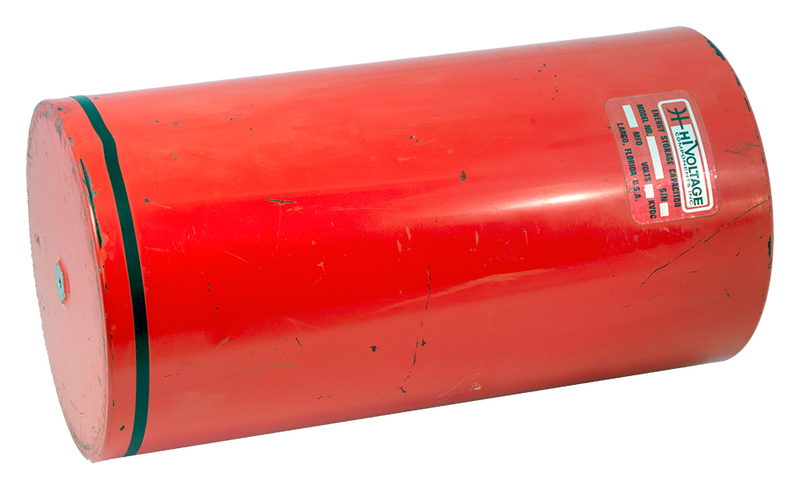 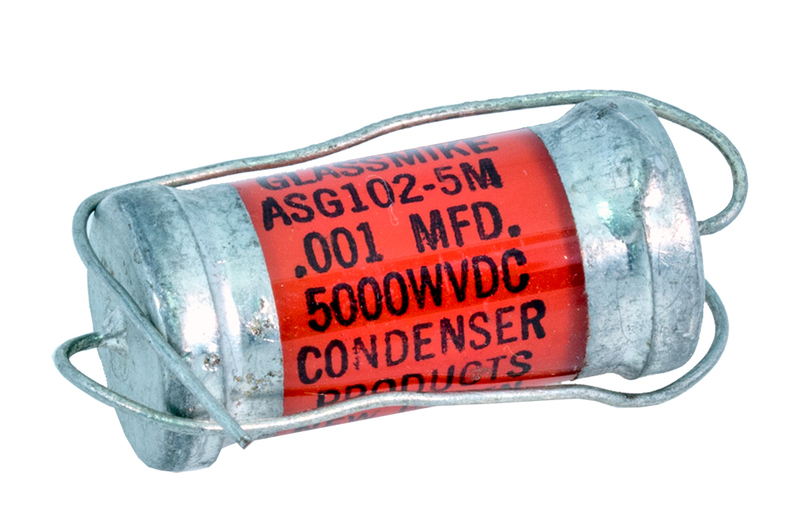 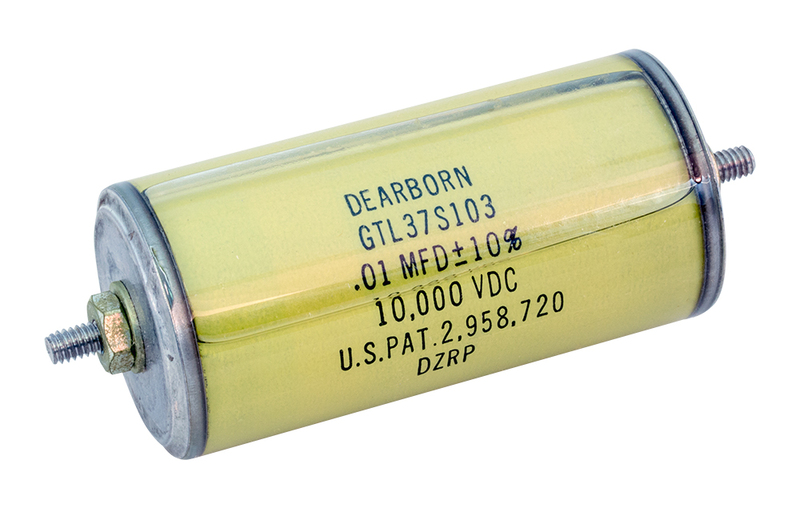 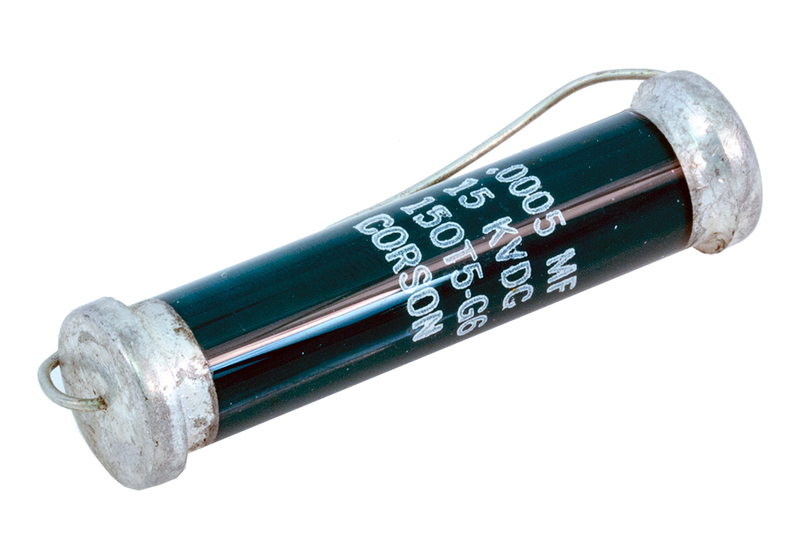 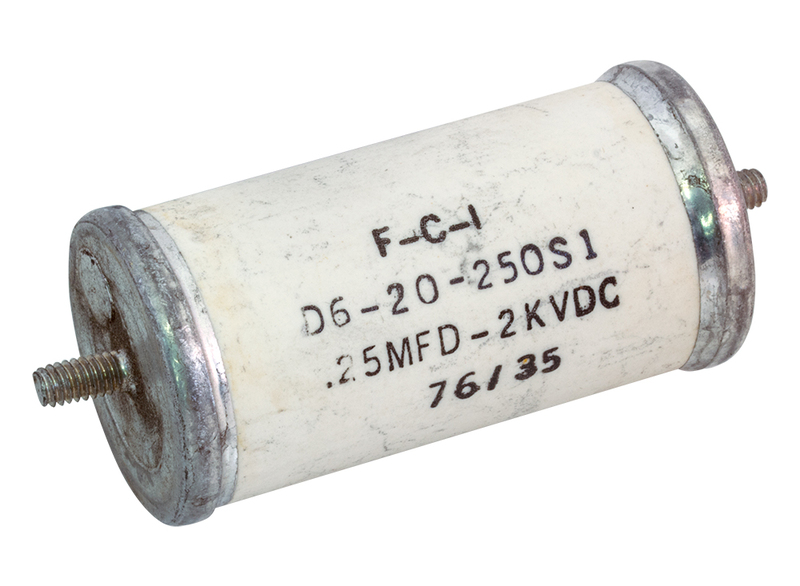 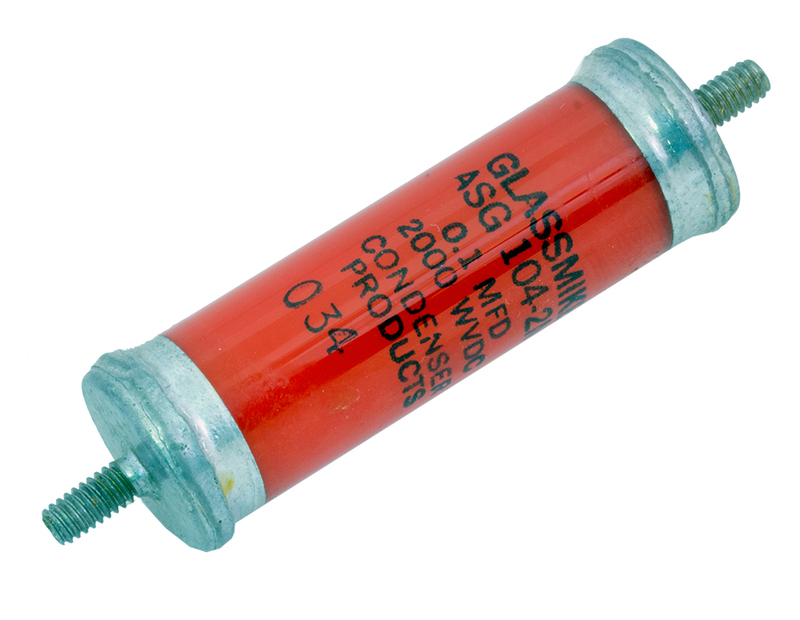 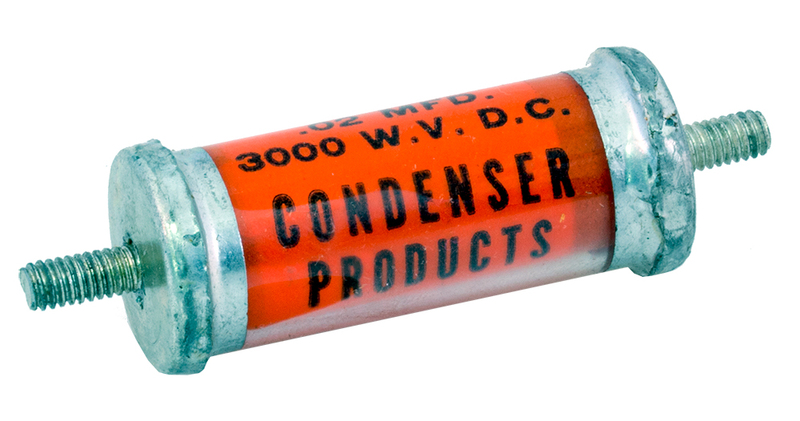 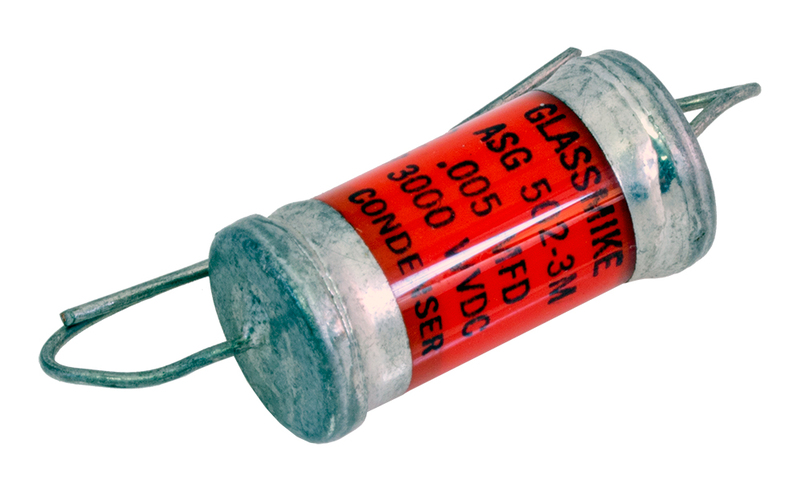 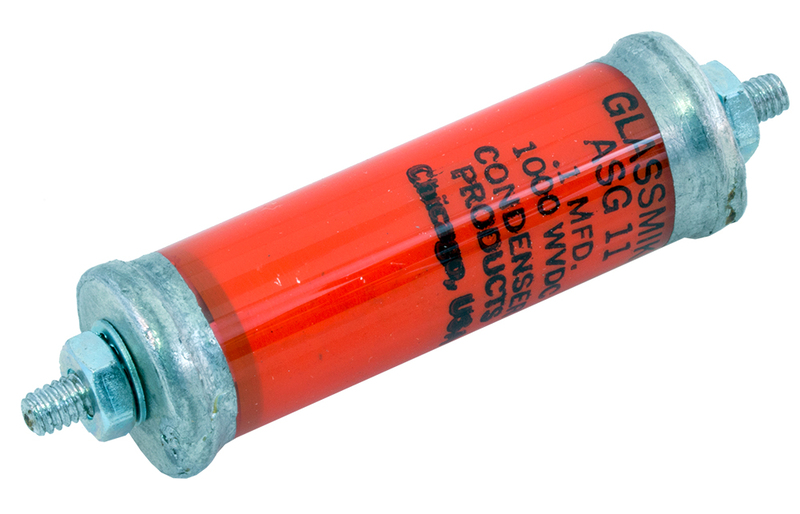 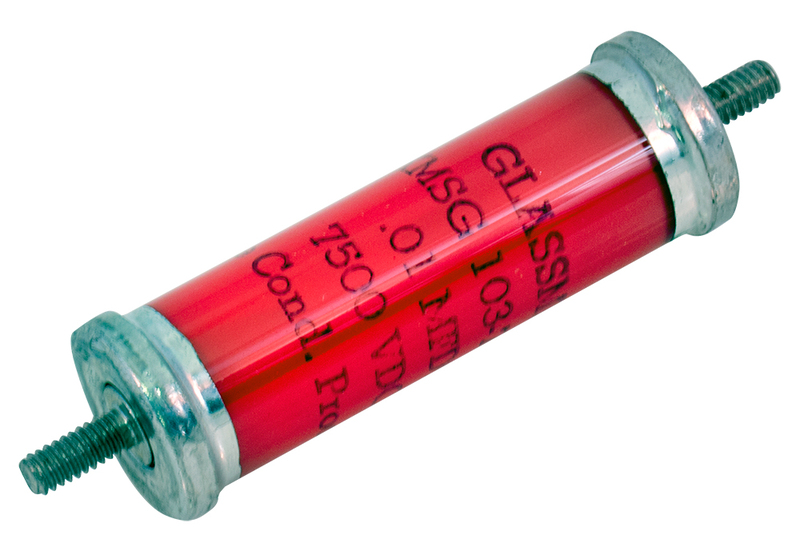 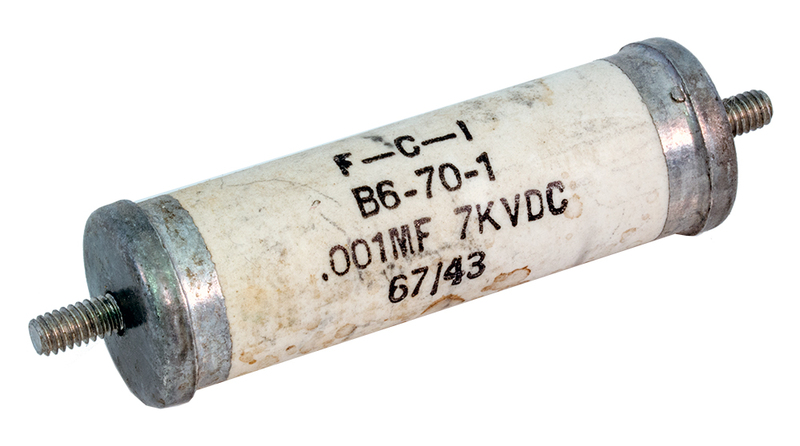 Mfg: Plastic Capacitors Inc.
Oil filled, sealed, plastic body. 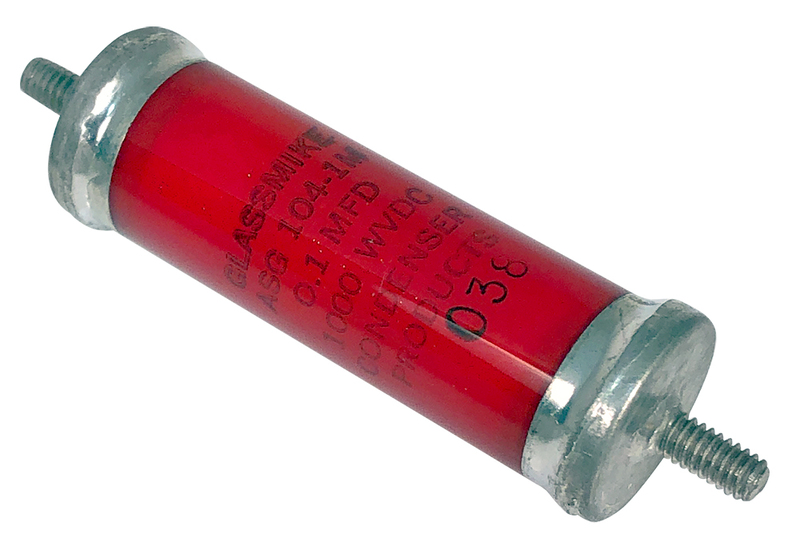 3/8" stud terminals. 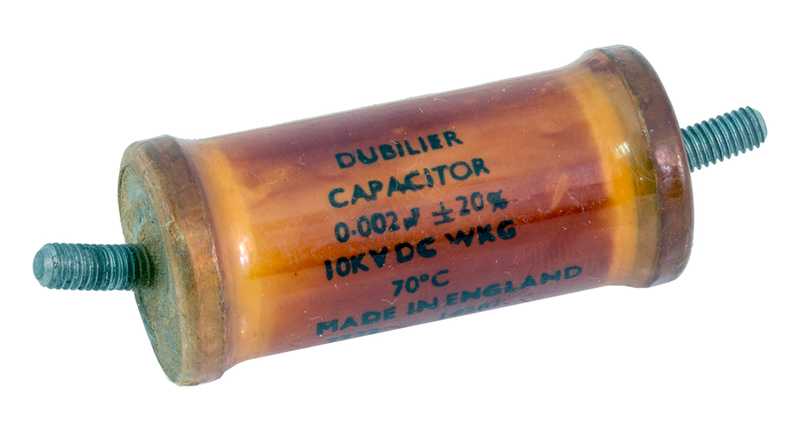 4" x 10". 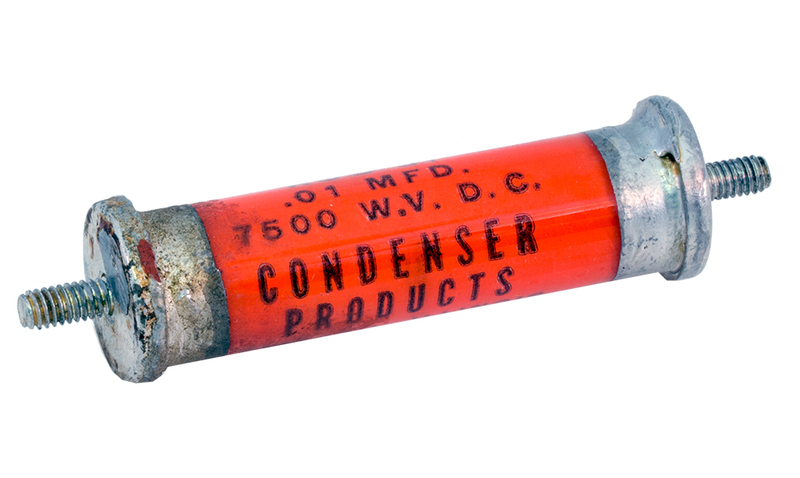 Corona ball terminals. 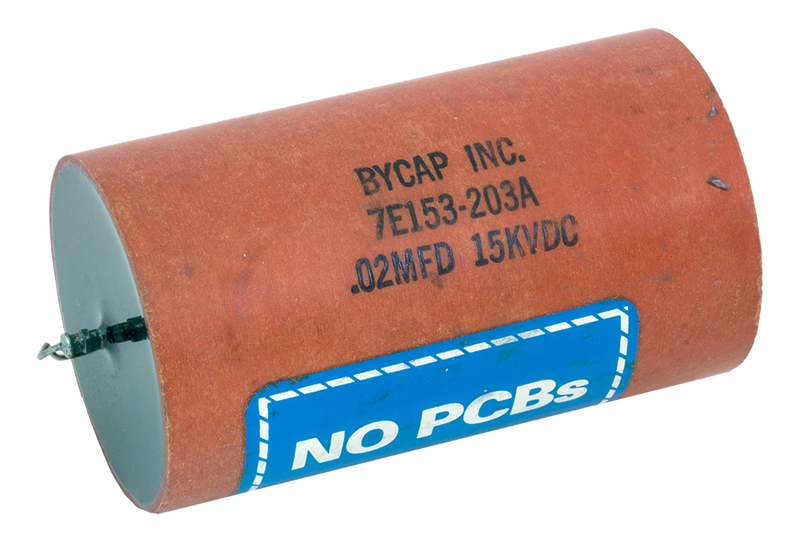 2-3/4" x 23-1/2". 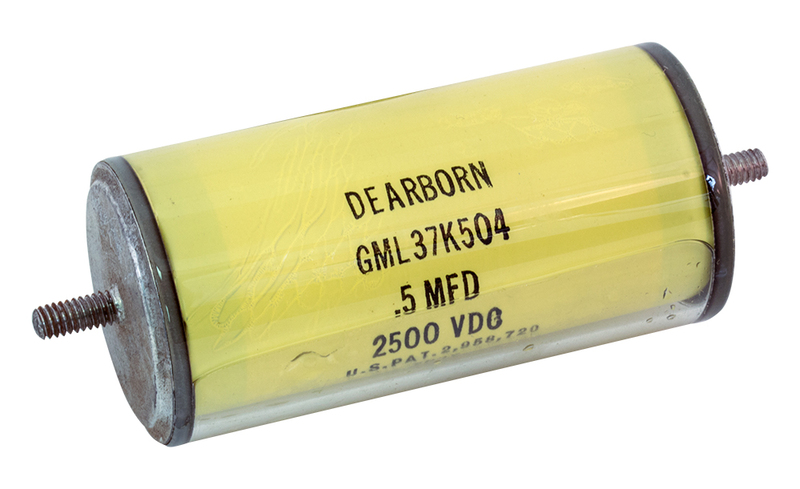 0.03 uF 50 kv 4-3/4"D x 7-3/4"L Plastic body, 3/8" stud. 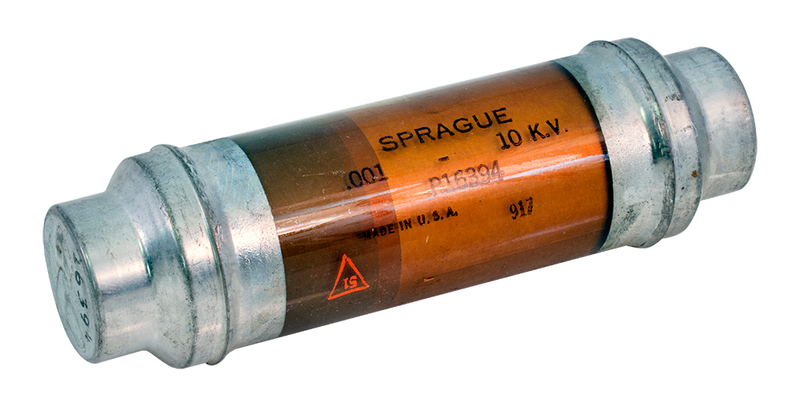 60psi pressure transducer tapped into side. Oil filled, sealed, phenolic body. 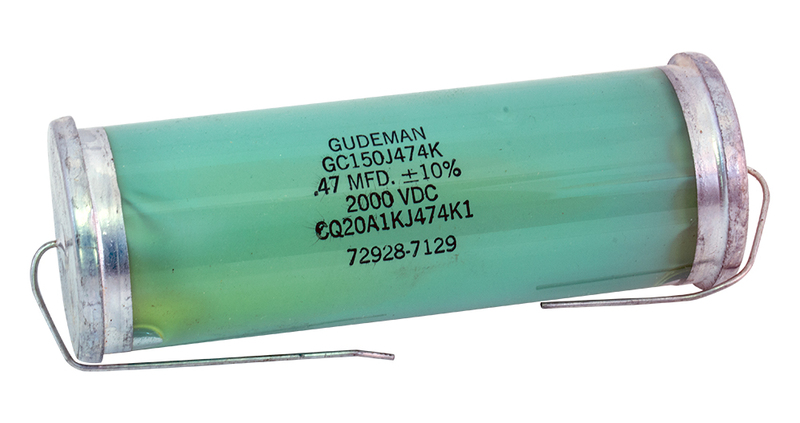 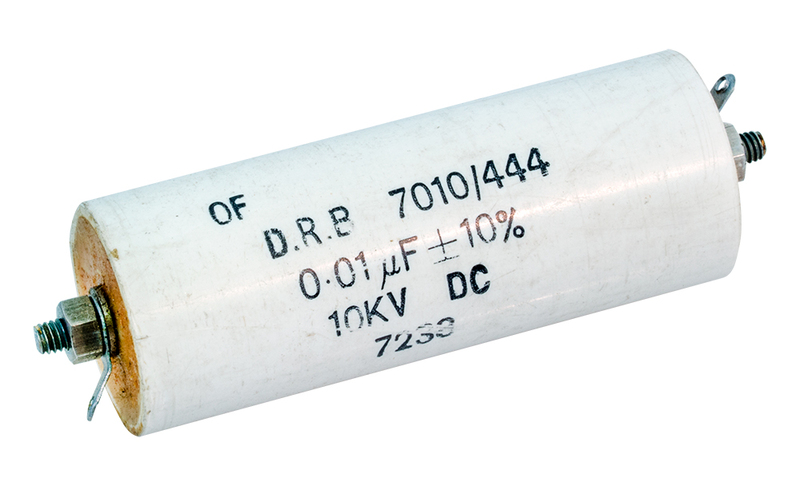 0.012uF 150kv. 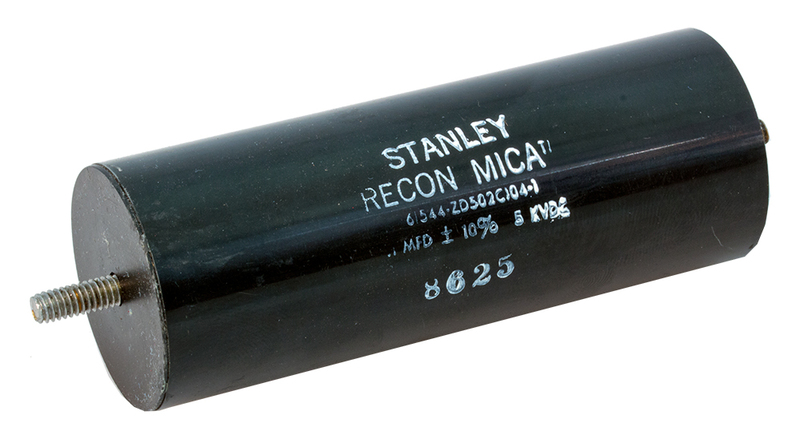 3/8" stud terminals. 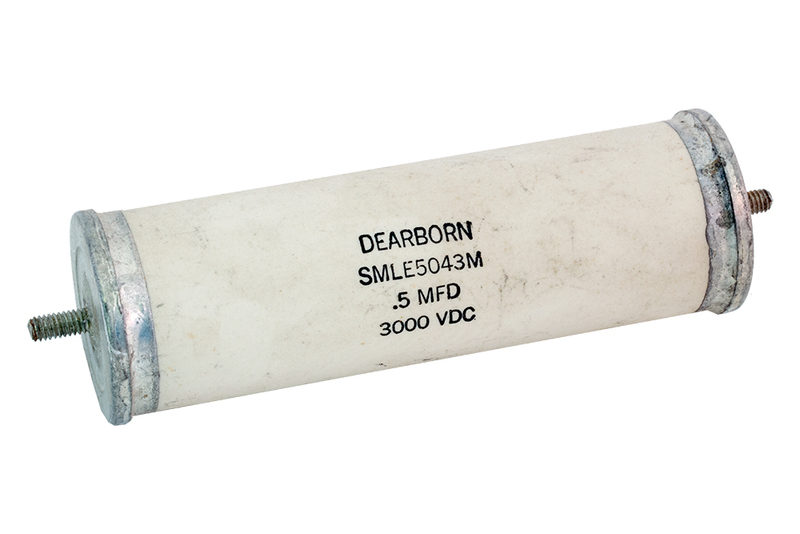 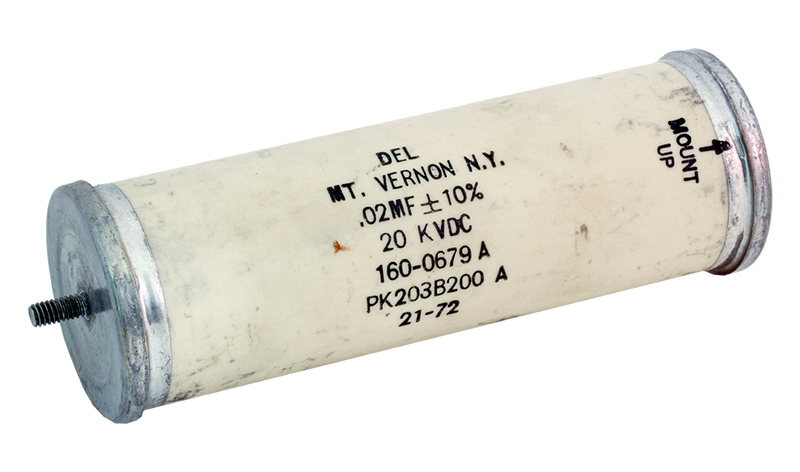 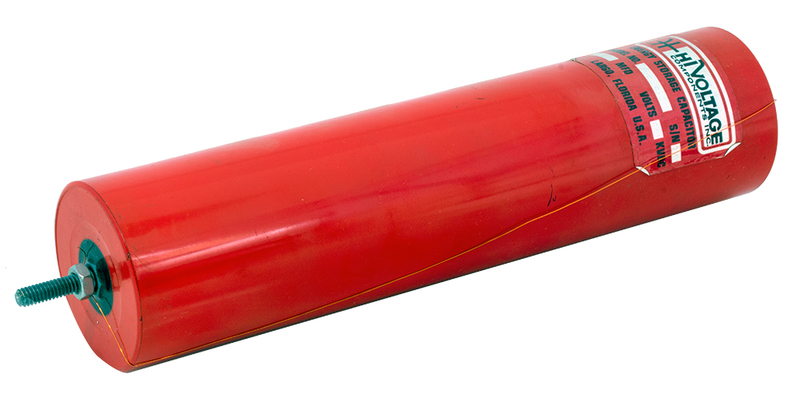 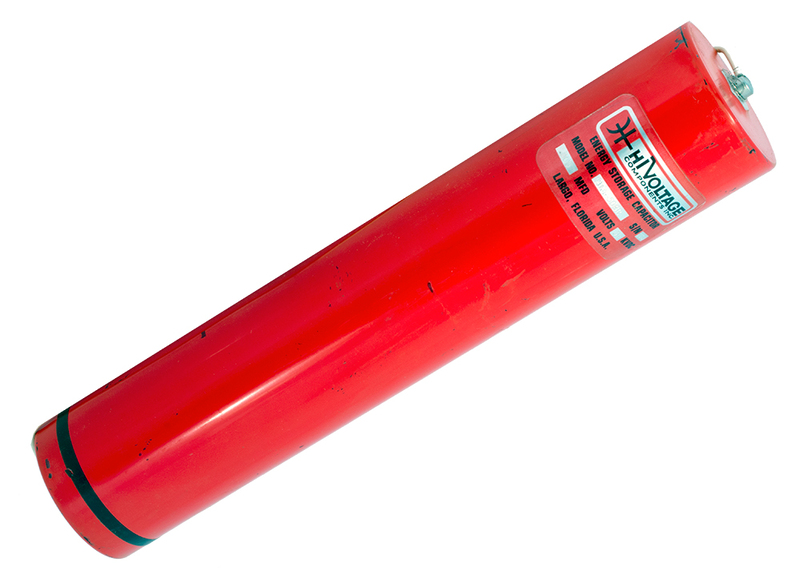 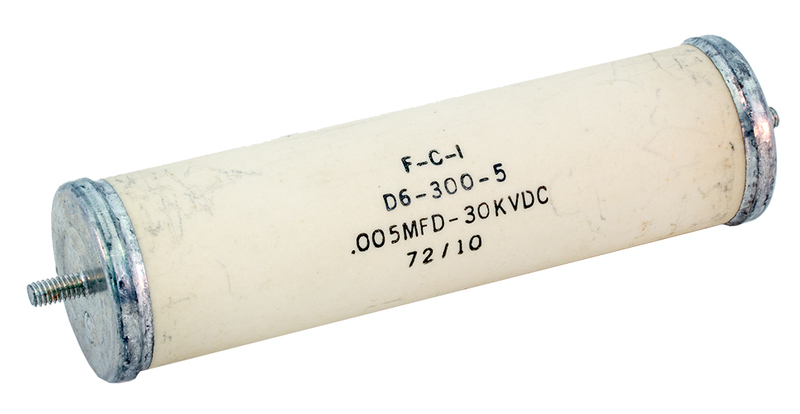 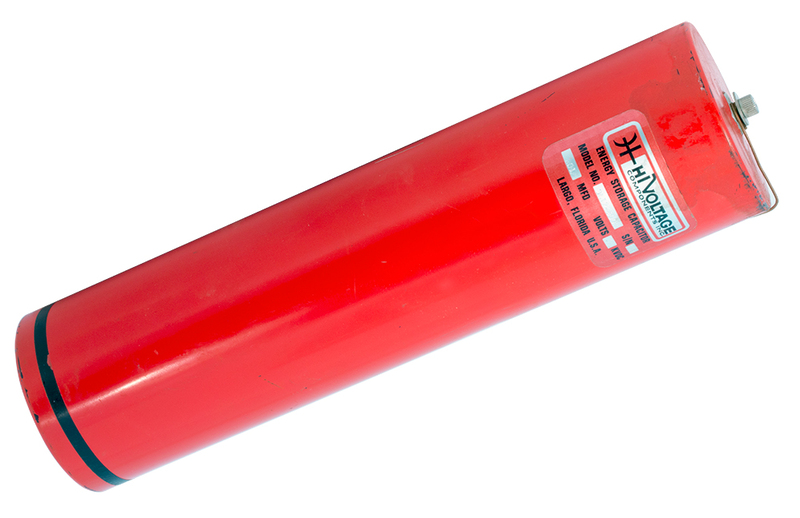 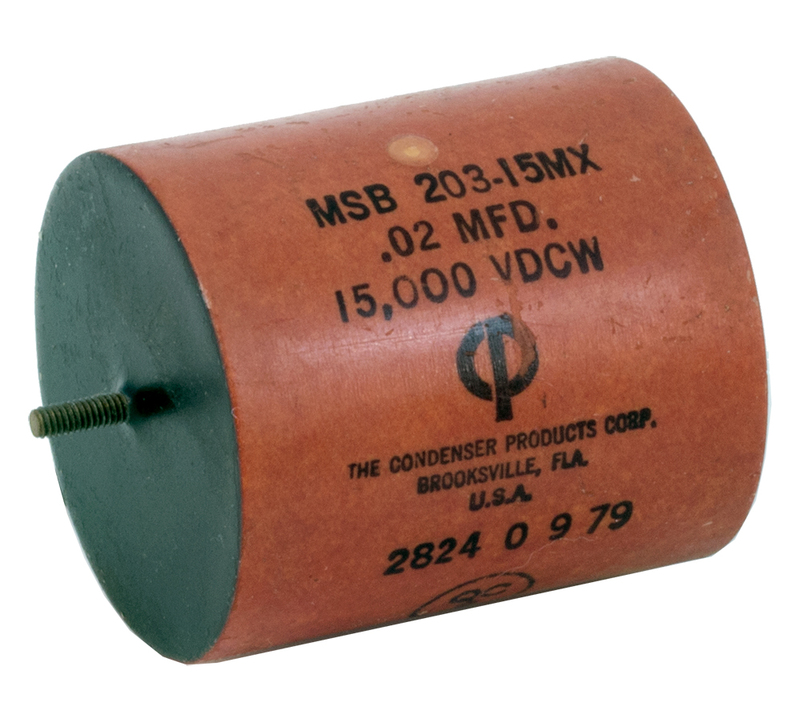 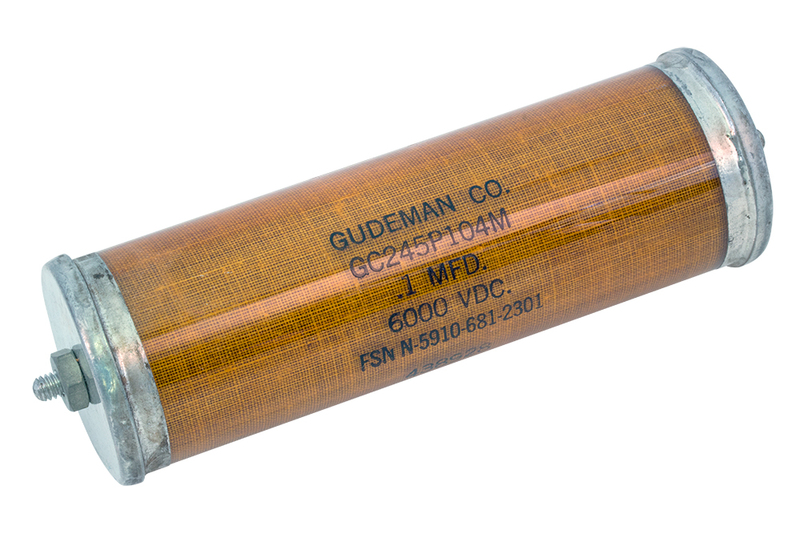 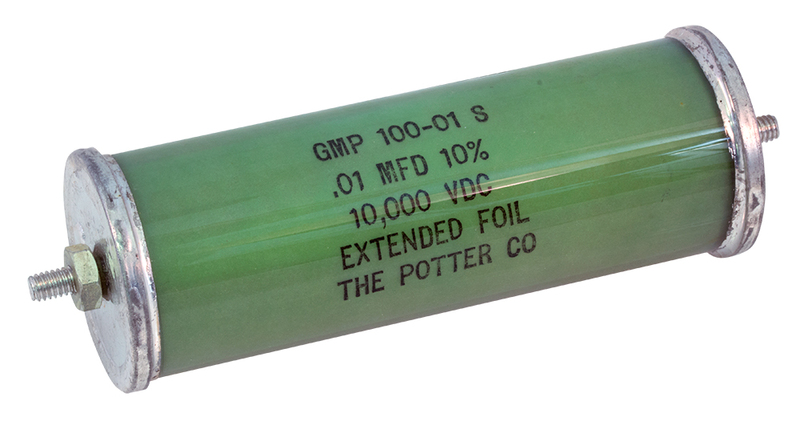 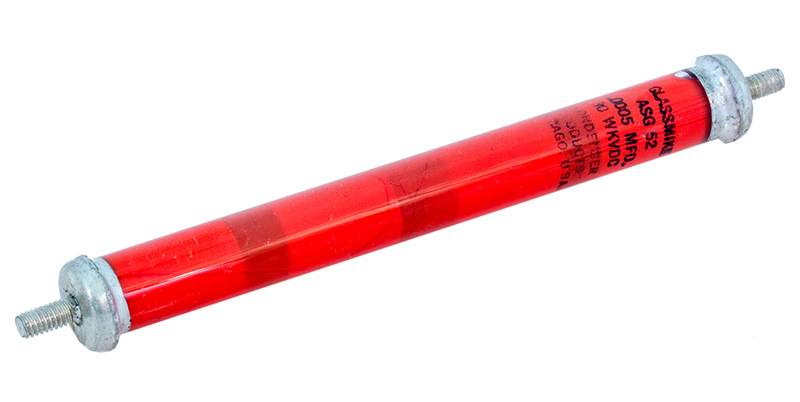 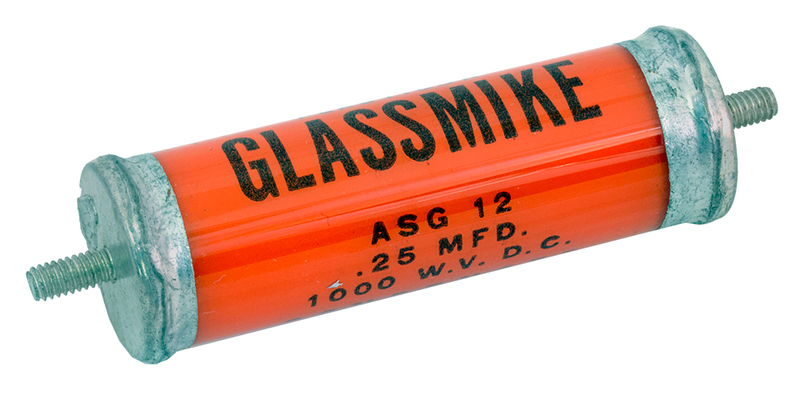 4-1/2" x 24"L.
0.5mF - 40kv. 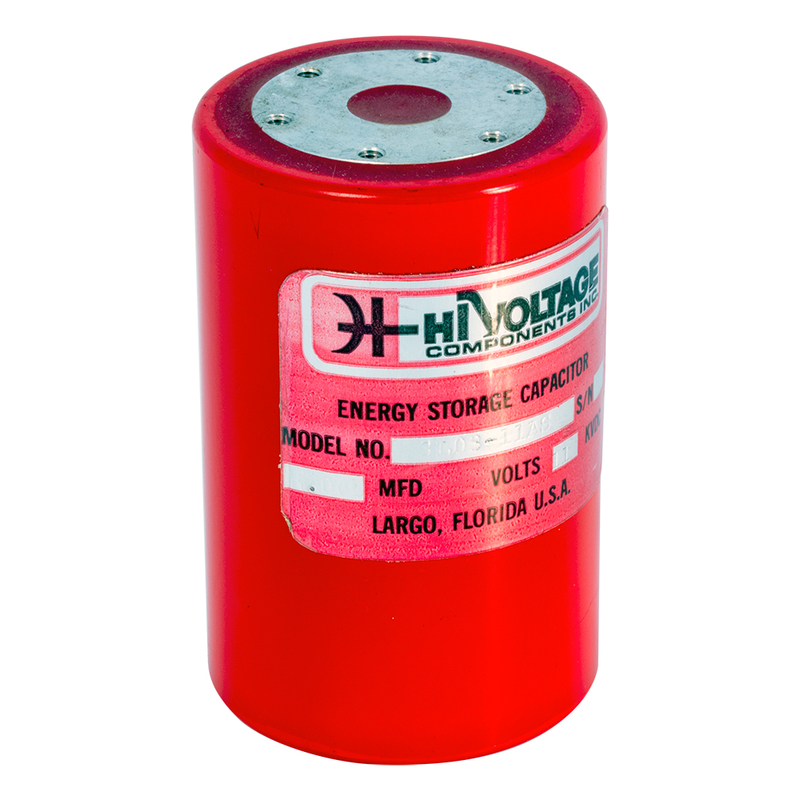 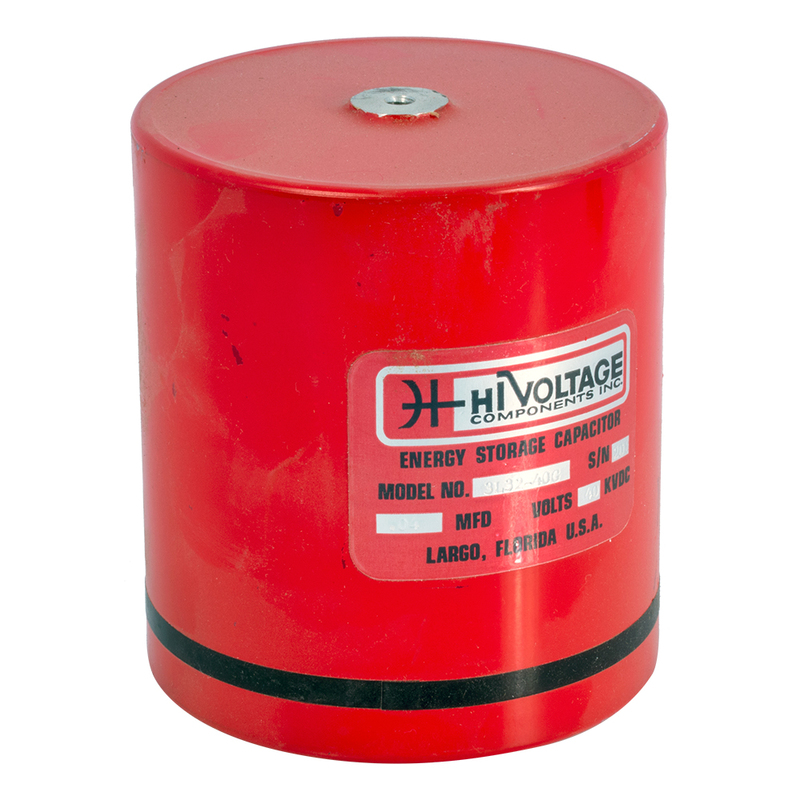 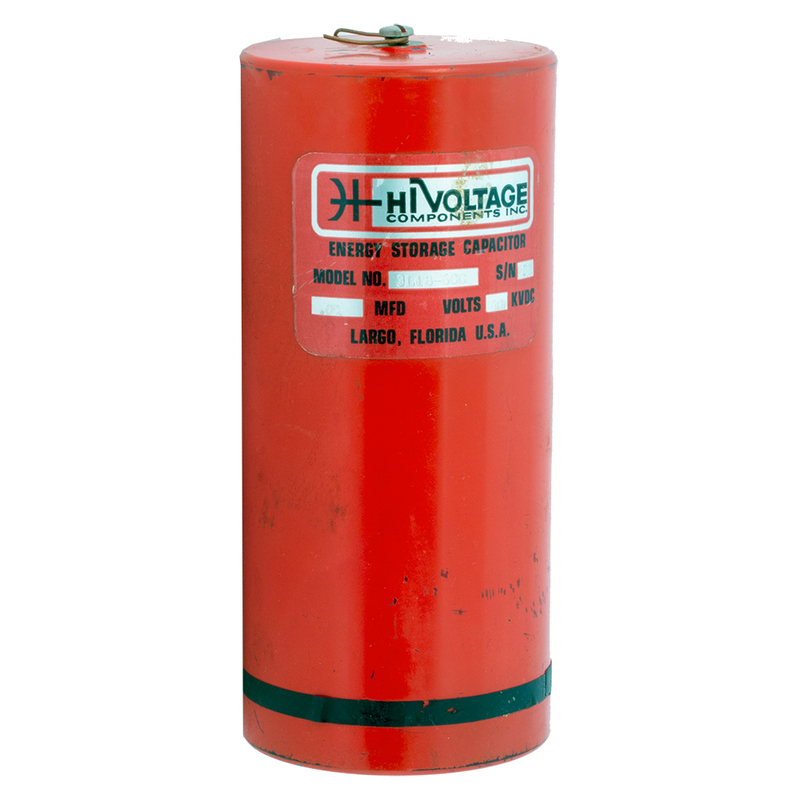 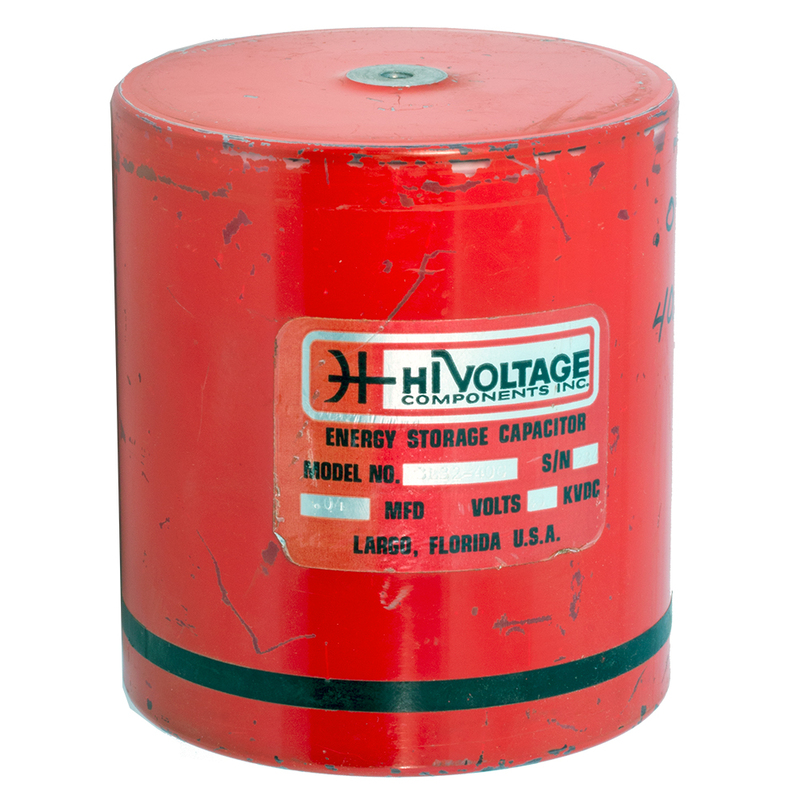 Mfg: Hi-Voltage Components Inc.